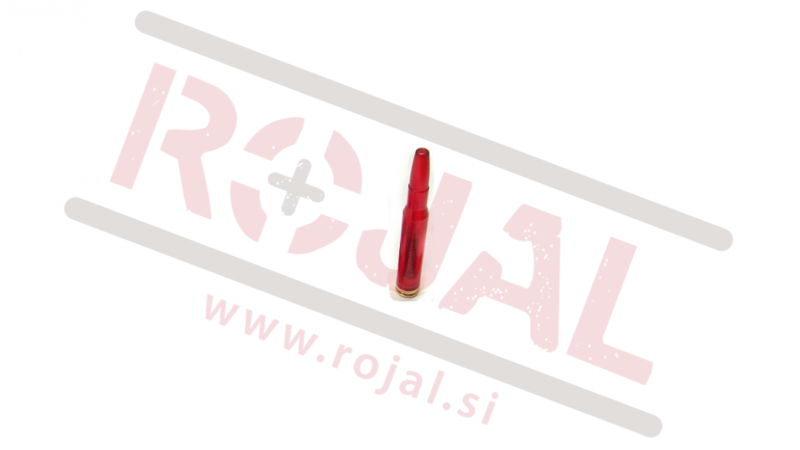 New, stronger, better. 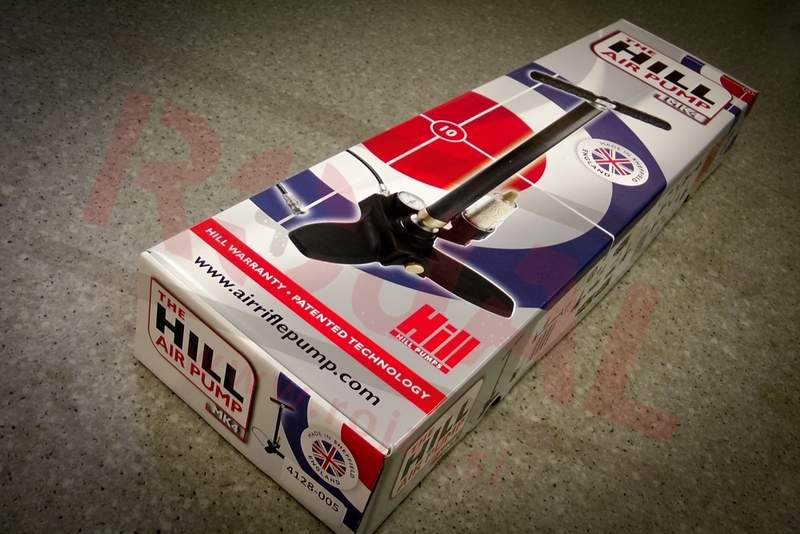 Hill pump MK4! 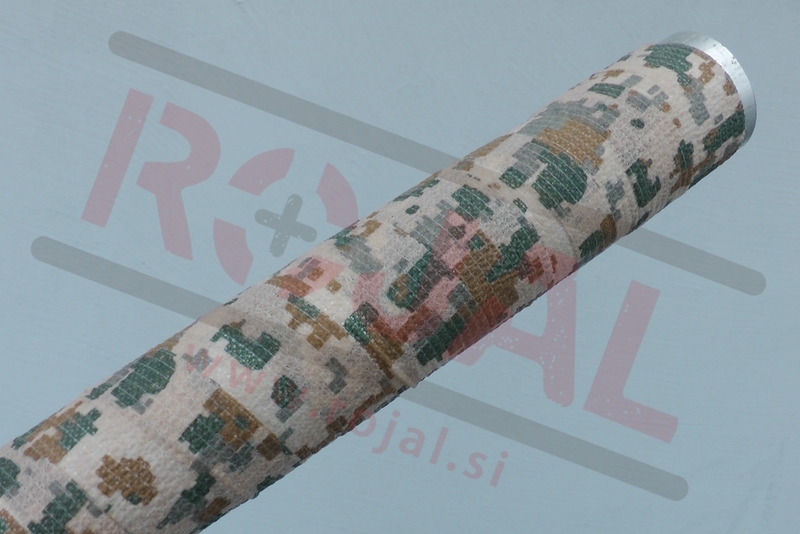 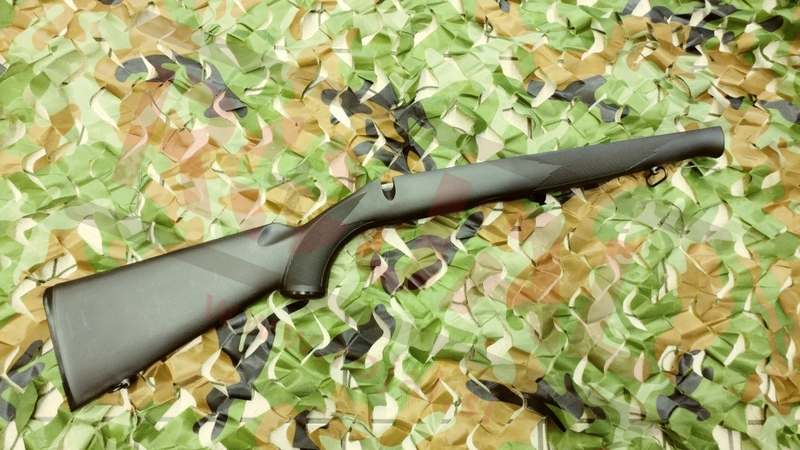 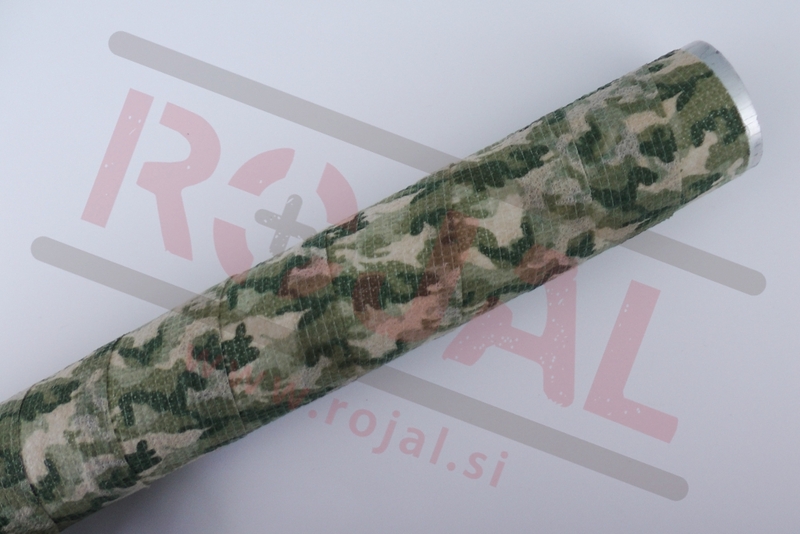 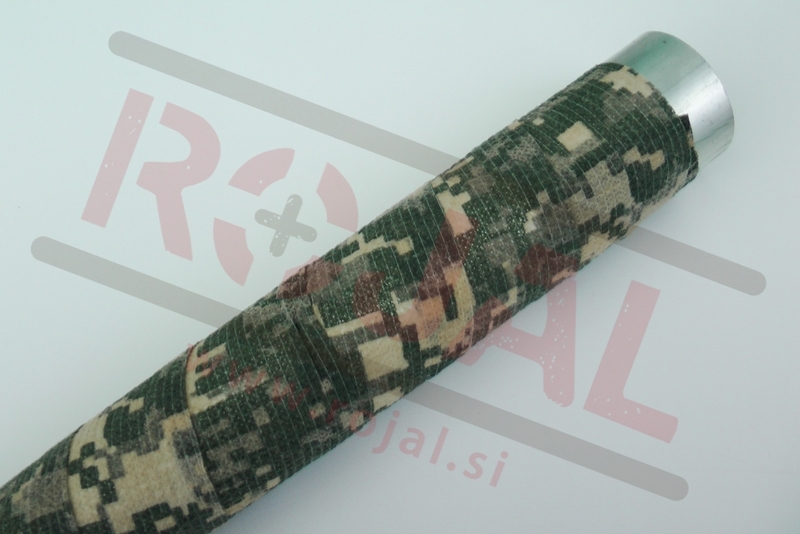 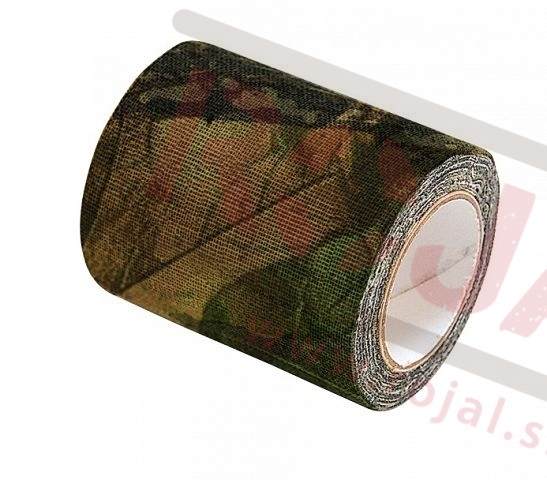 Camouflage your rifle with this camo tape. 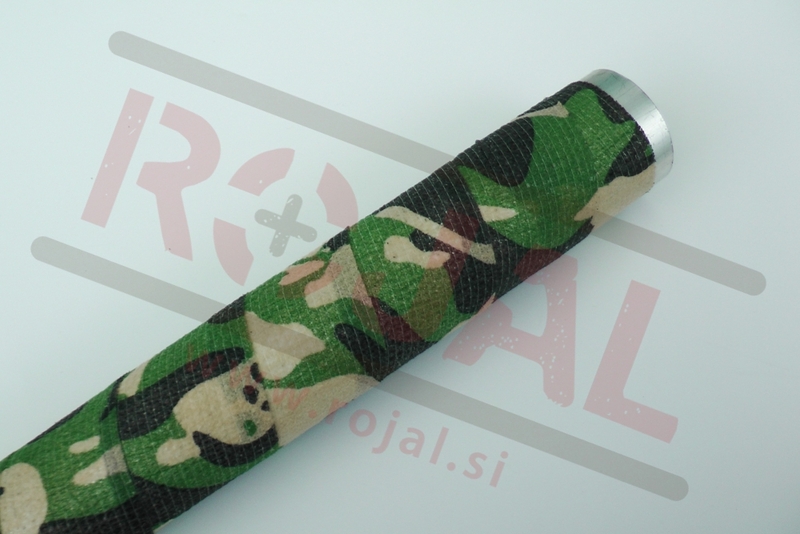 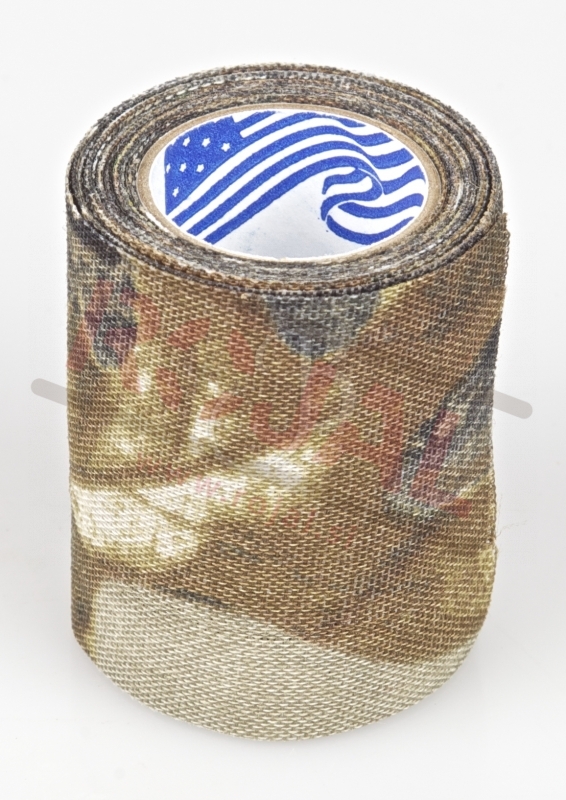 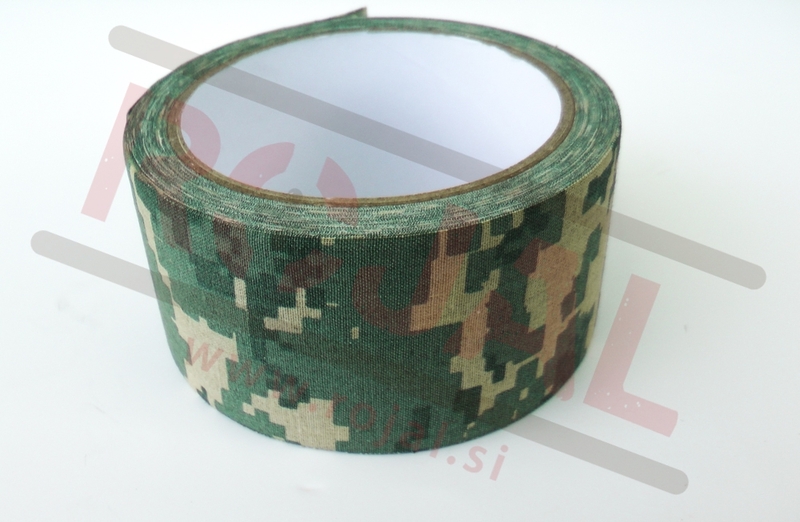 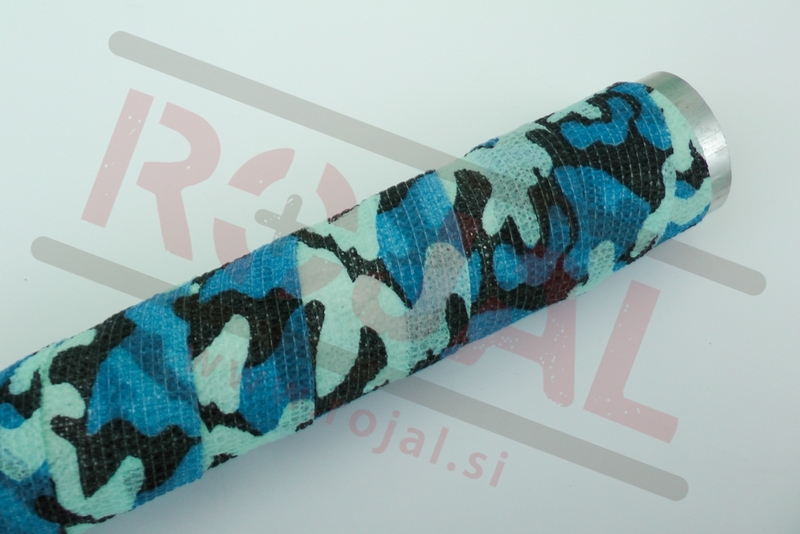 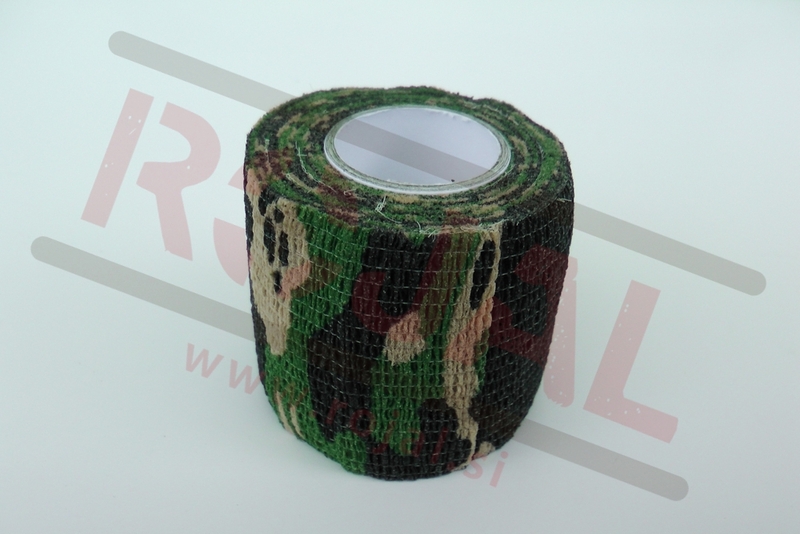 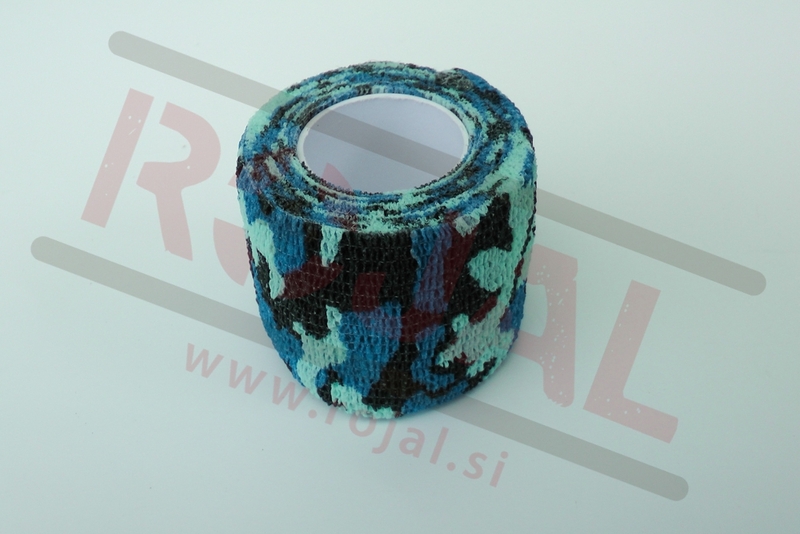 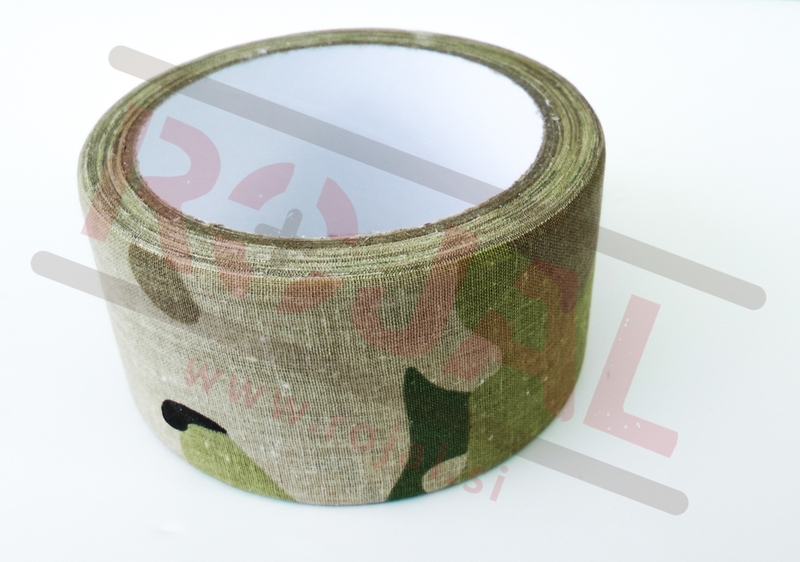 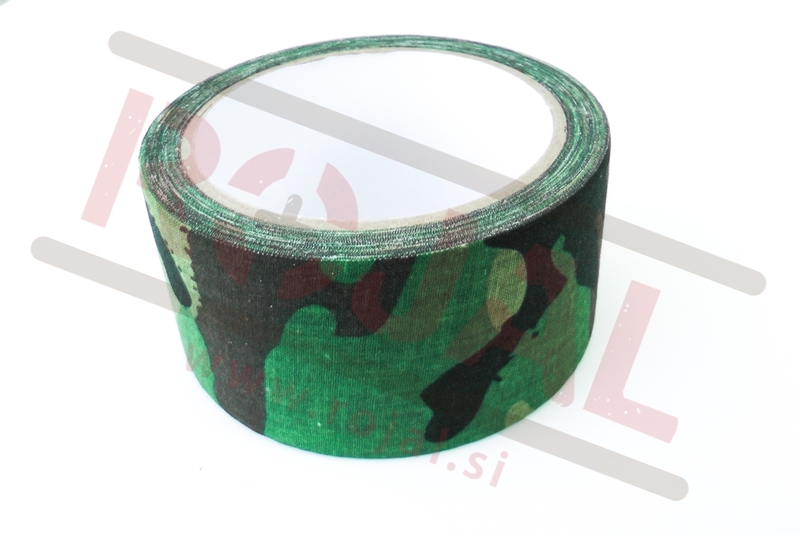 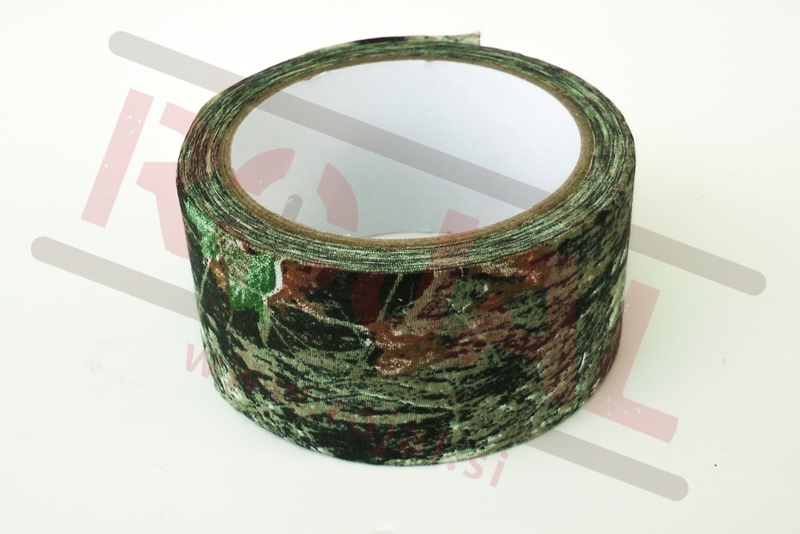 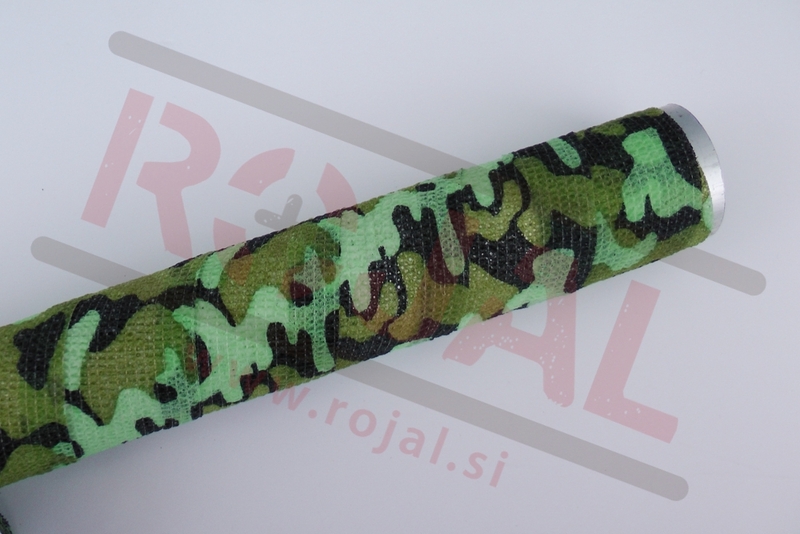 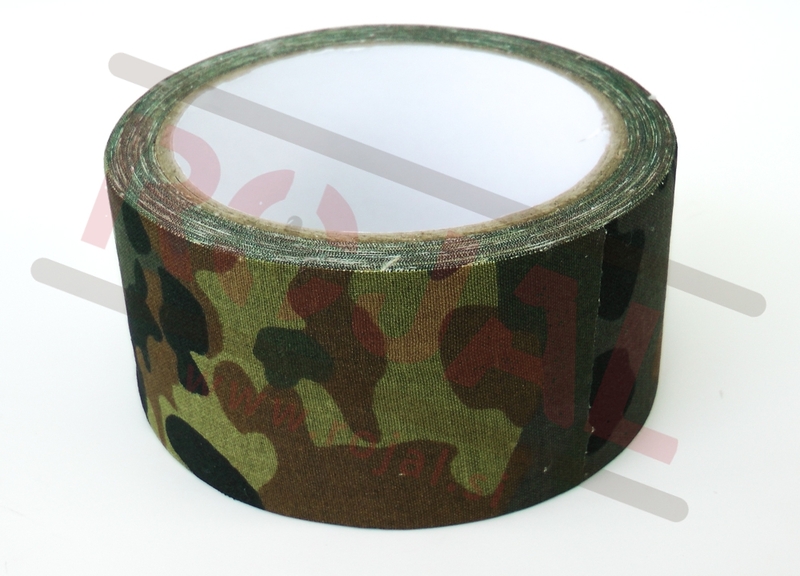 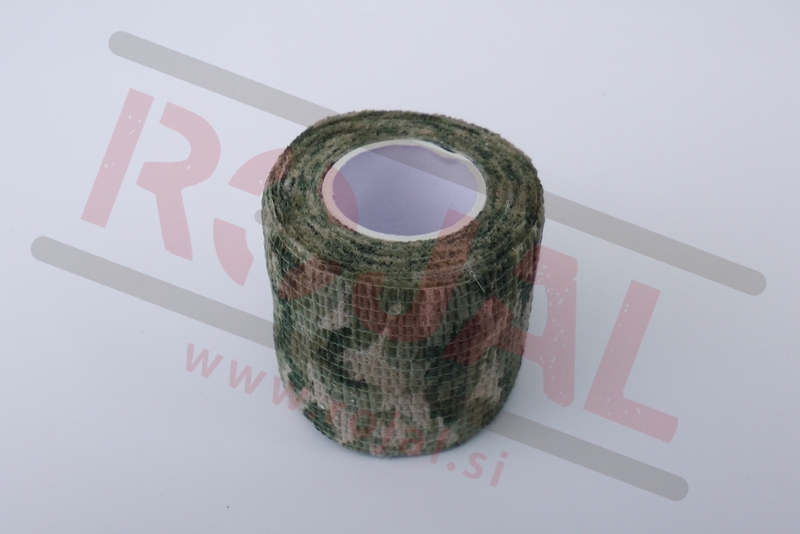 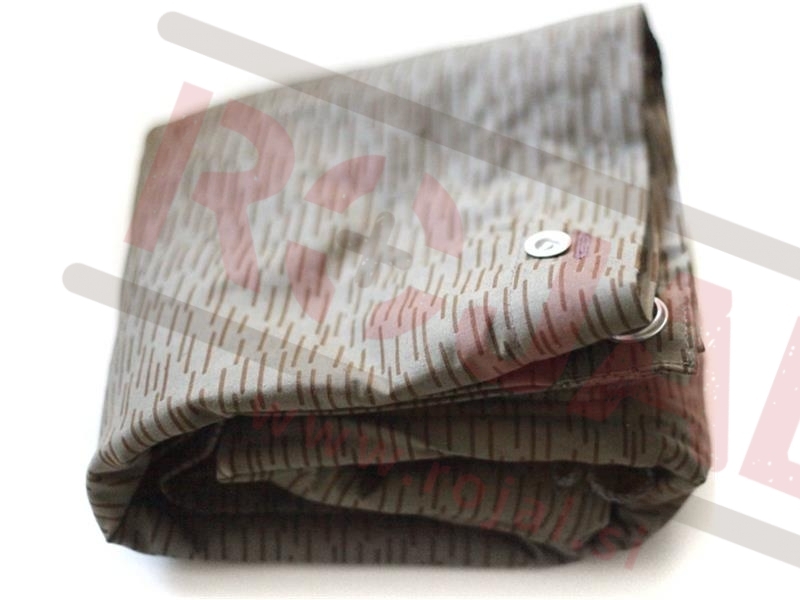 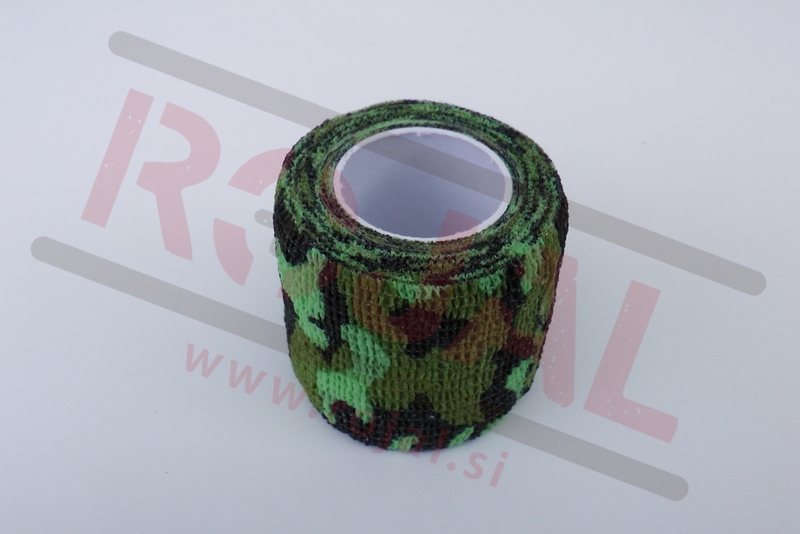 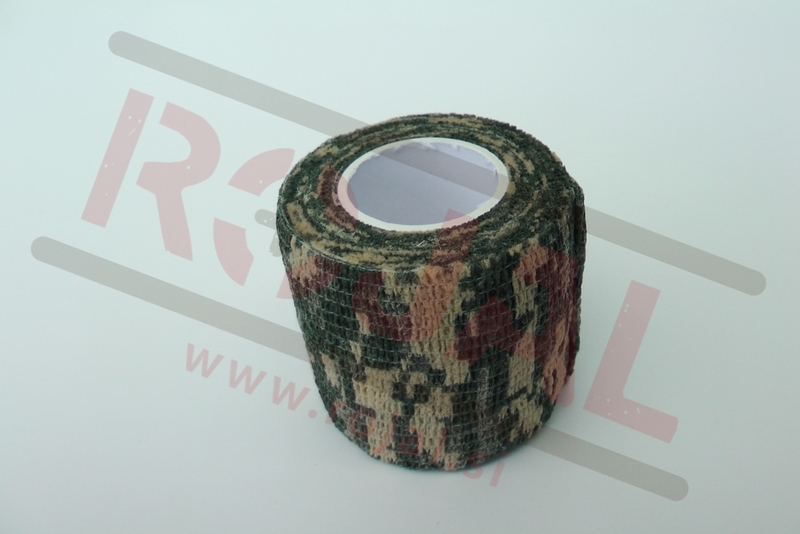 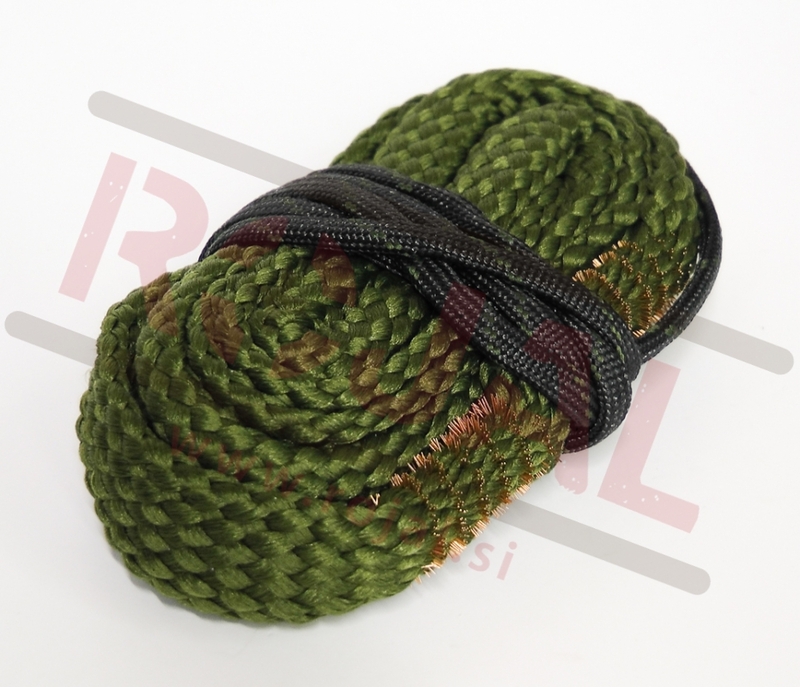 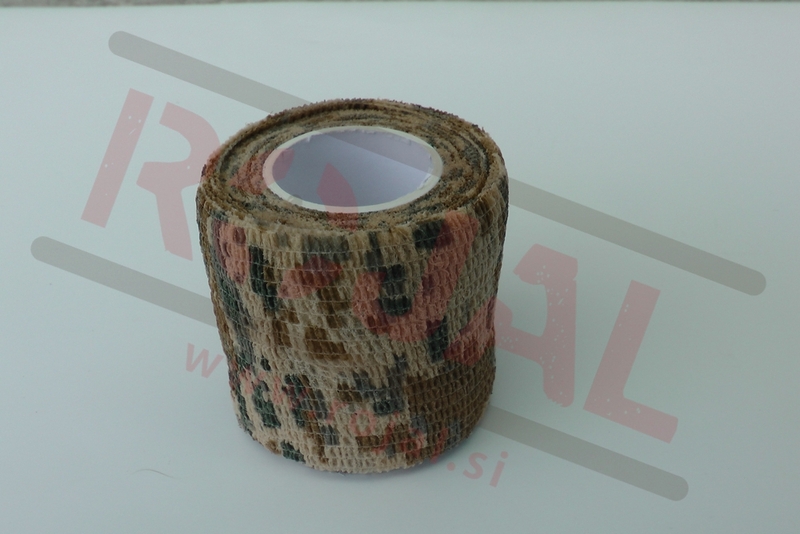 Reusable non-slip stretch camo tape. 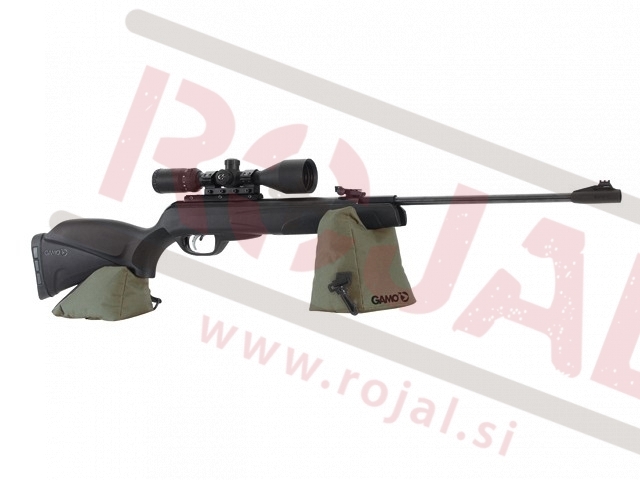 CO2 kartuša za zračne puške proizvajalca GAMO. 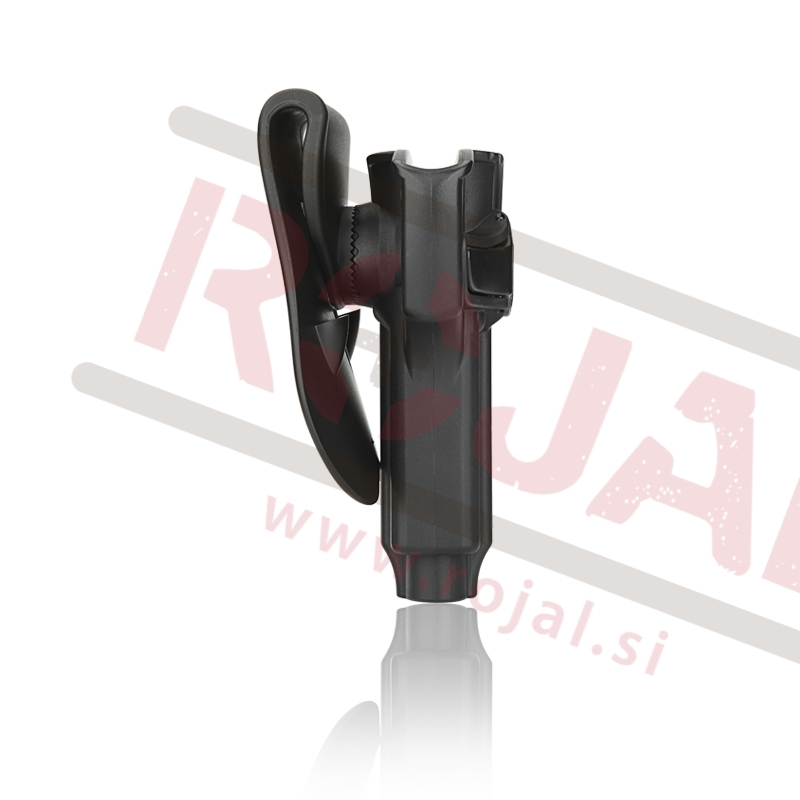 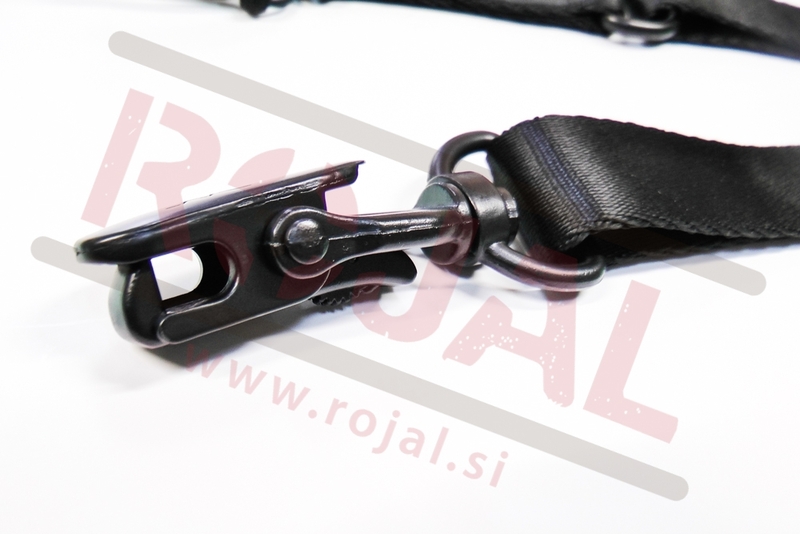 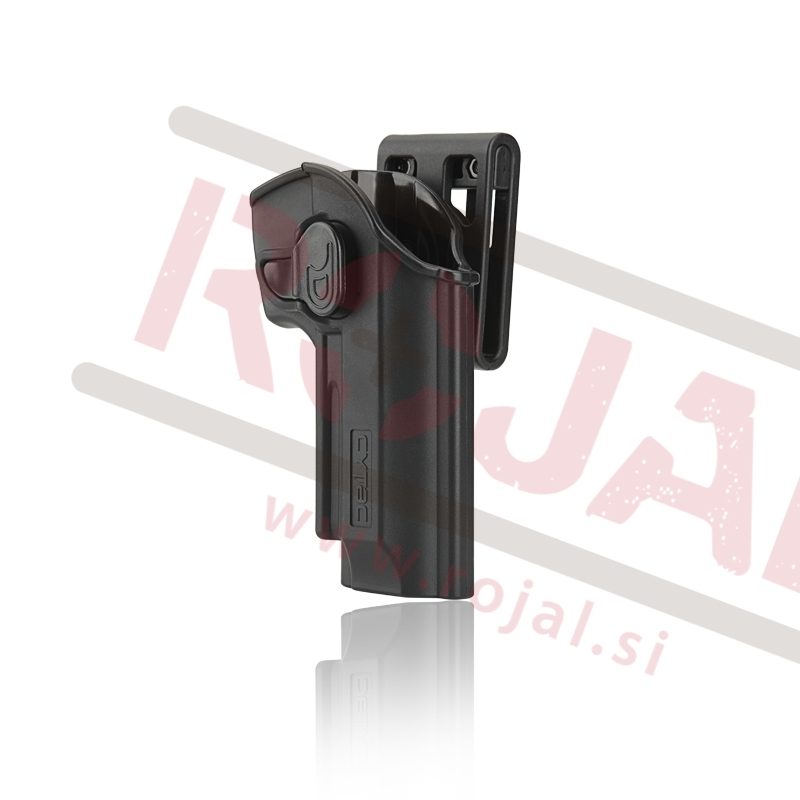 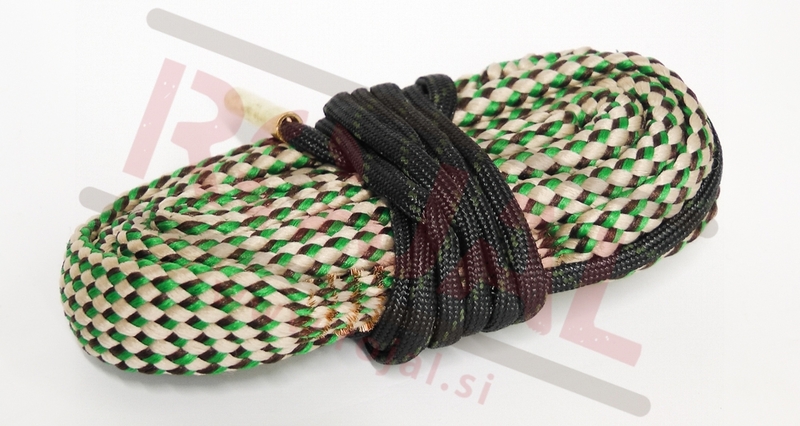 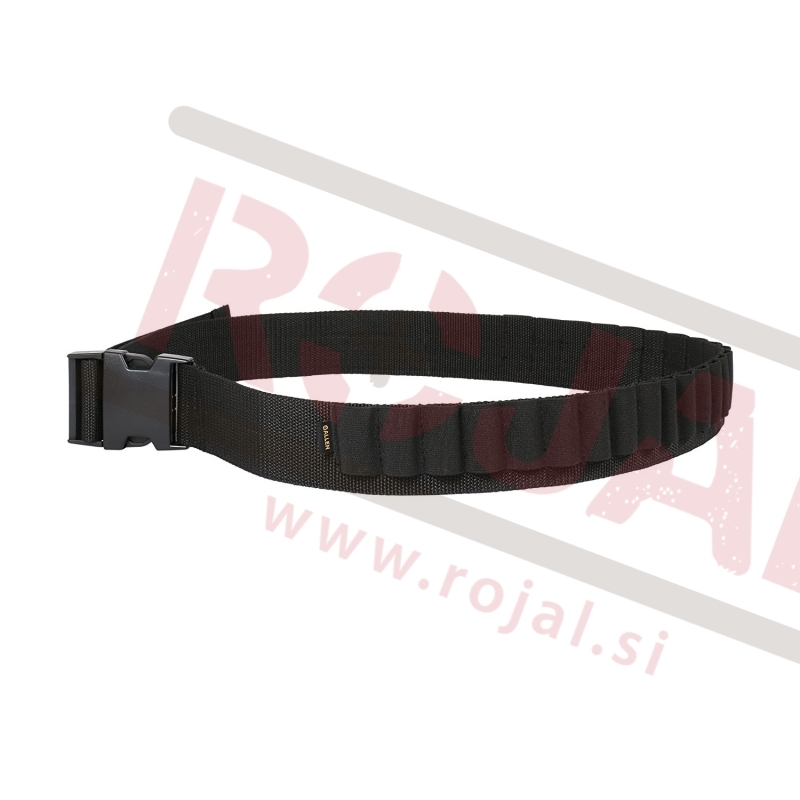 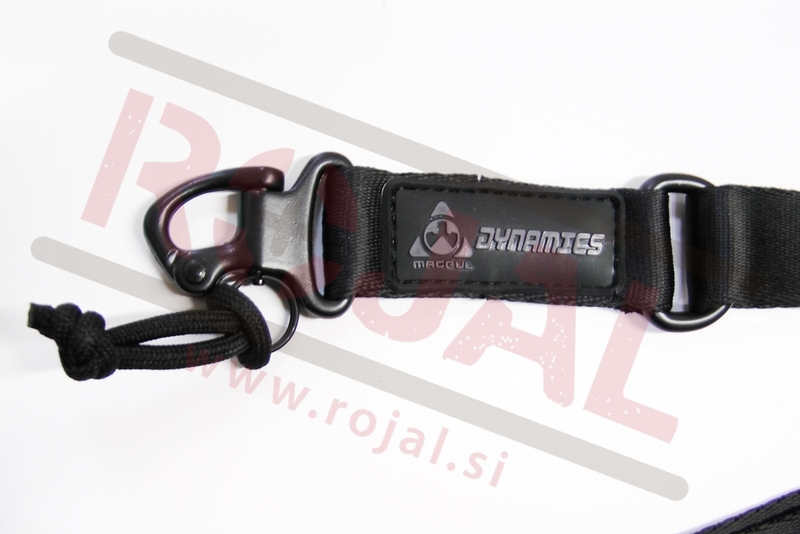 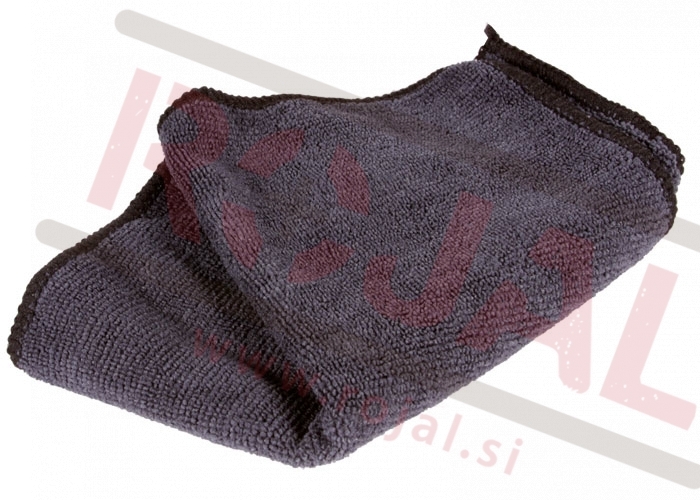 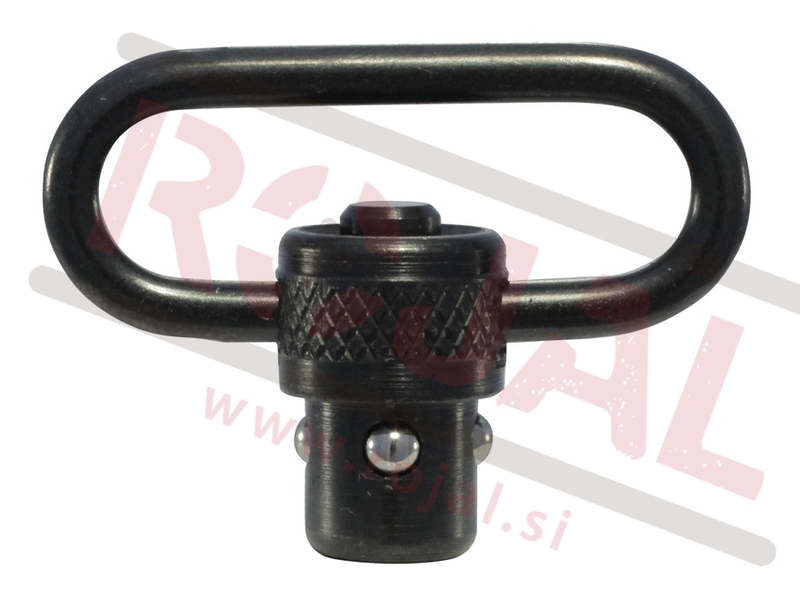 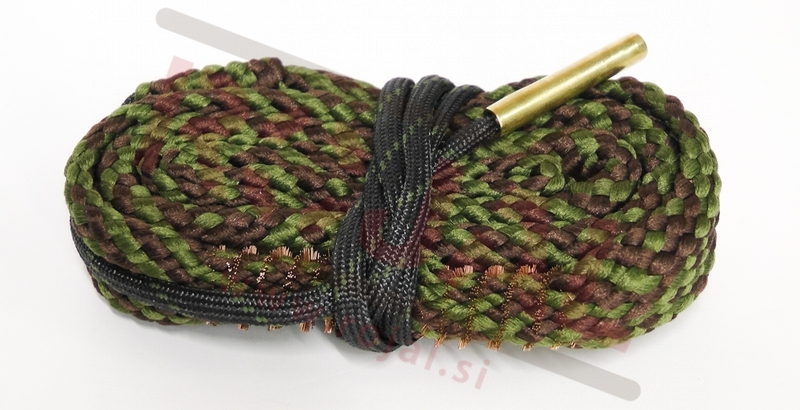 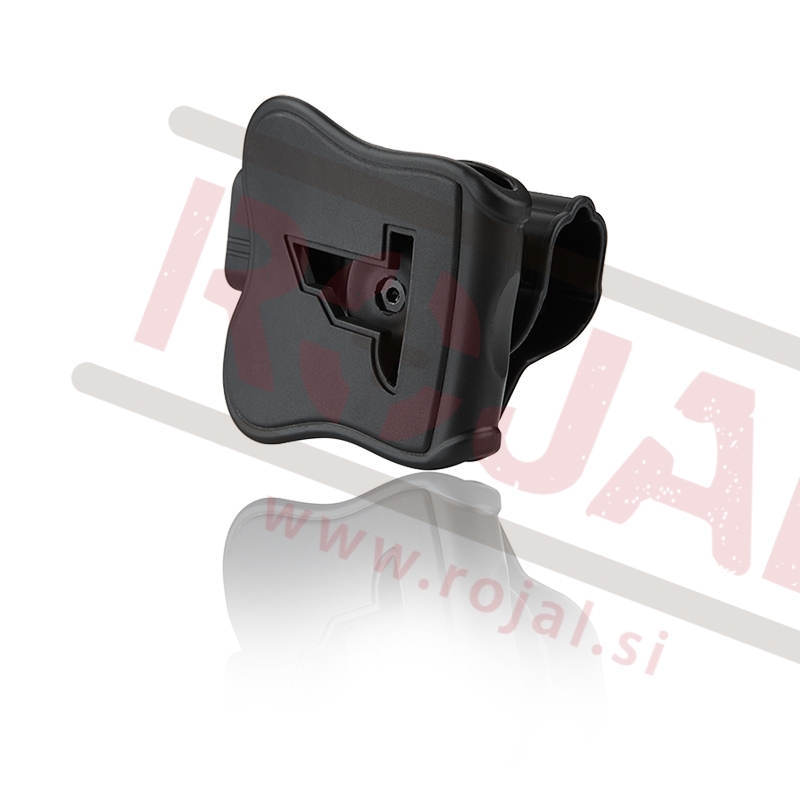 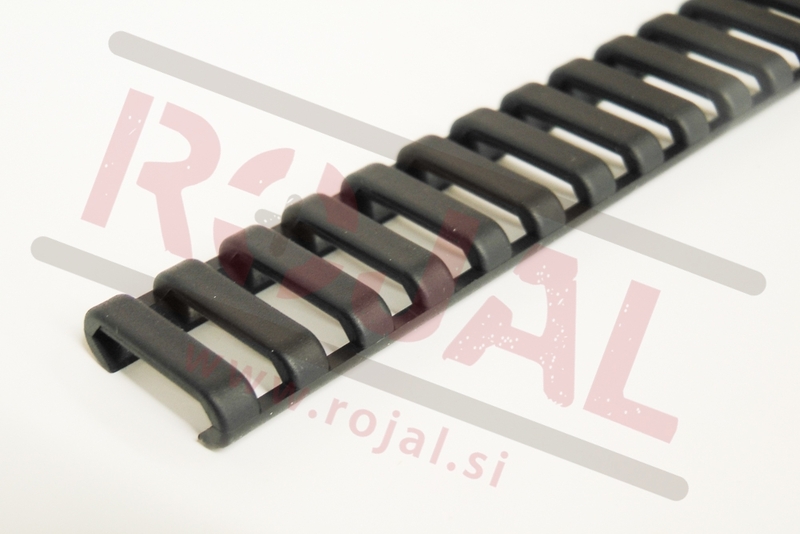 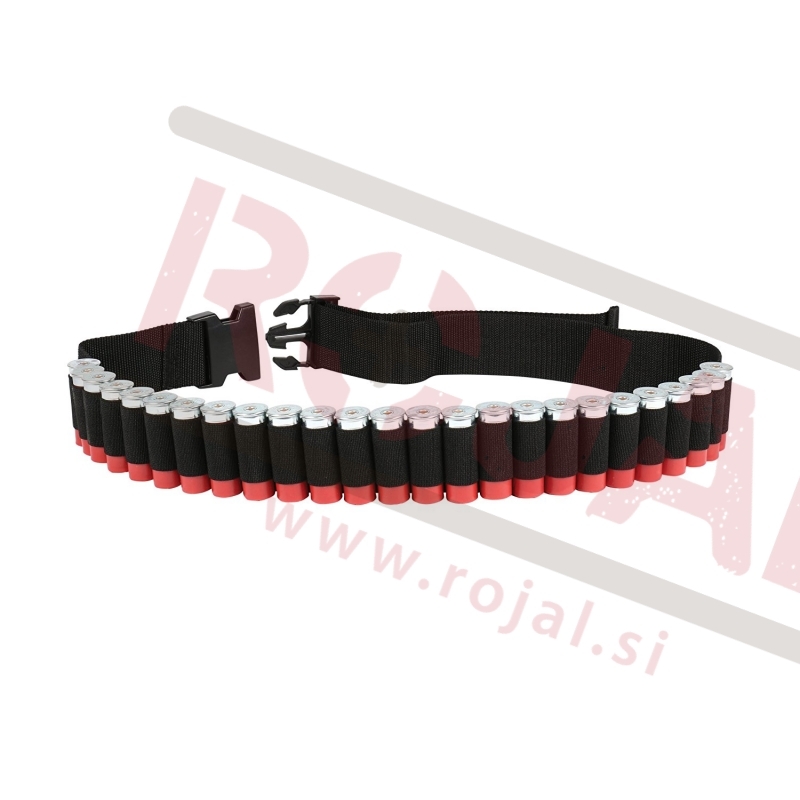 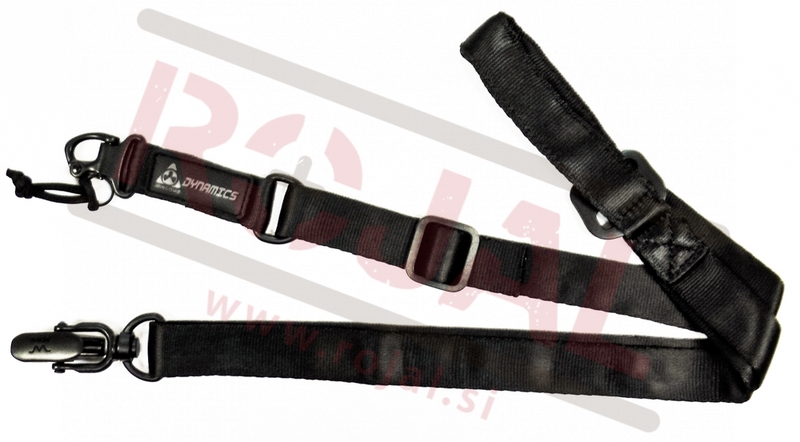 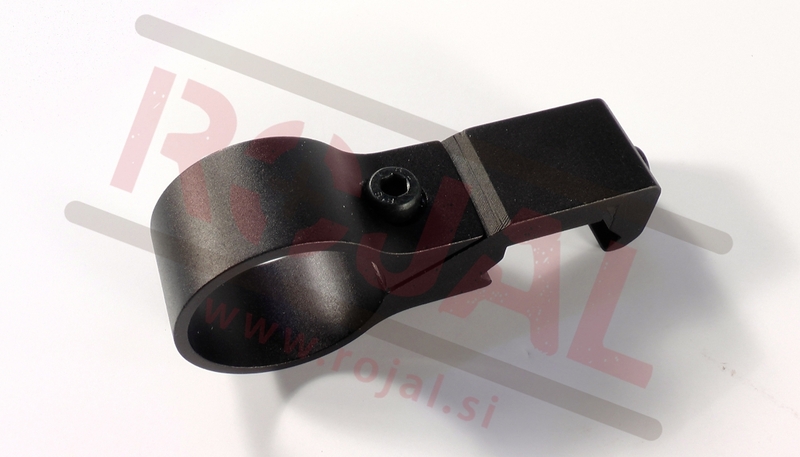 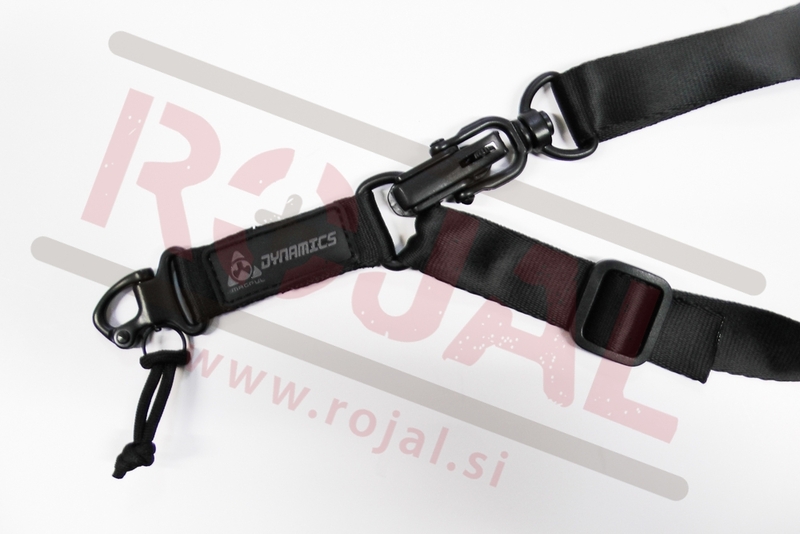 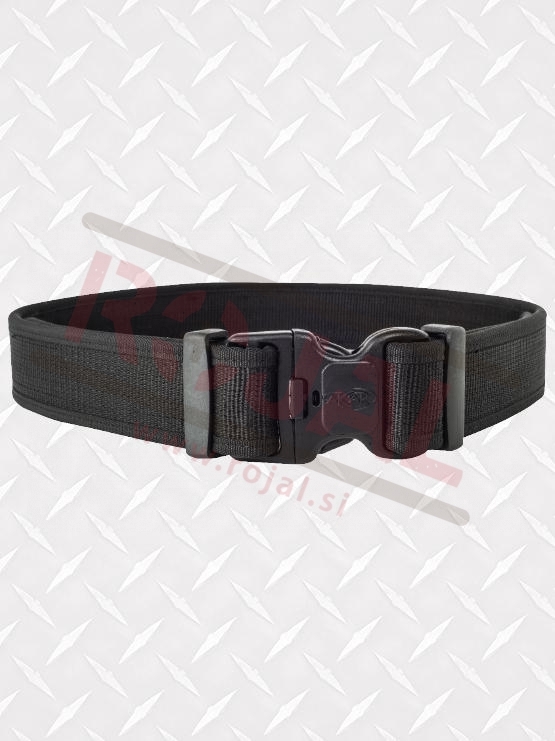 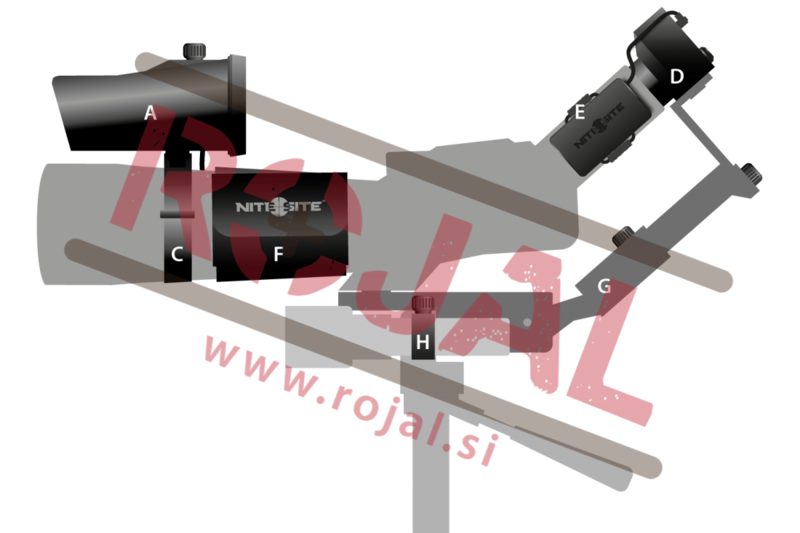 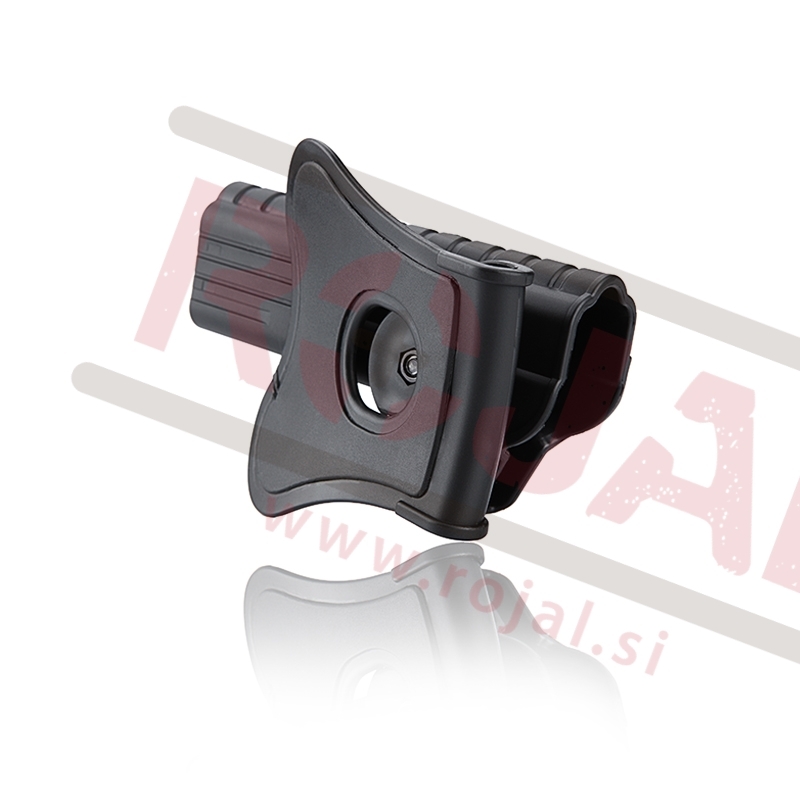 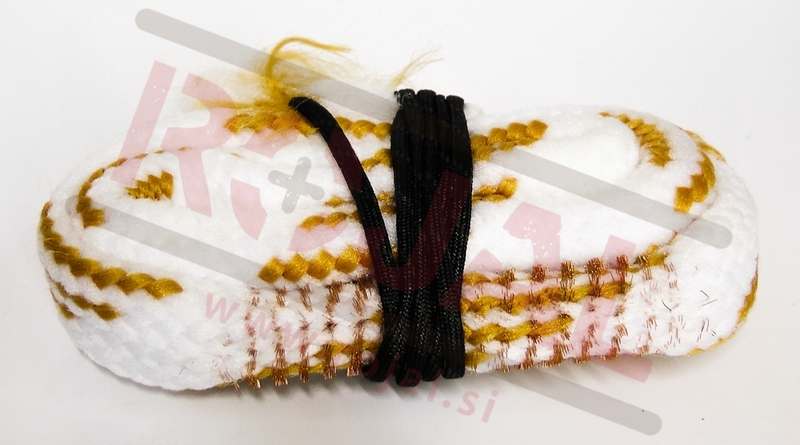 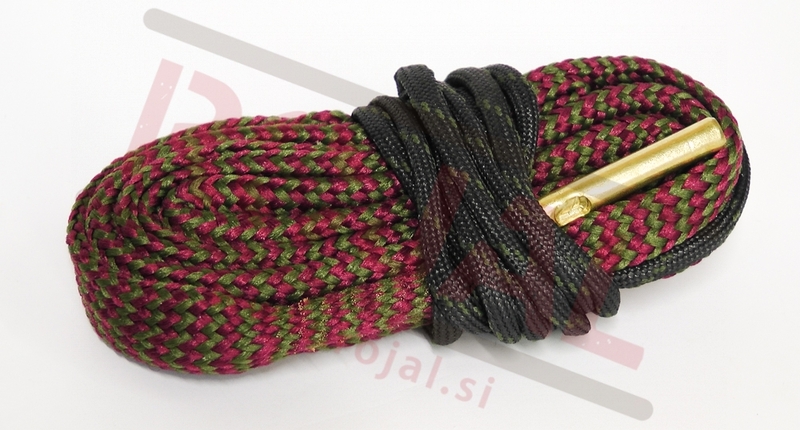 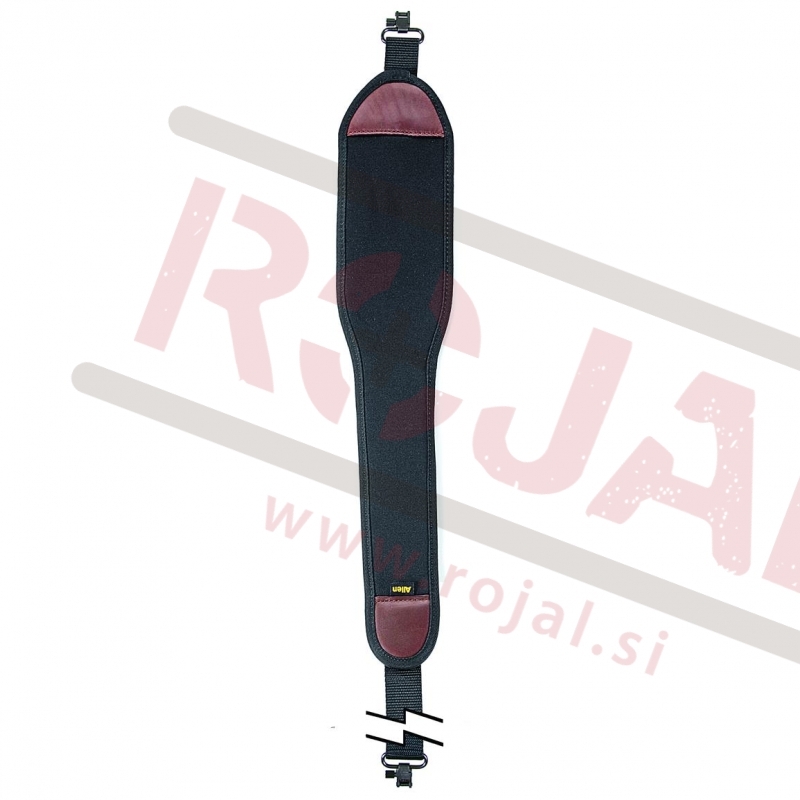 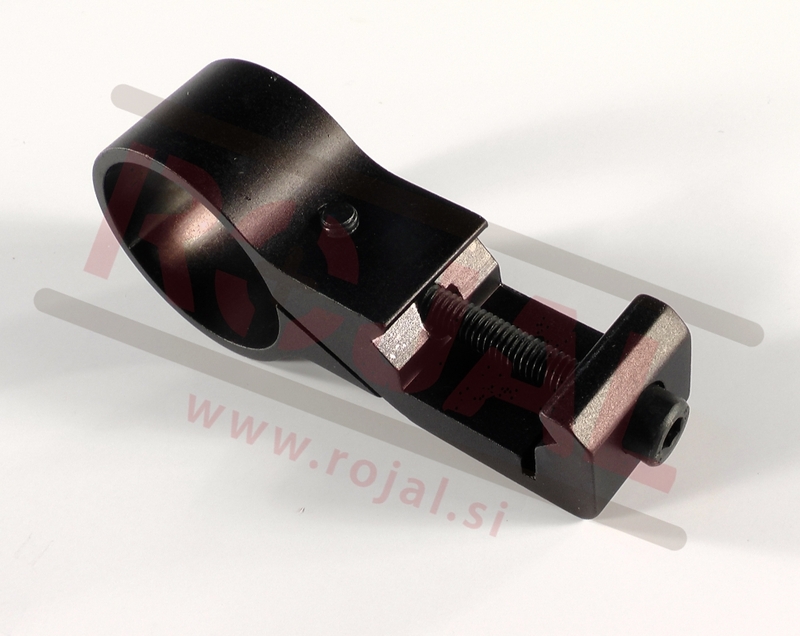 Neoprenski pas za puško s swivel montažo. 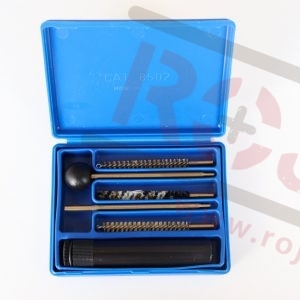 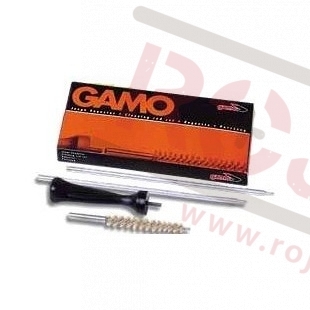 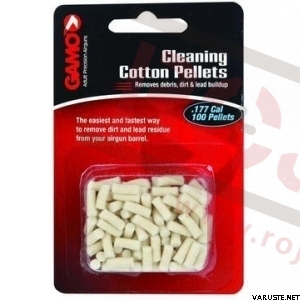 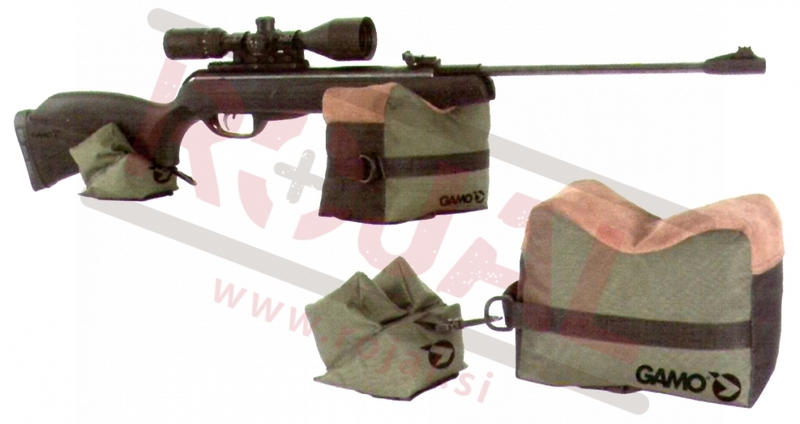 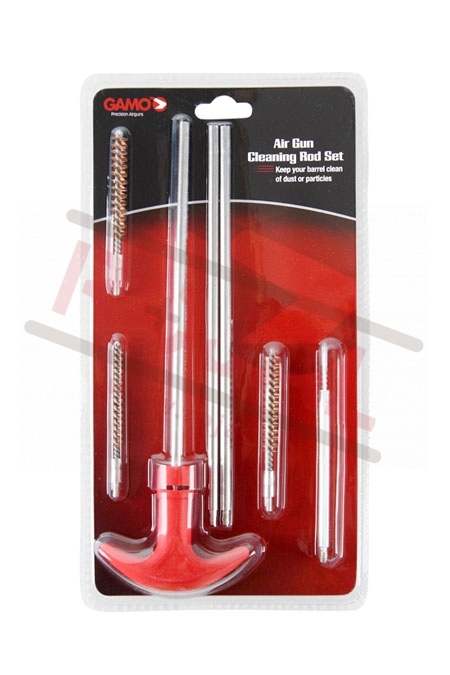 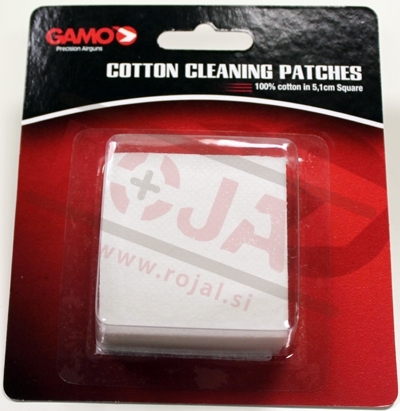 This Gamo deluxe cleaning kit has everything you need to keep your air rifles and air pistols in good working order. 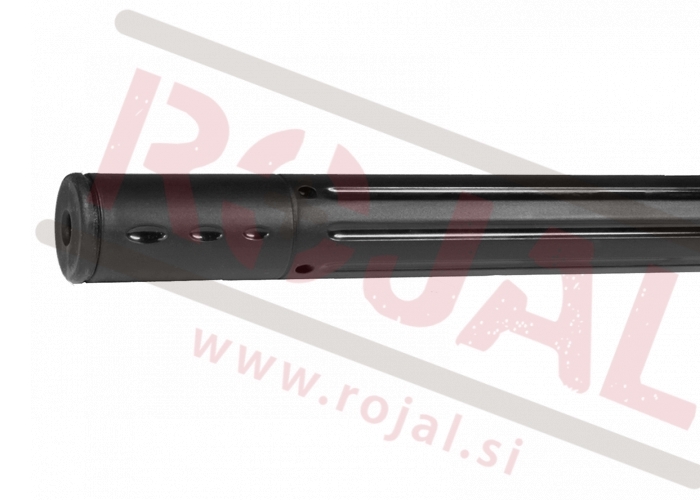 Do not use firearm cleaners on air gun barrels because the harsh and often aggressive chemicals can harm seals and damage the bore. 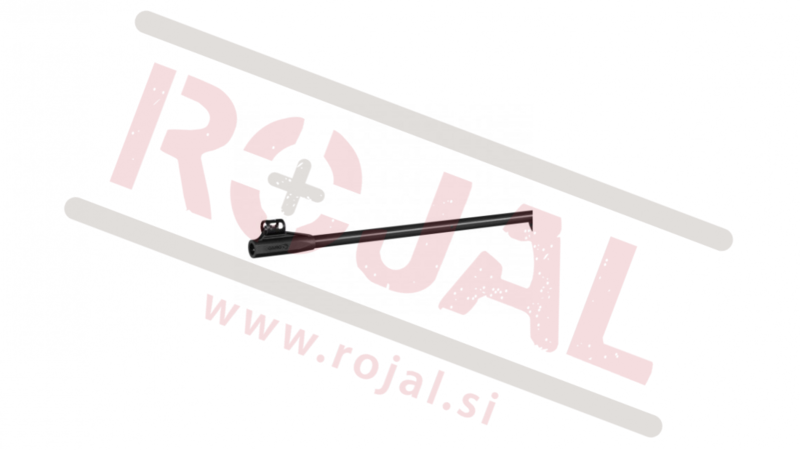 Hitra spojka za uporabo s HP cevjo in polnilno postajo PCP pušk. 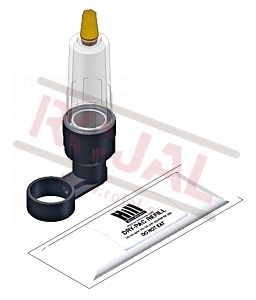 Fill probe for your PCP. 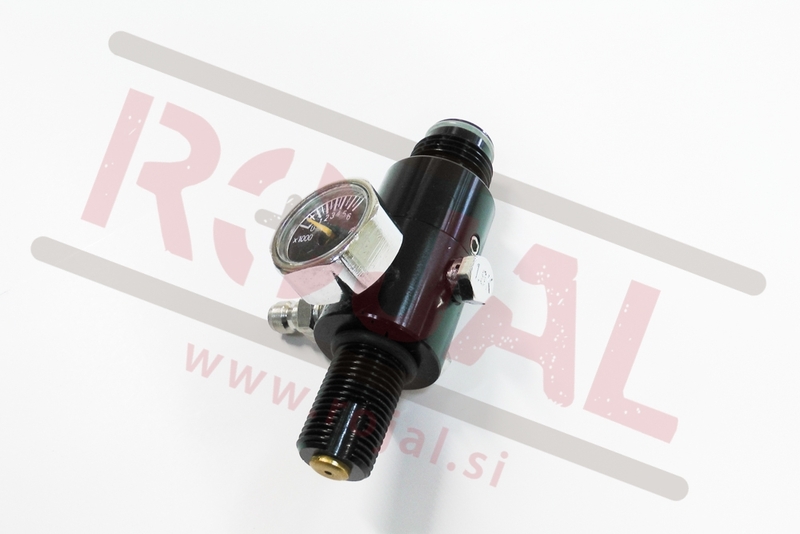 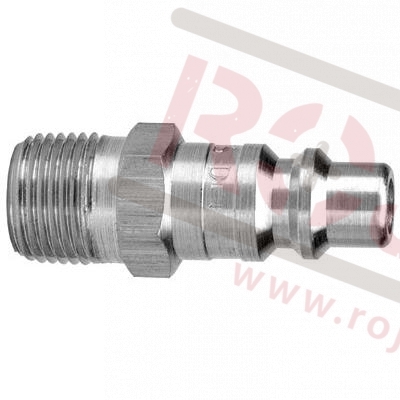 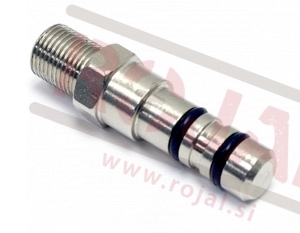 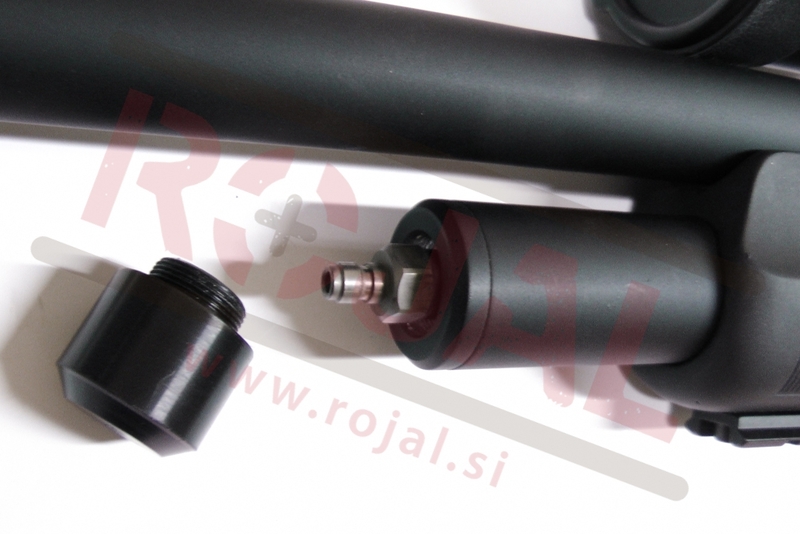 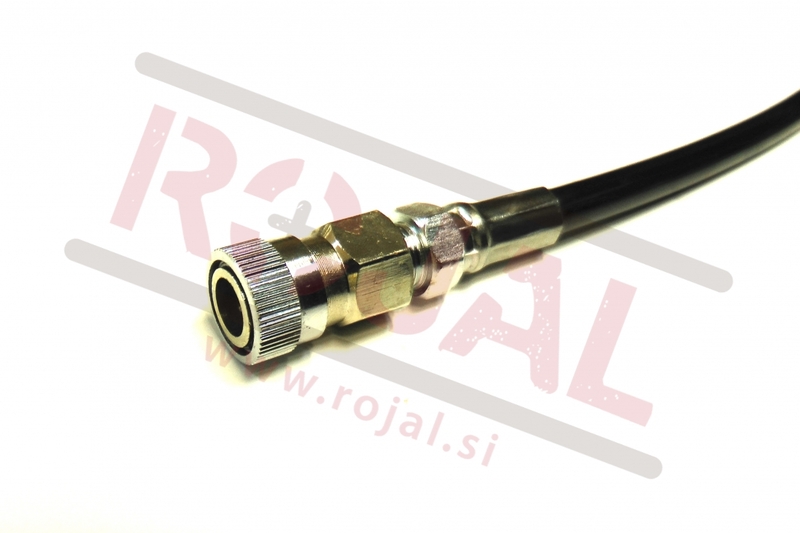 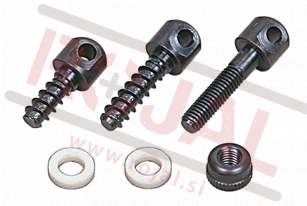 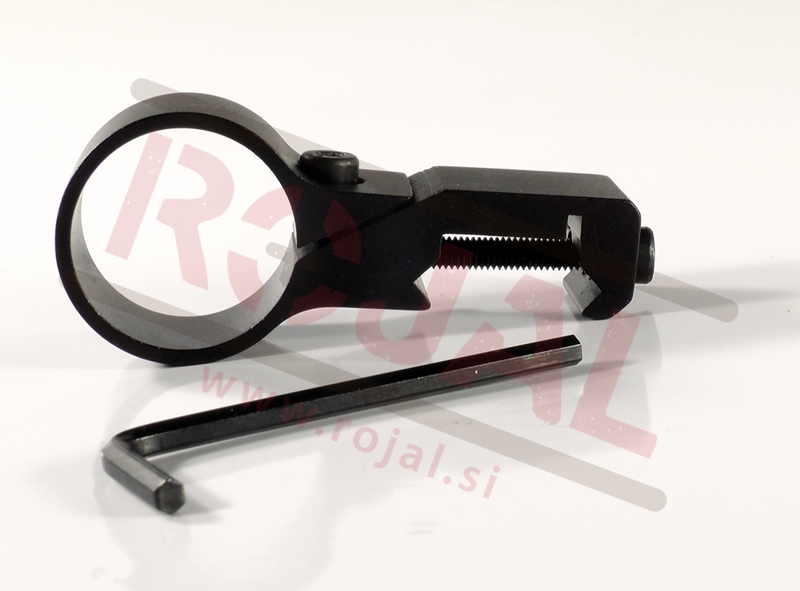 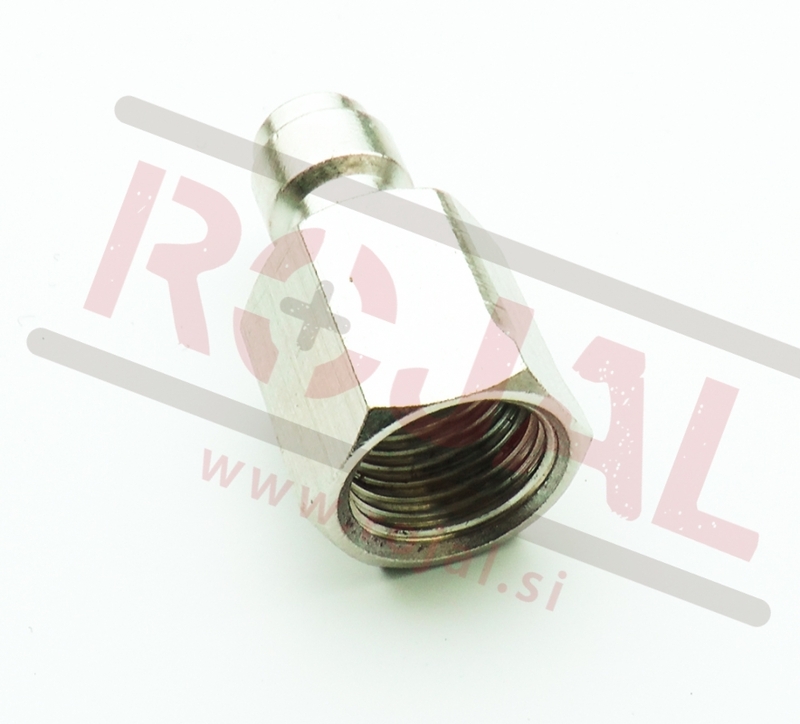 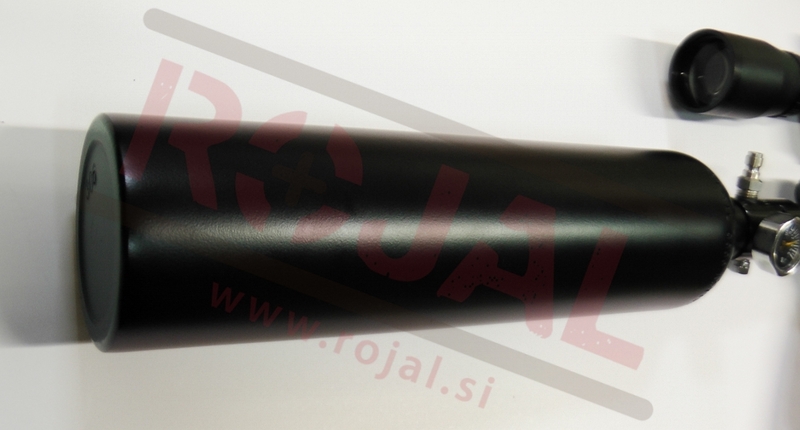 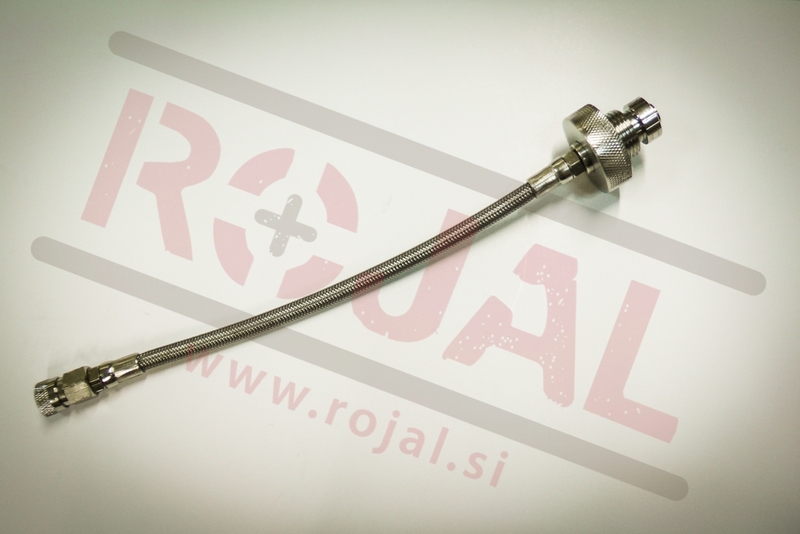 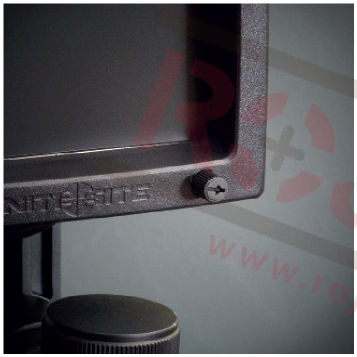 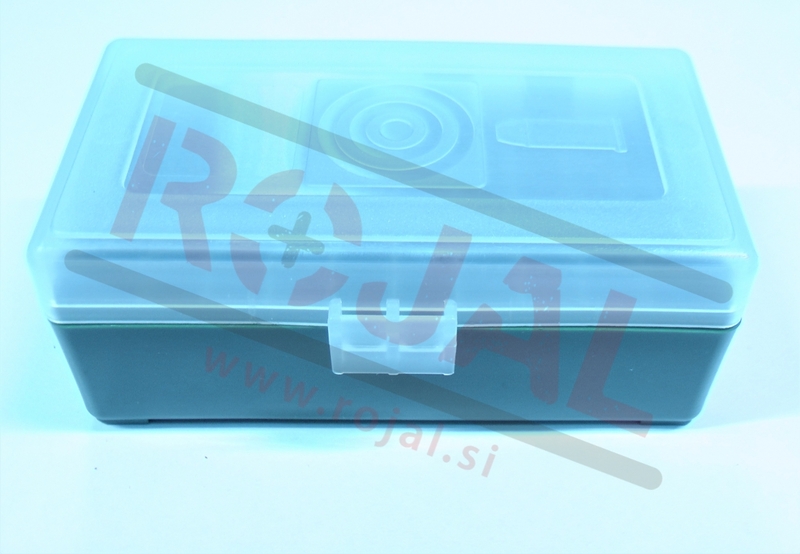 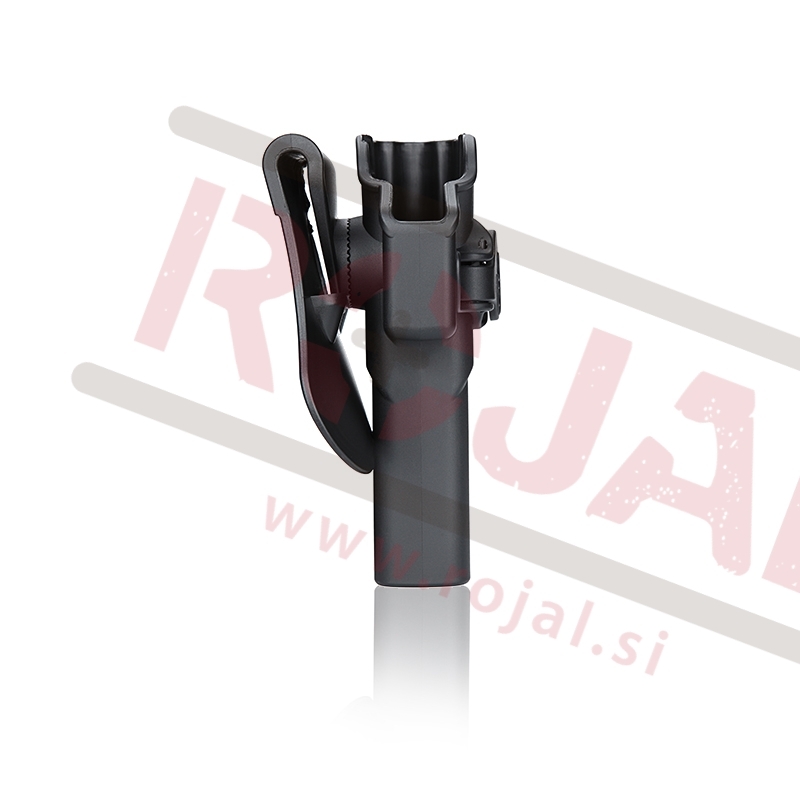 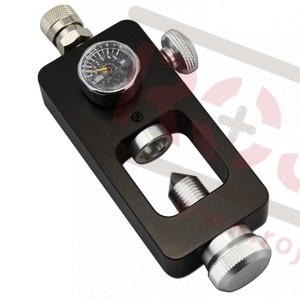 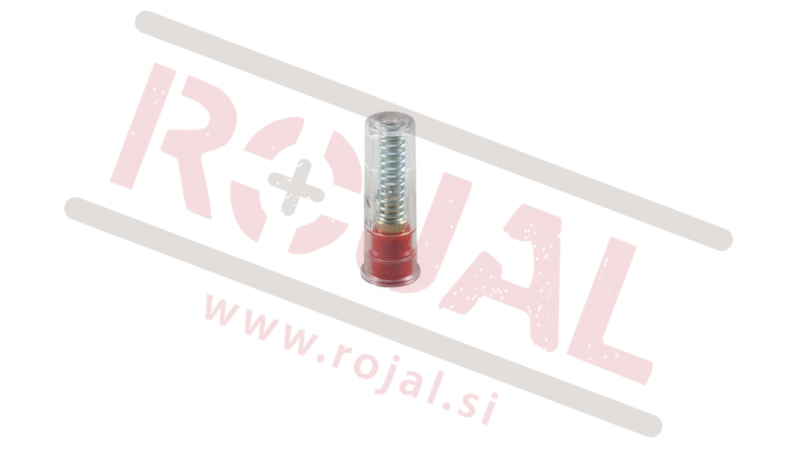 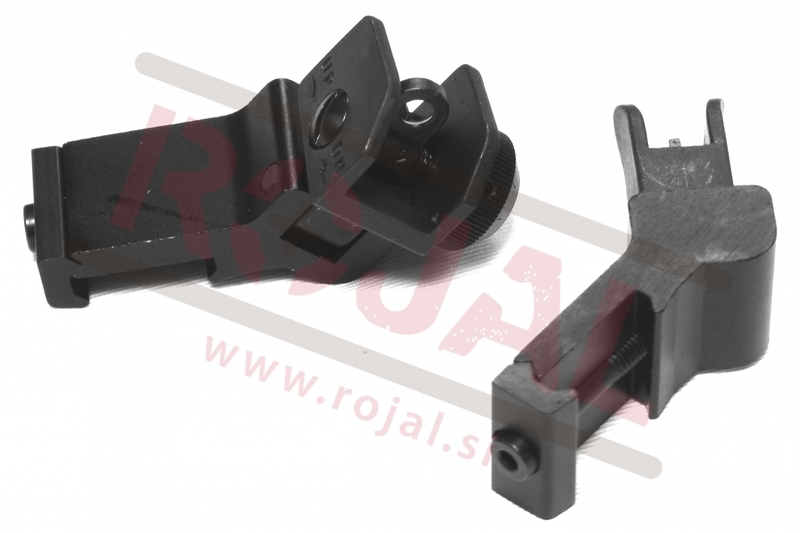 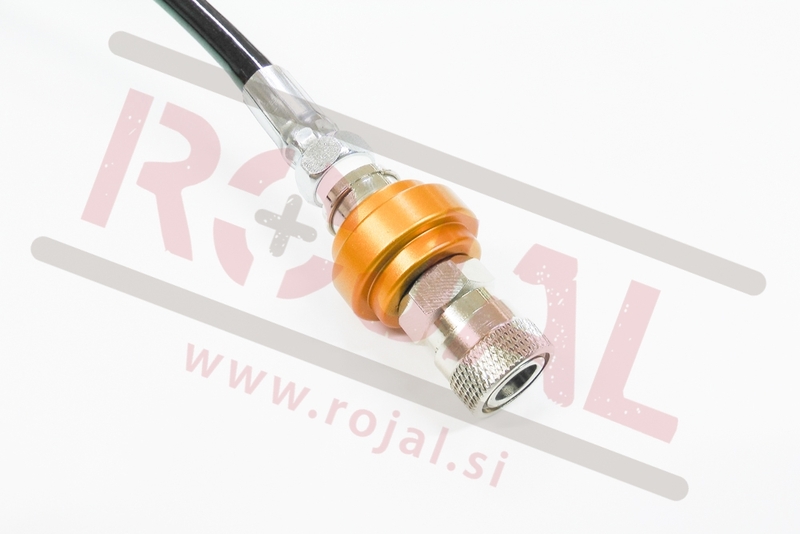 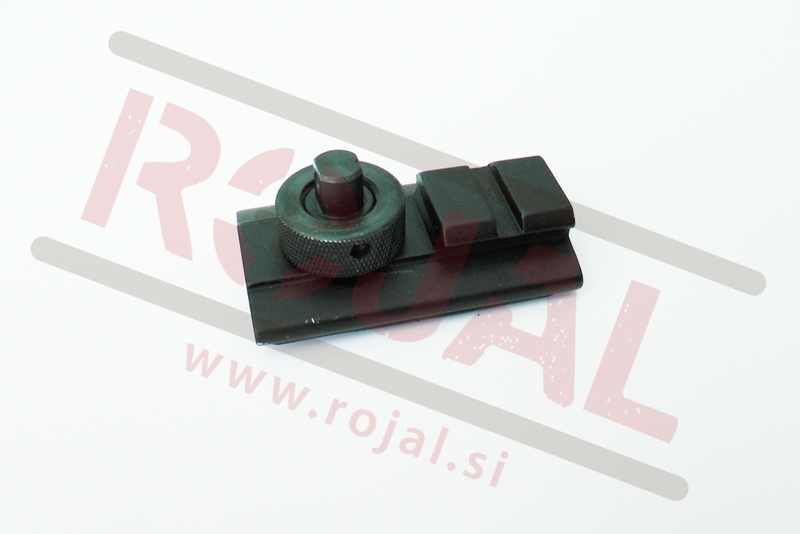 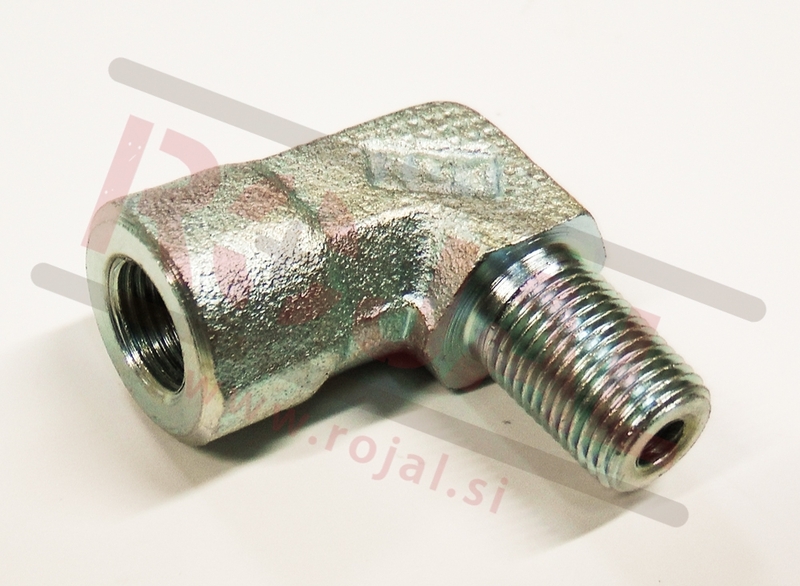 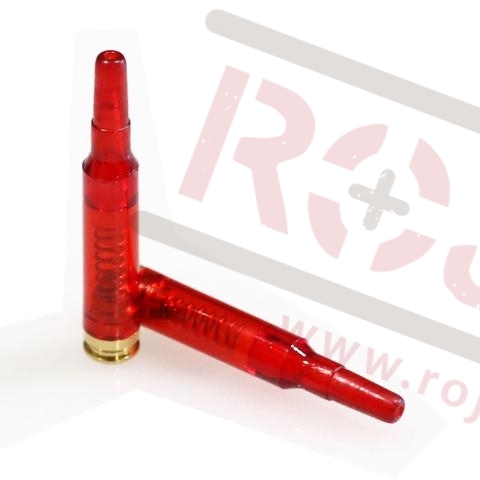 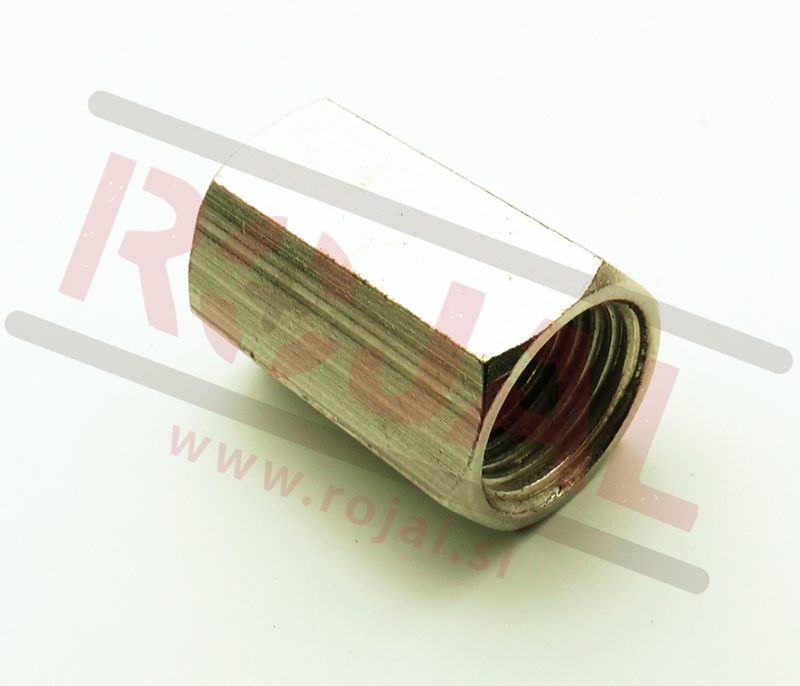 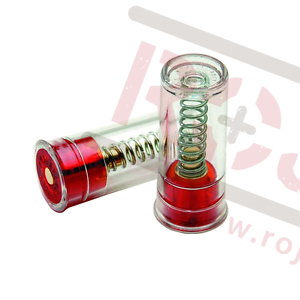 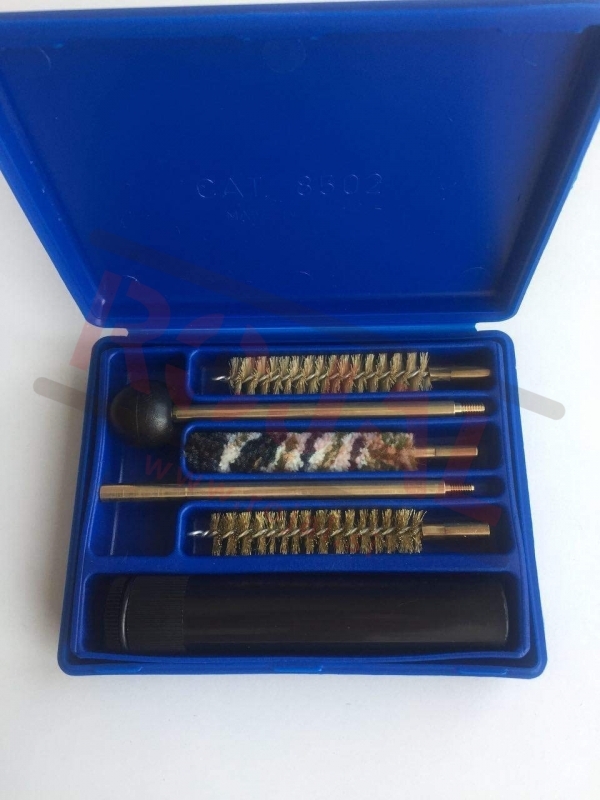 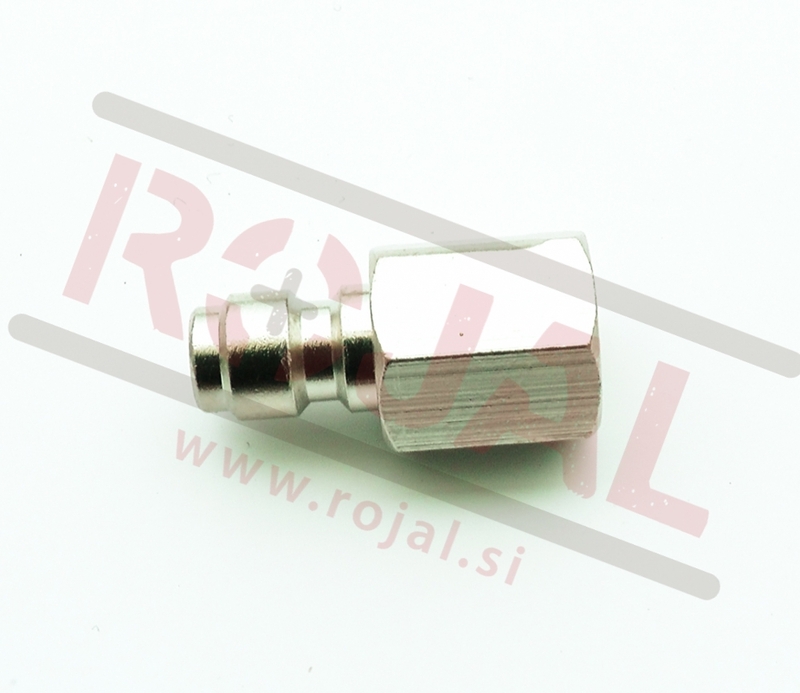 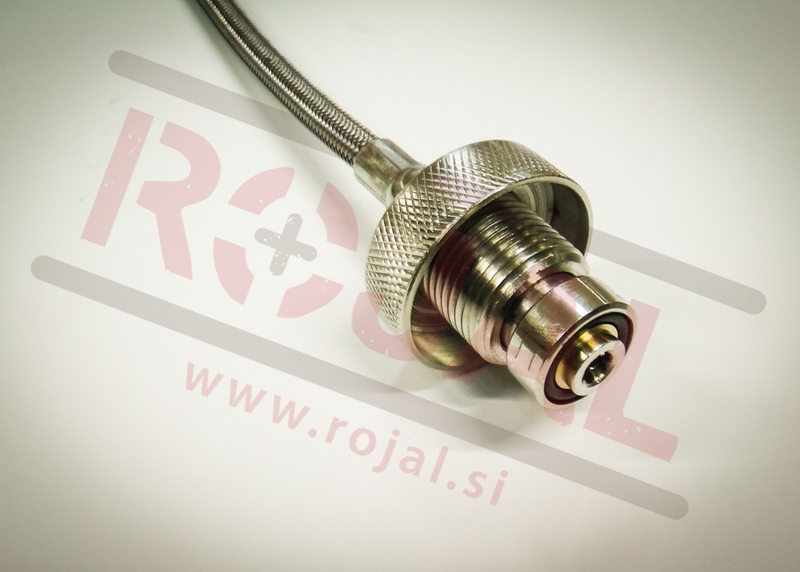 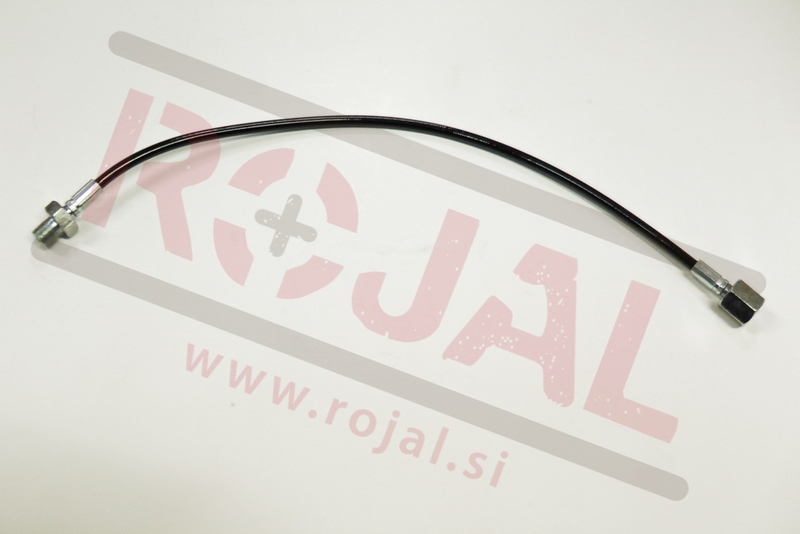 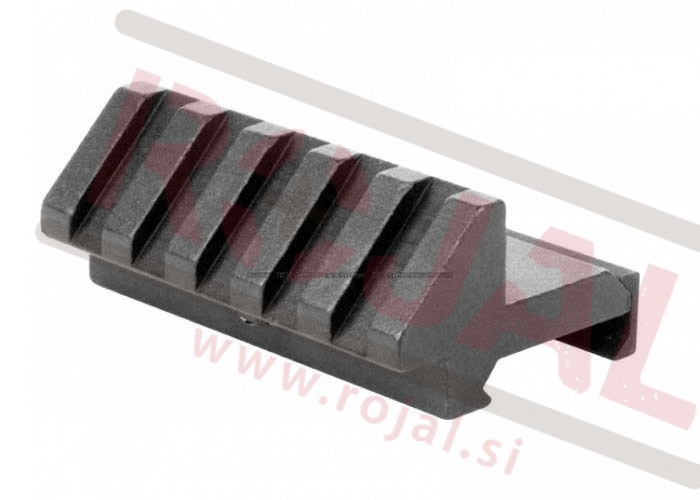 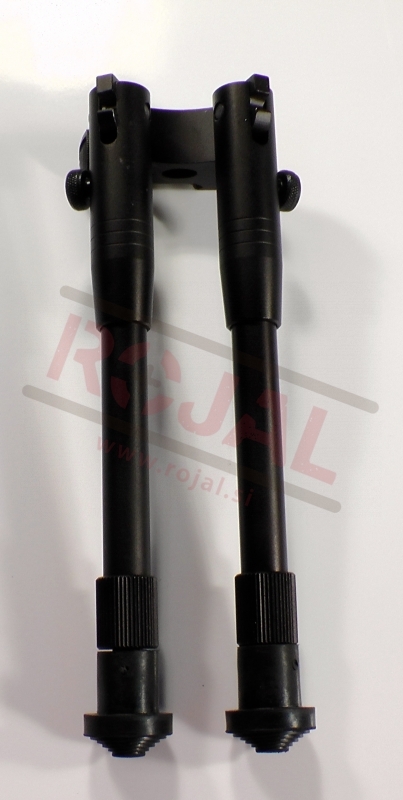 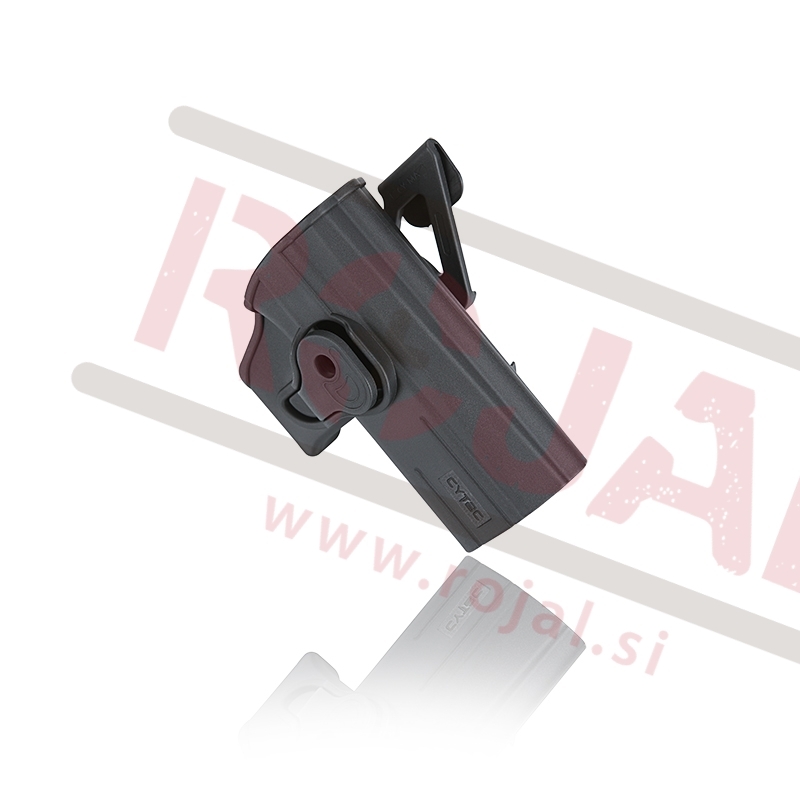 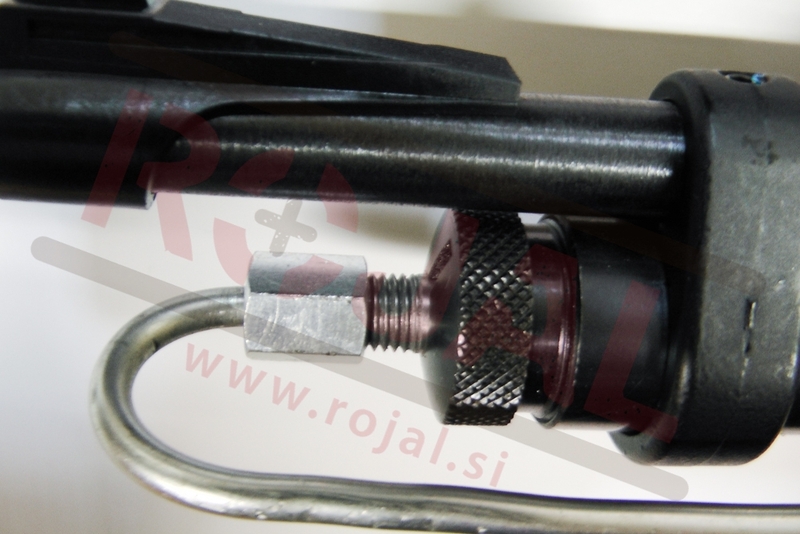 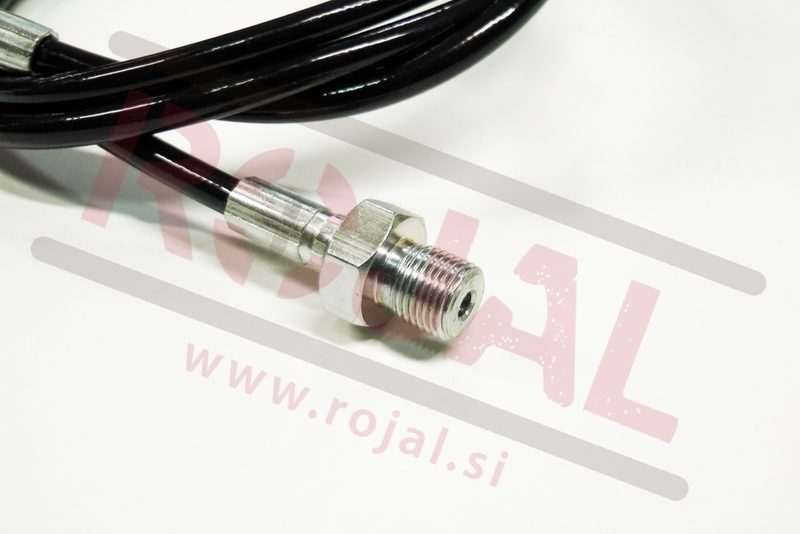 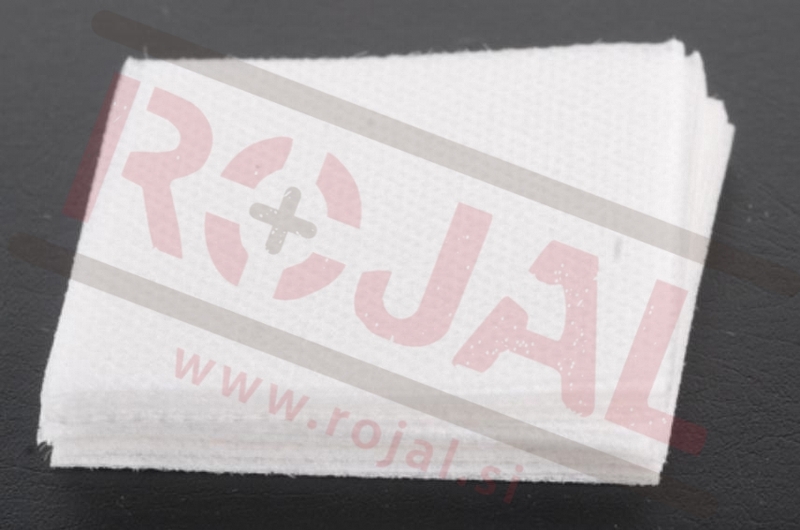 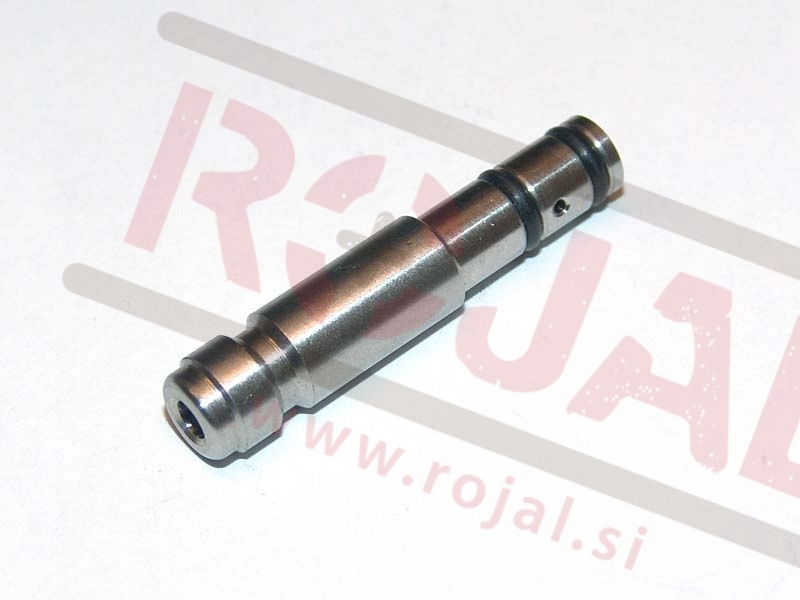 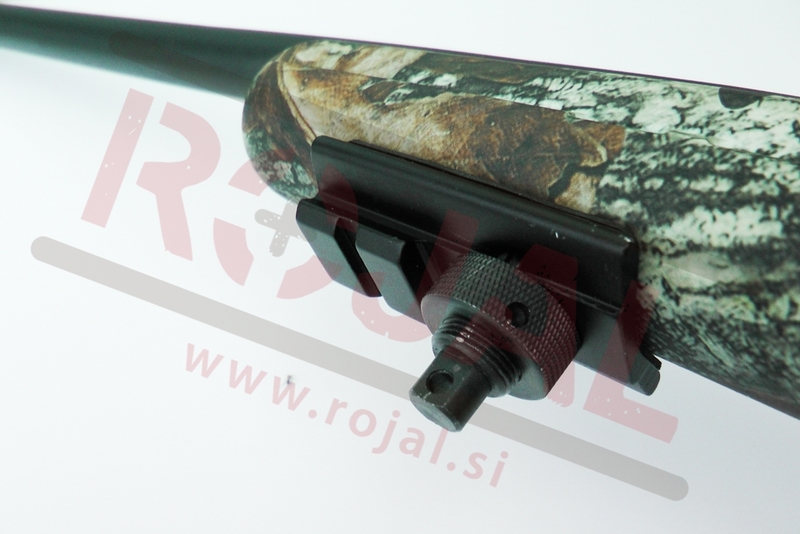 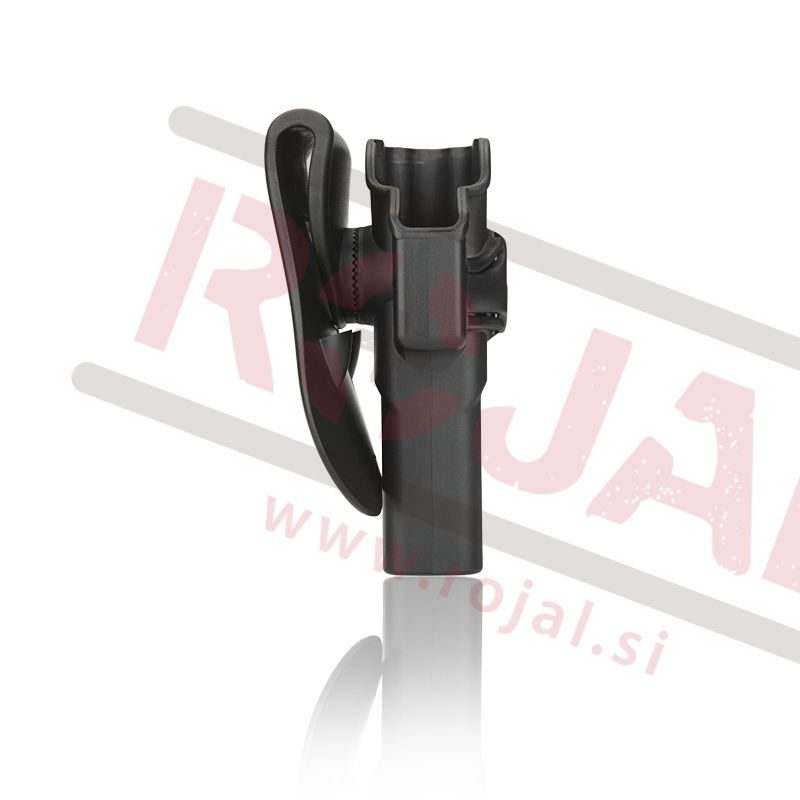 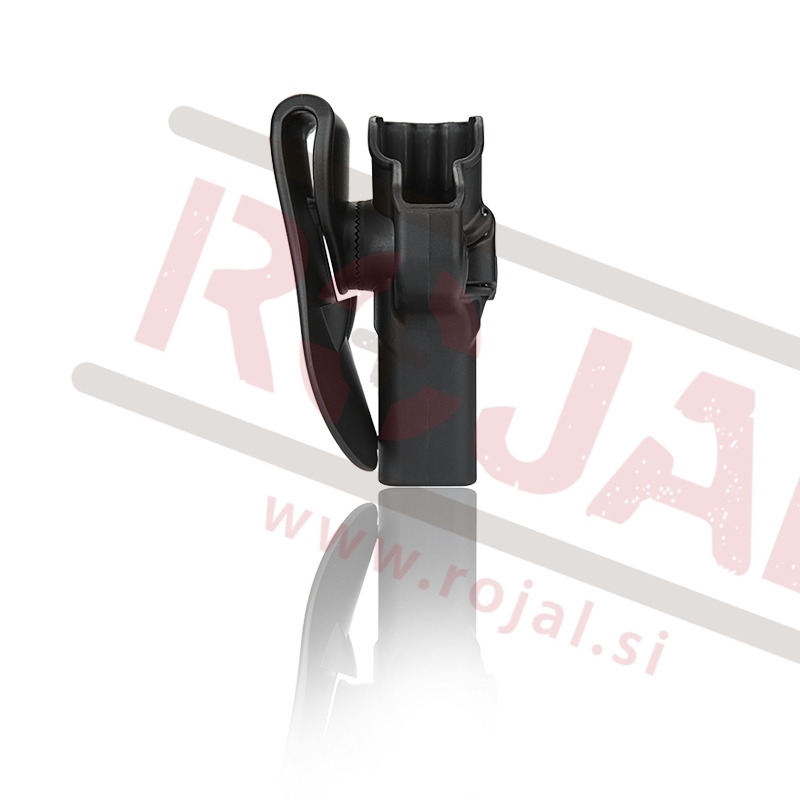 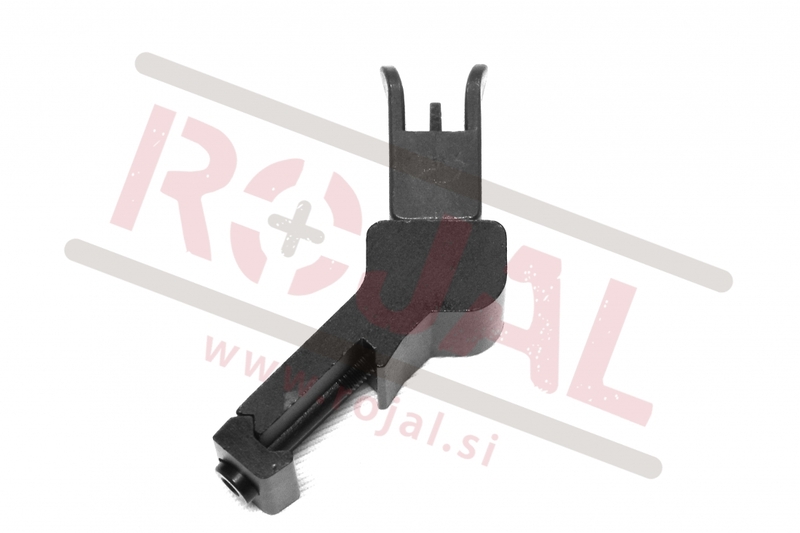 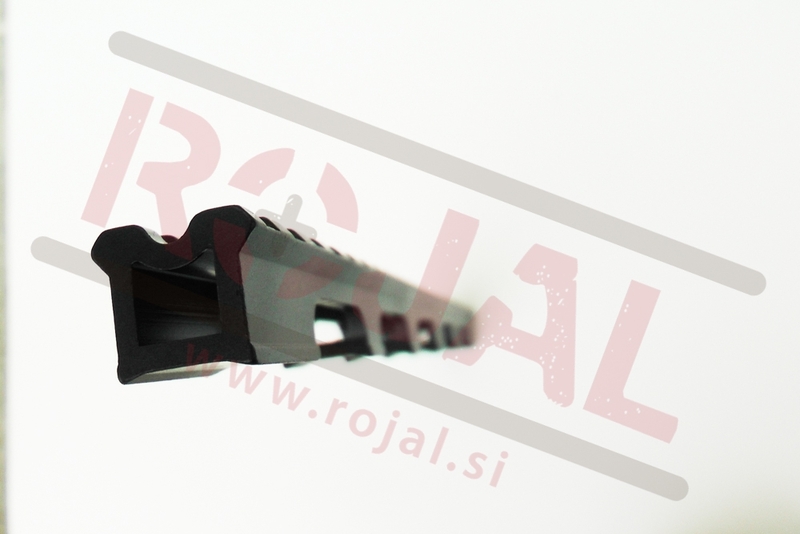 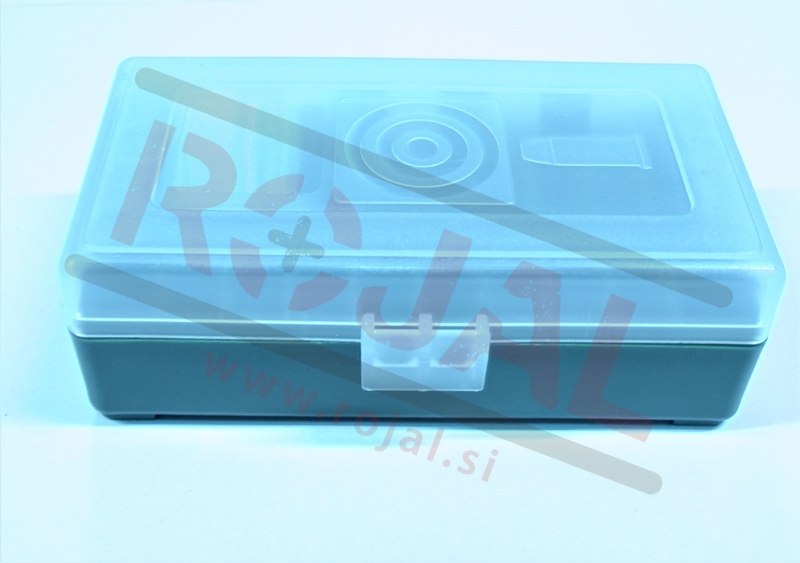 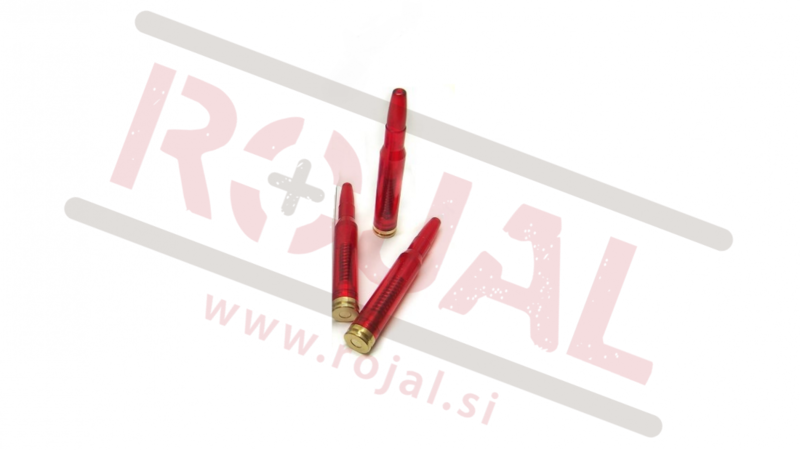 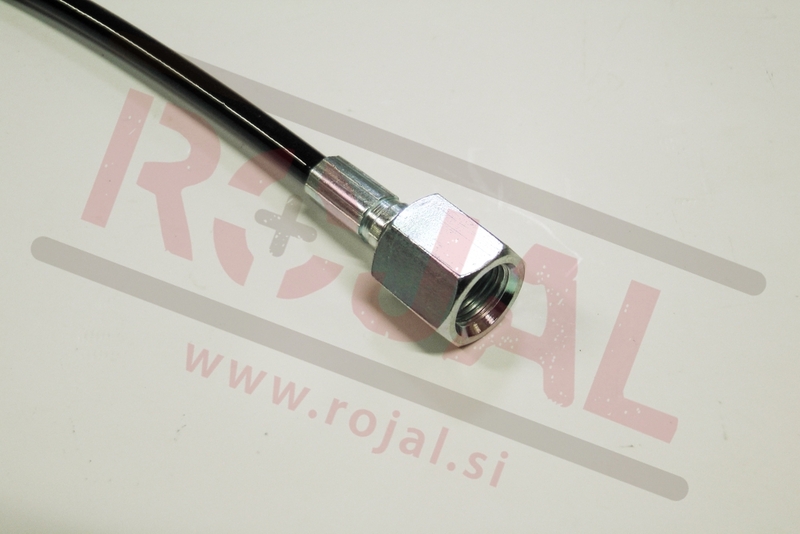 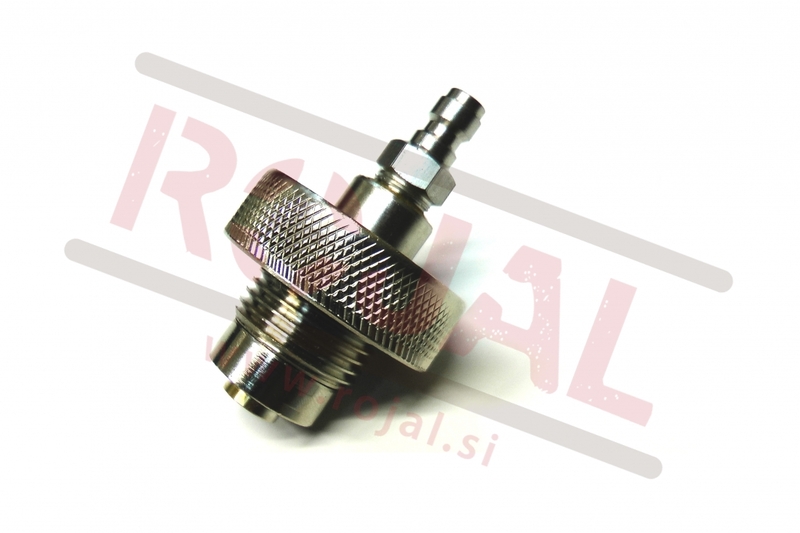 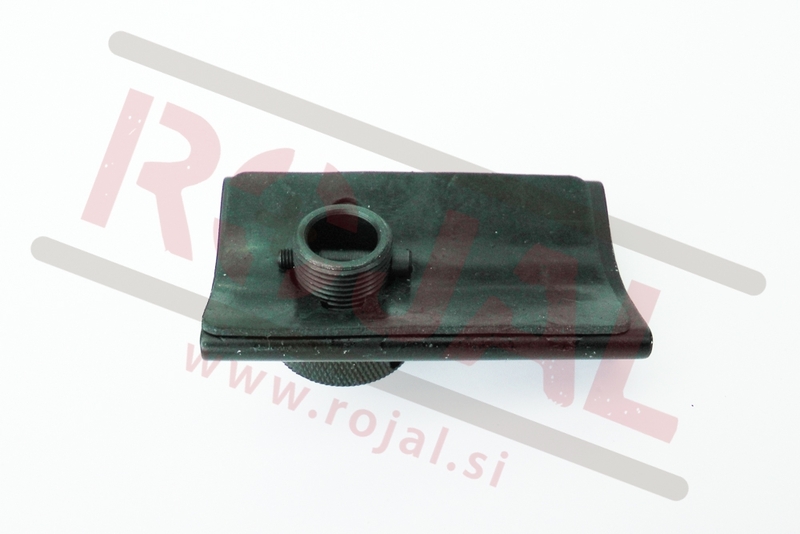 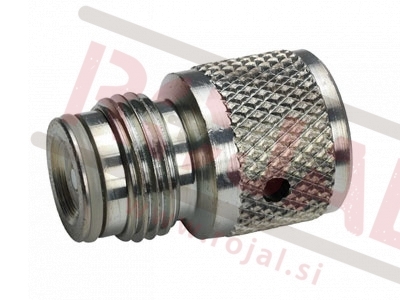 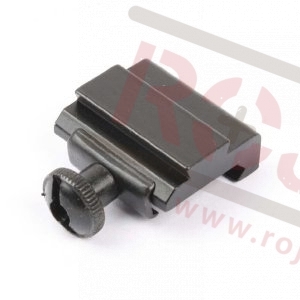 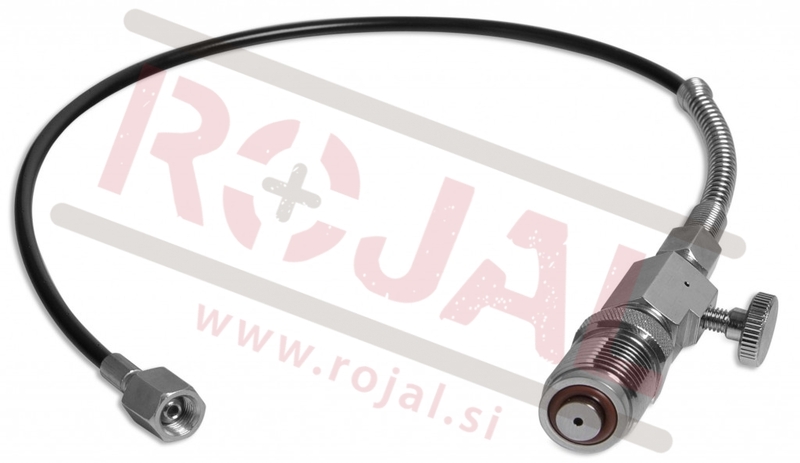 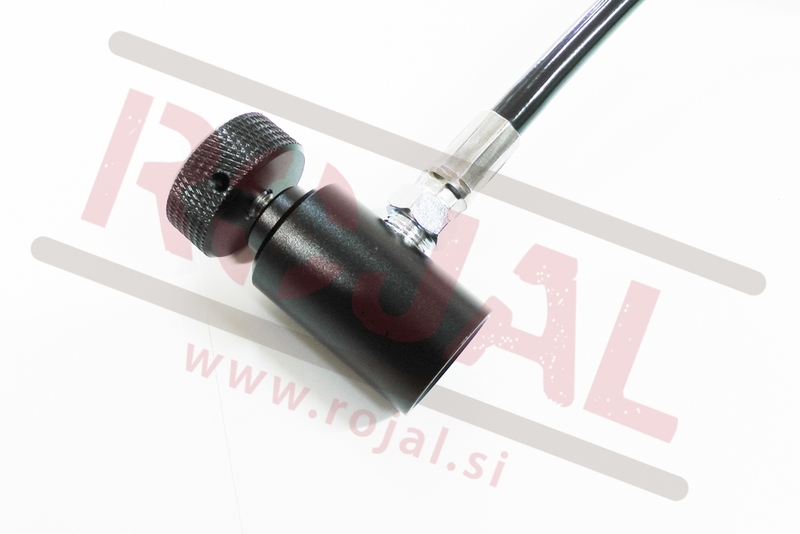 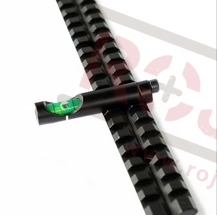 We make a filling probe with any kind of connector for any kind of airgun. 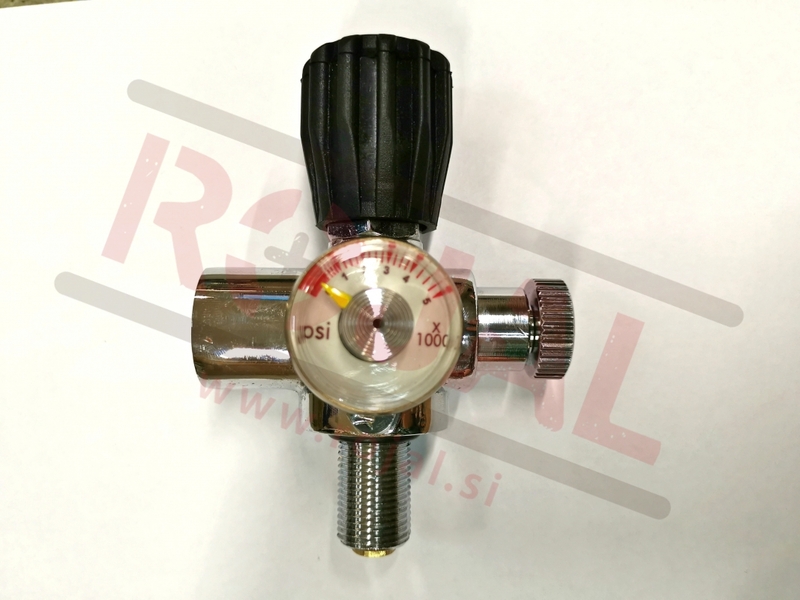 270 bar tank with a valve and a manometer that shows tank pressure. 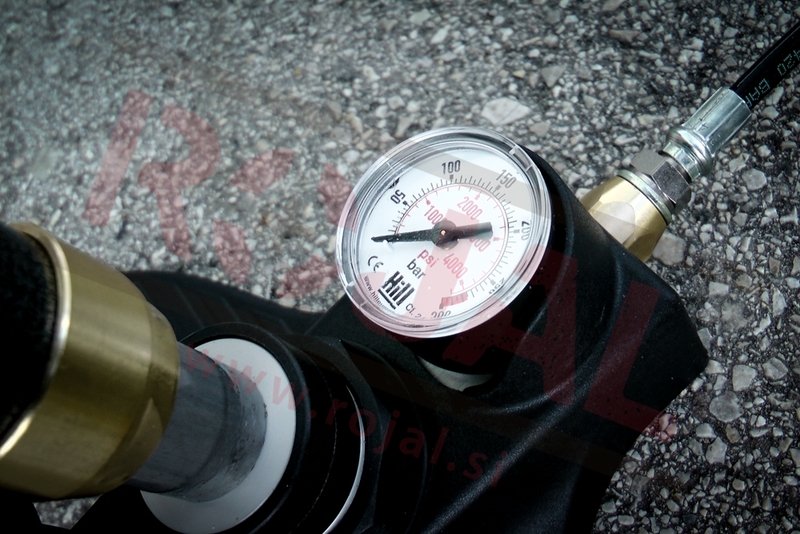 There is a filling station with pressure release valve and manometer on it that shows the hose pressure. 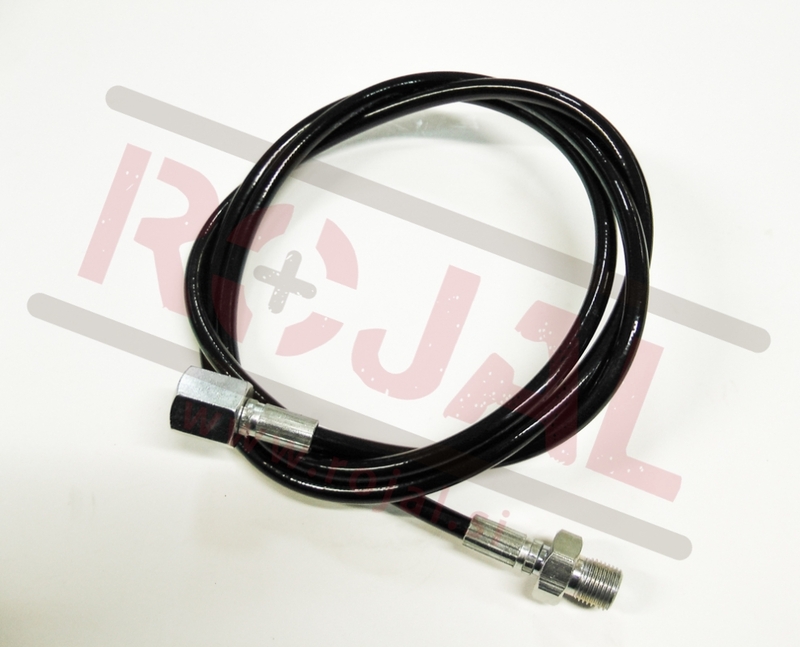 It comes with a quick connect 100cm hose. 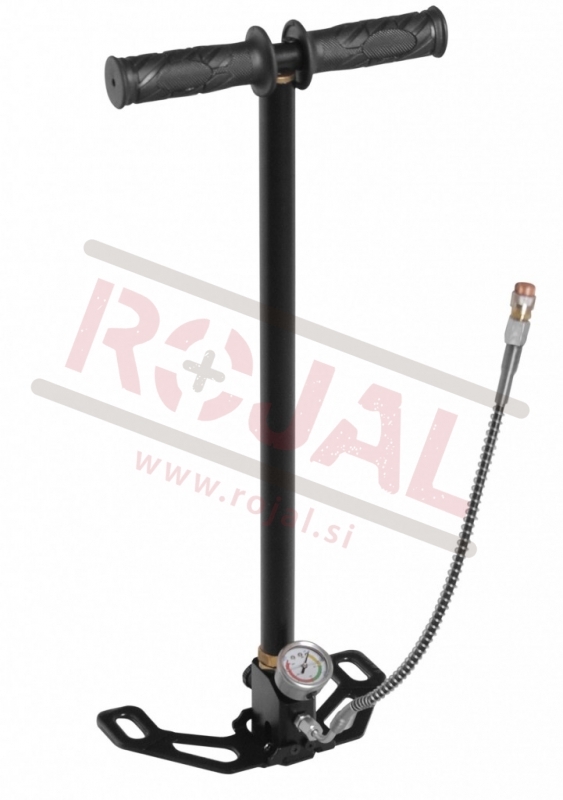 270 bar tank with a valve and a manometer that shows tank pressure. 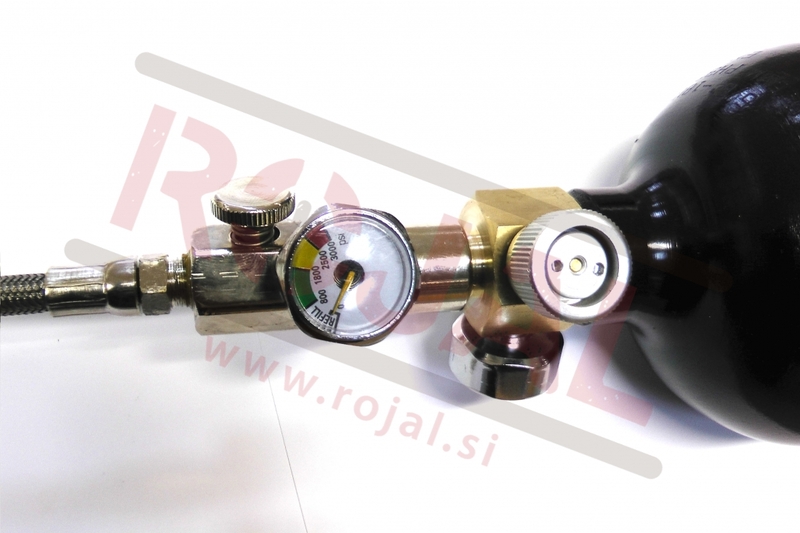 There is a filling station with pressure release valve and manometer on it that shows the hose pressure. 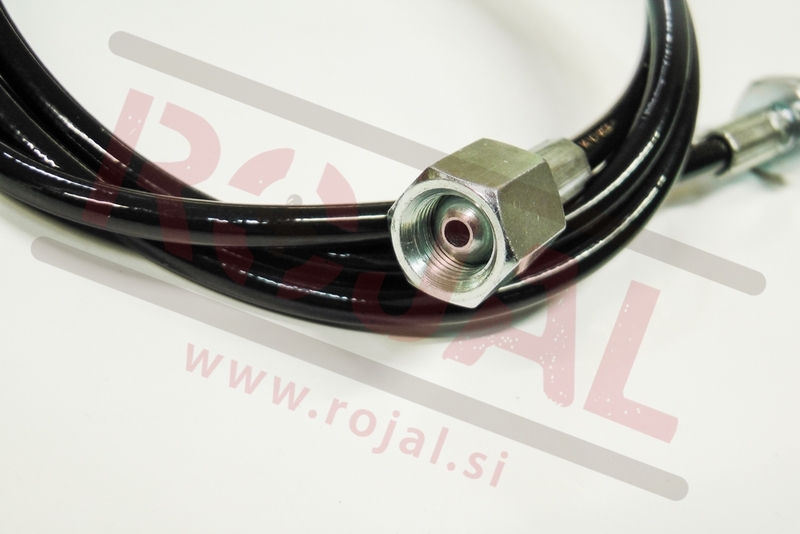 It comes with a quick connect 30cm hose. 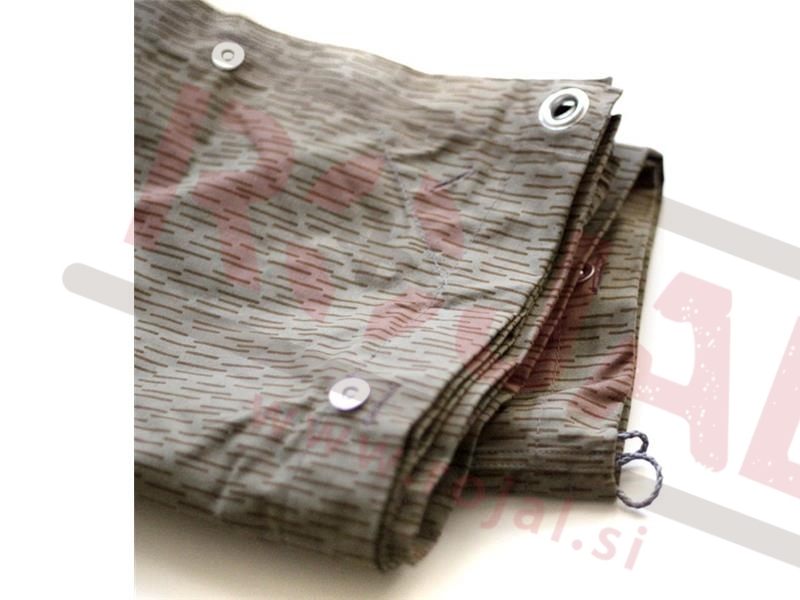 Lahka in kompaktna jeklenka opremljena z glavnim izpustnim ventilom in možnimi dodatki. 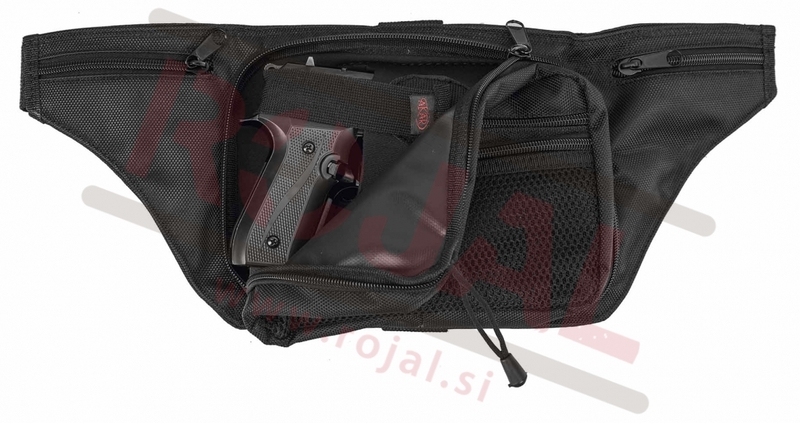 Zaradi majhnega profila in teže je izredno mobilna in primerna za nekaj kratno polnjenje rezervoarjev standardnih kapacitet. 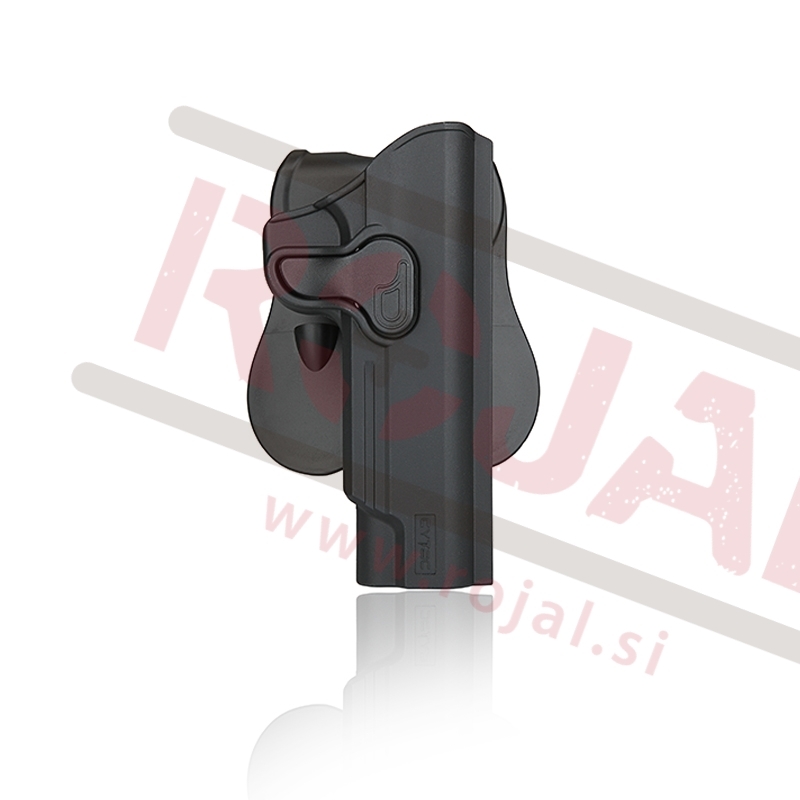 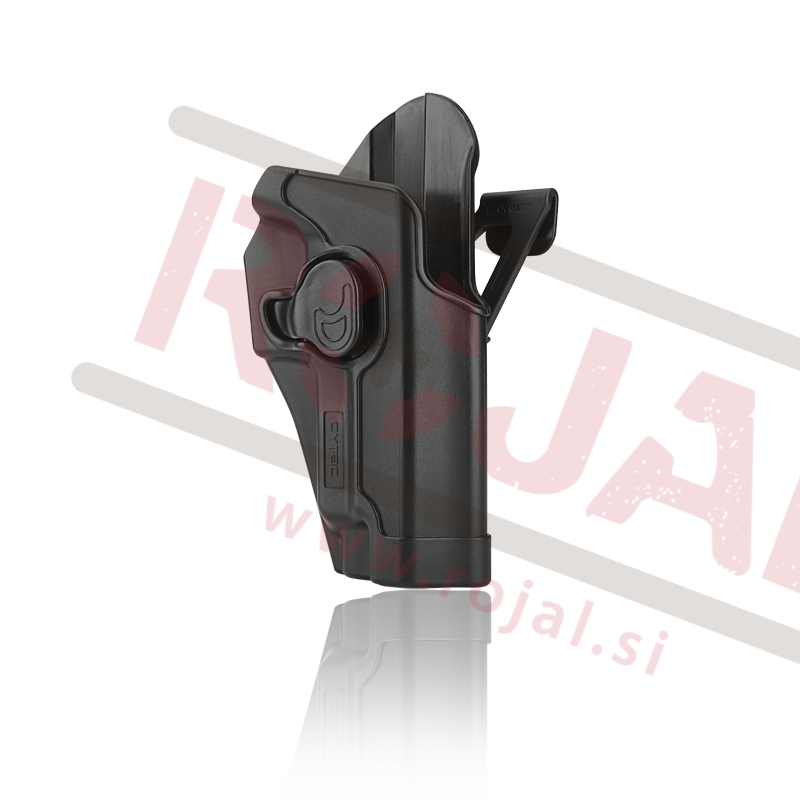 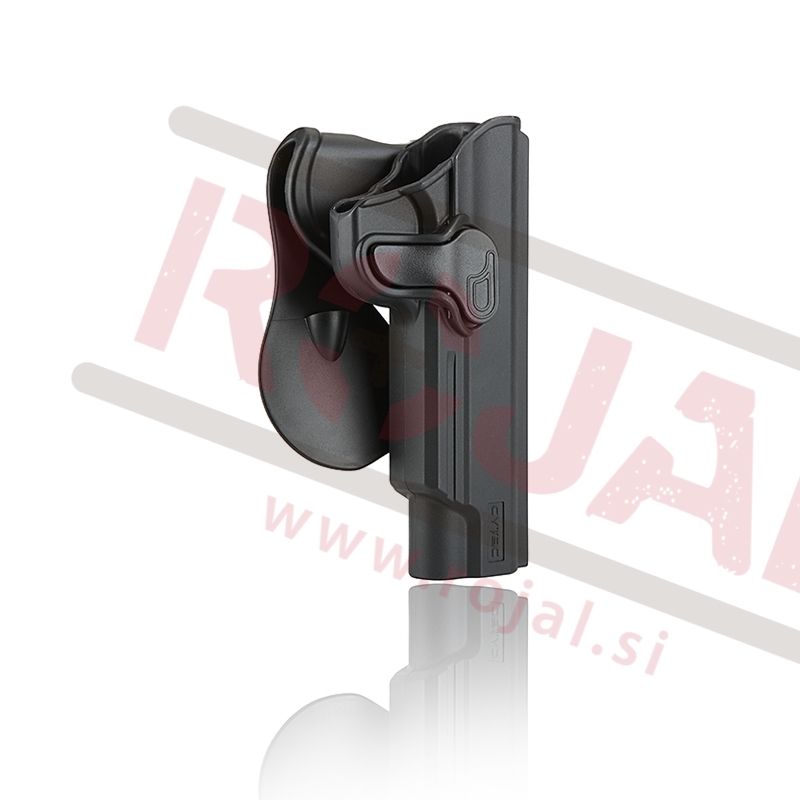 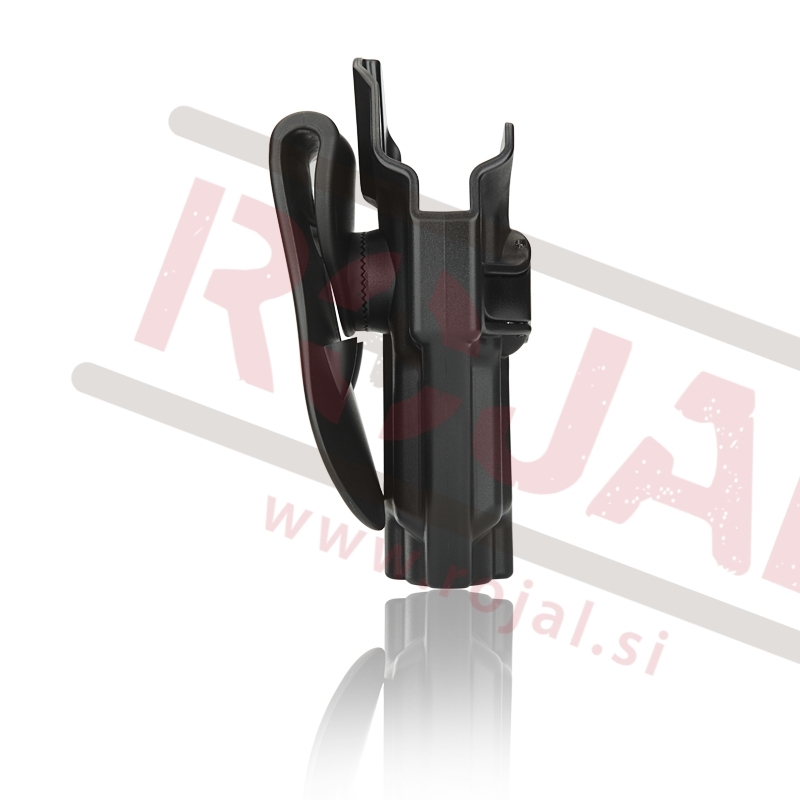 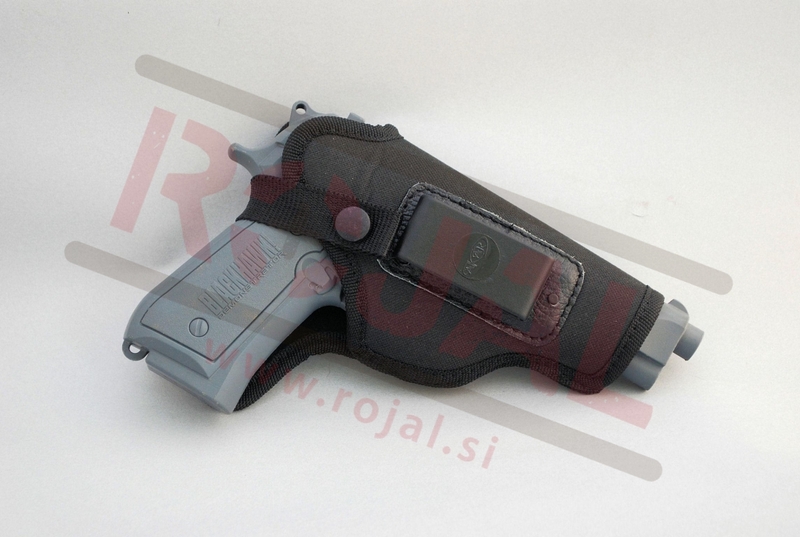 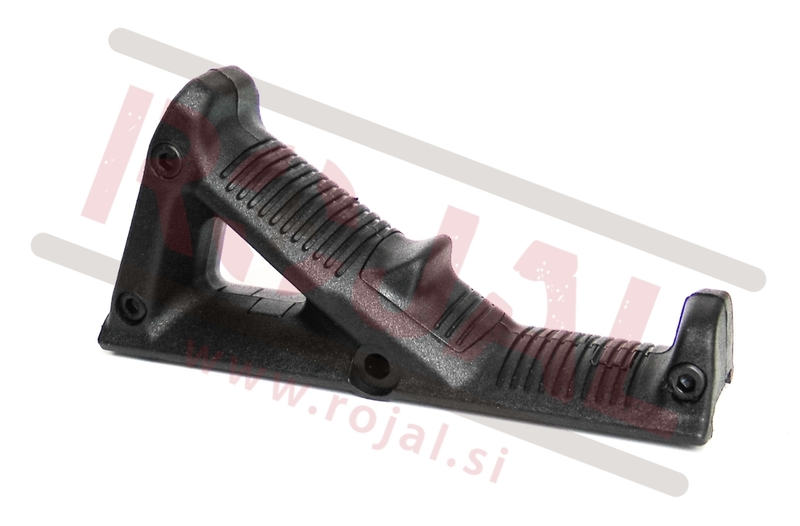 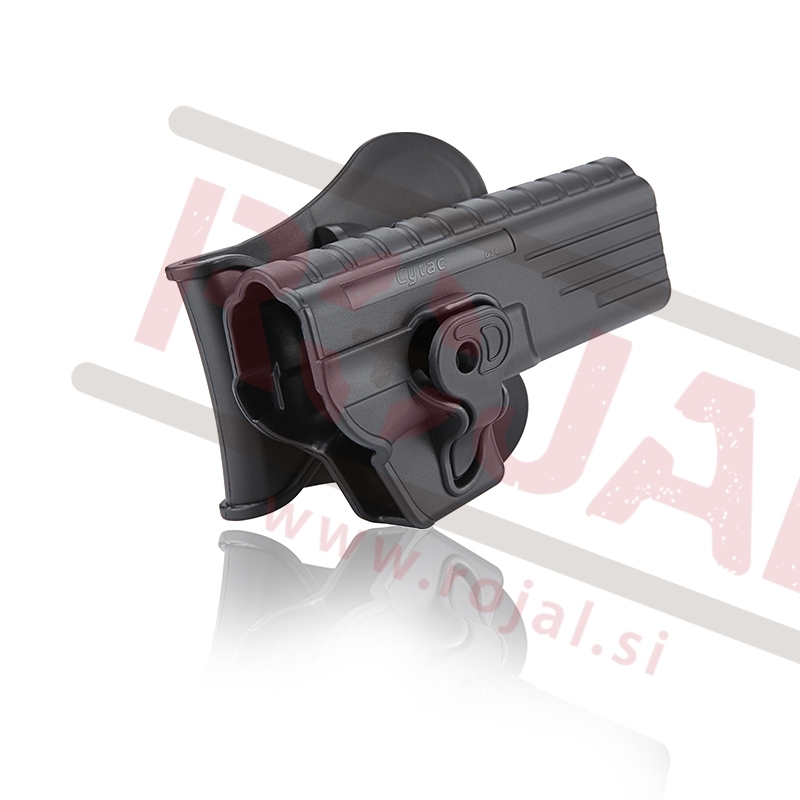 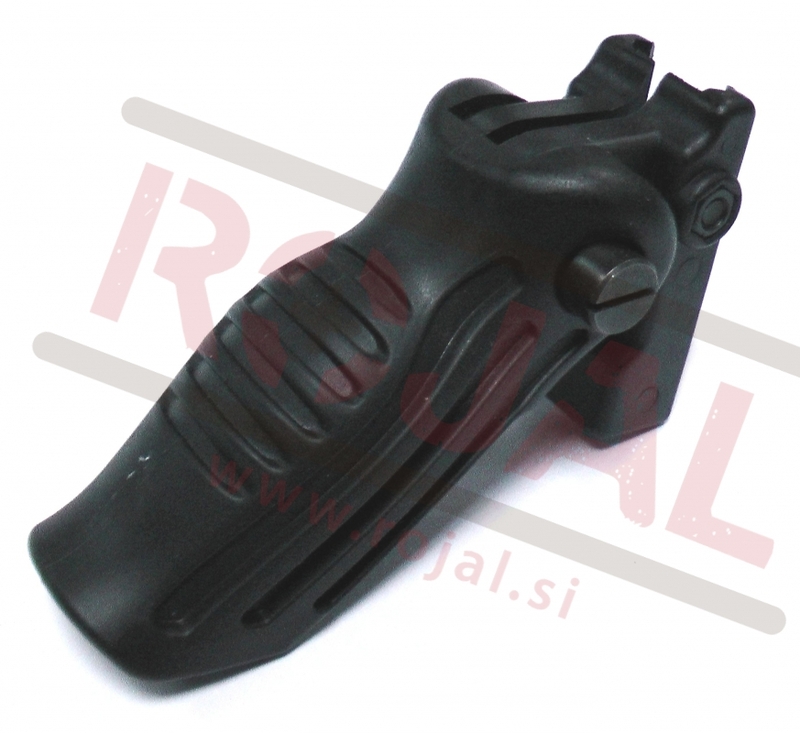 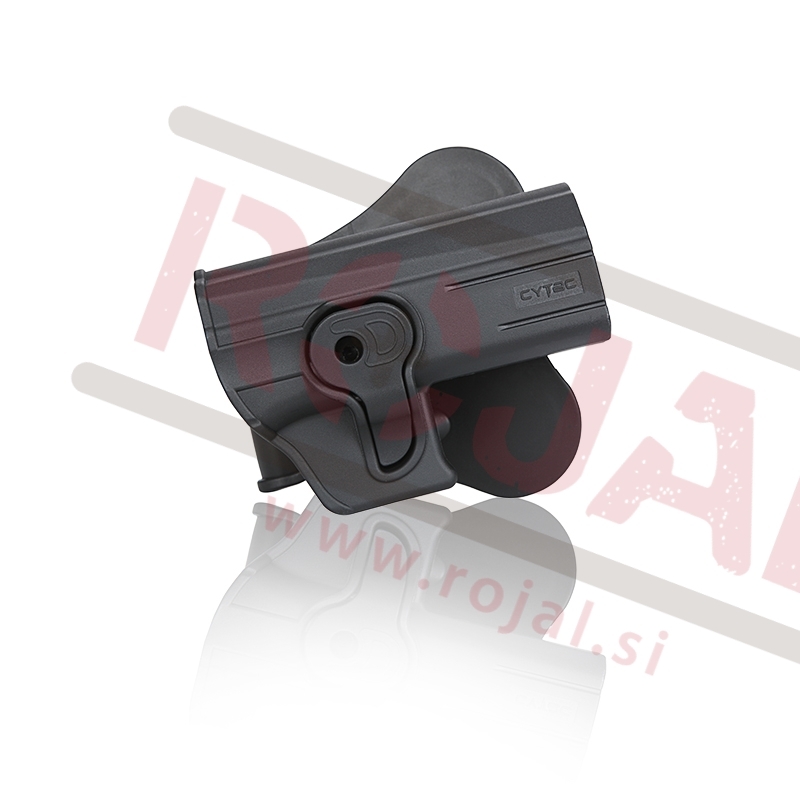 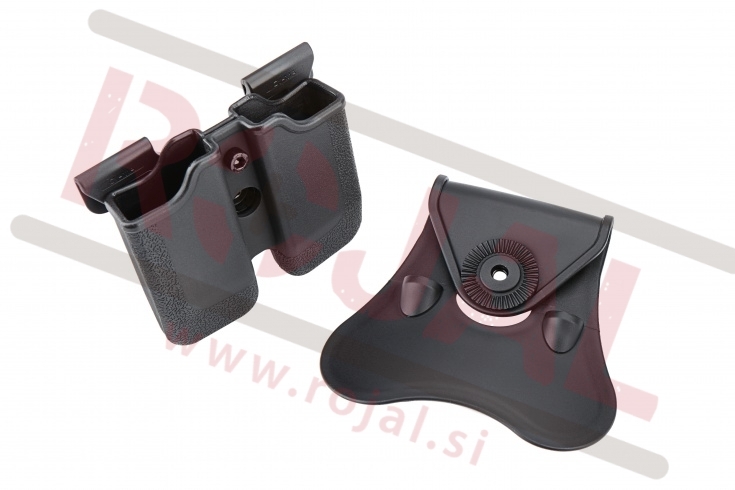 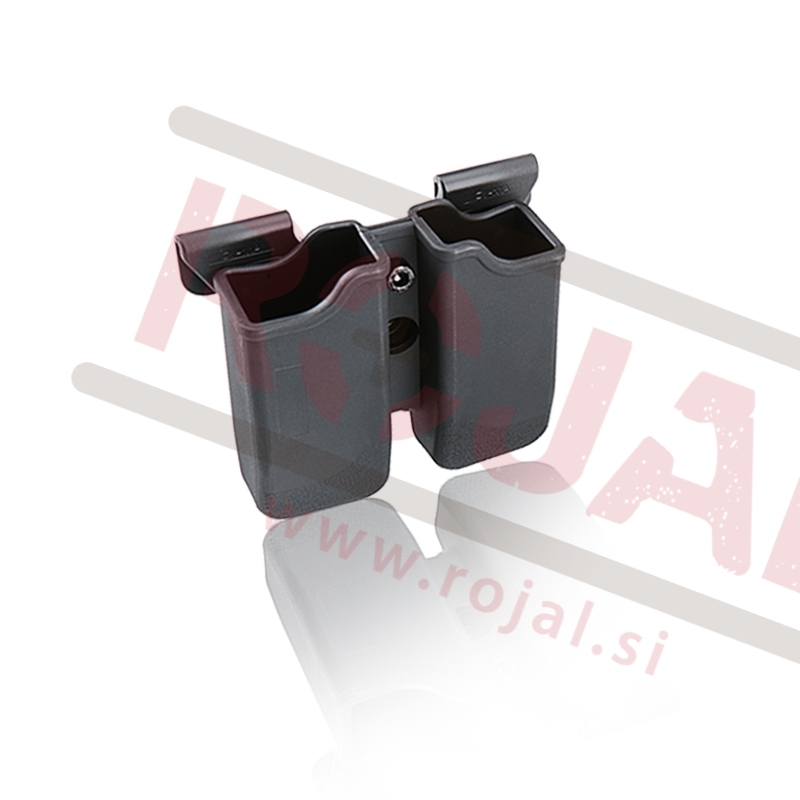 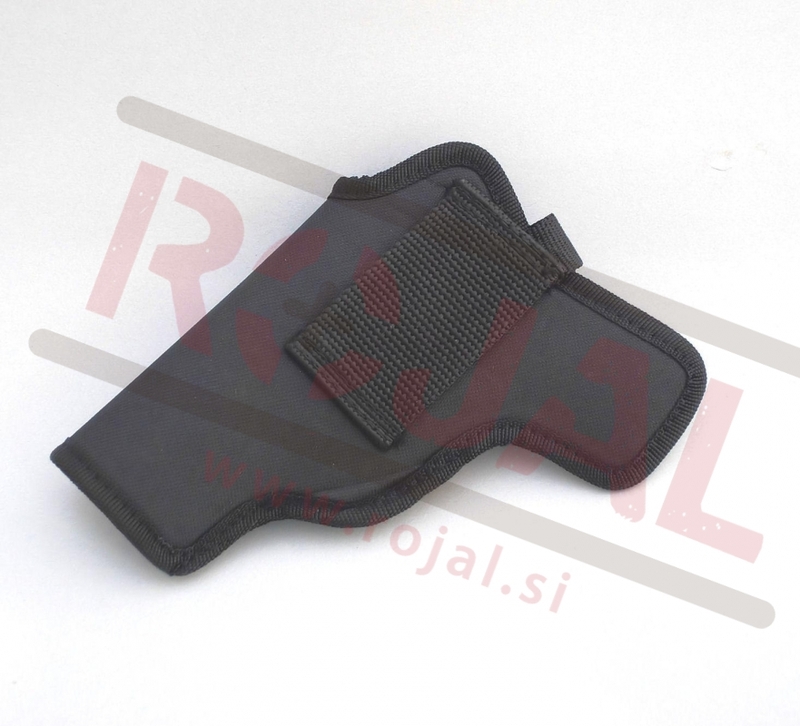 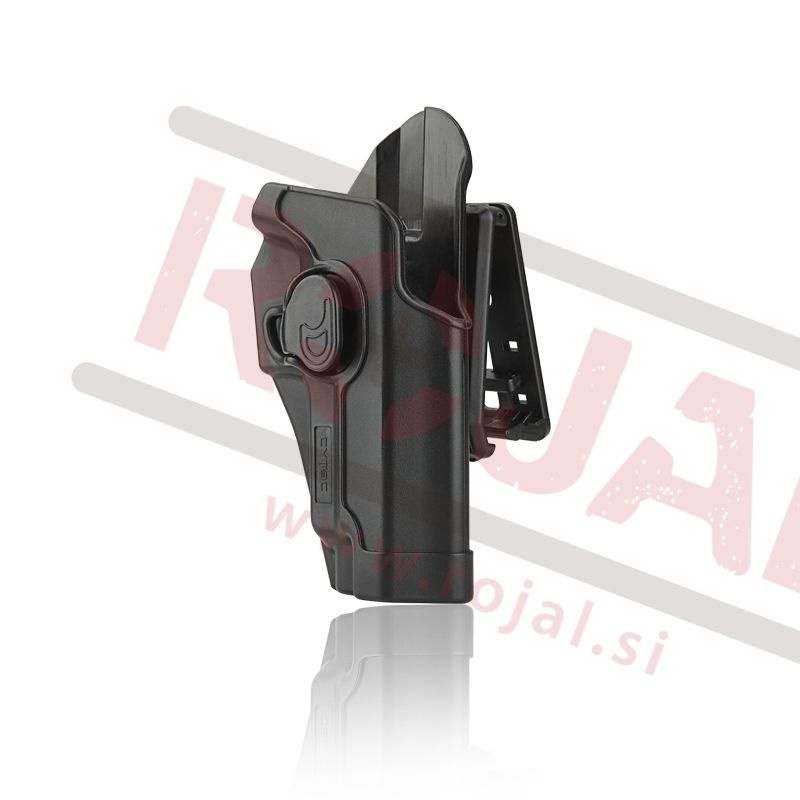 Girsan MC 28 SA 9X19 gun holster from Akar. 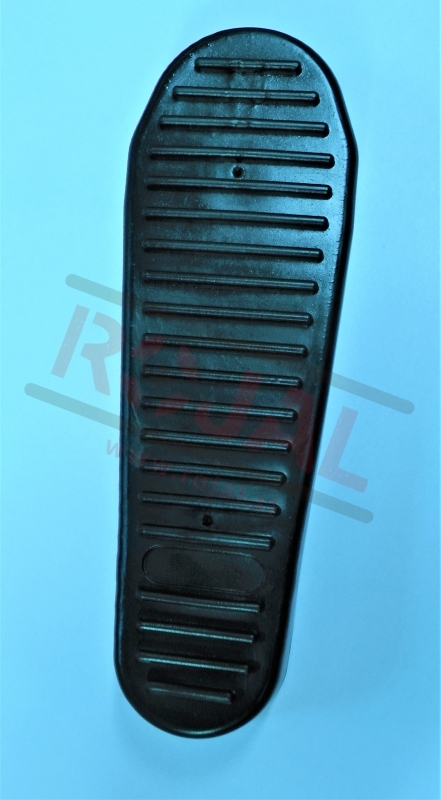 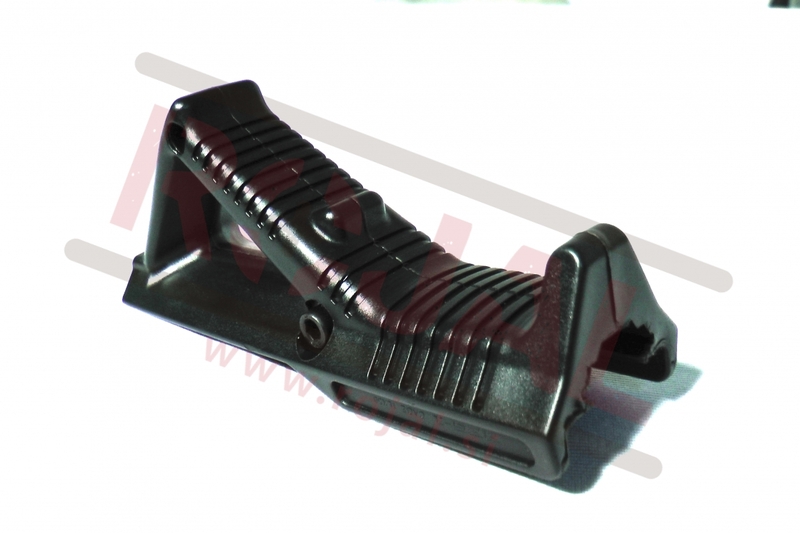 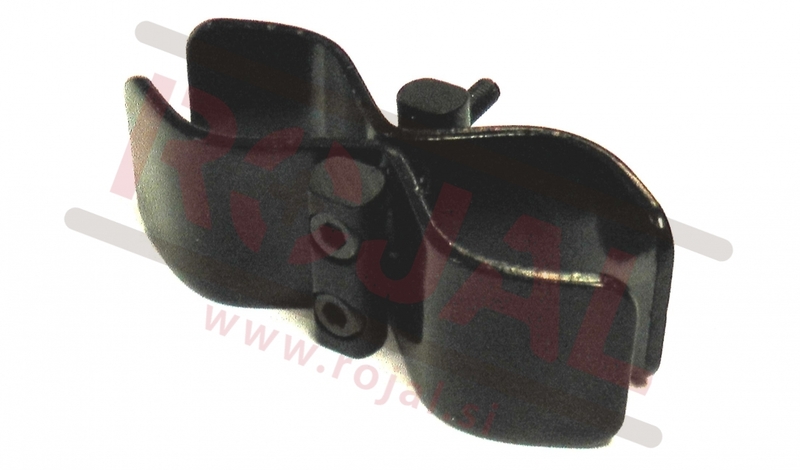 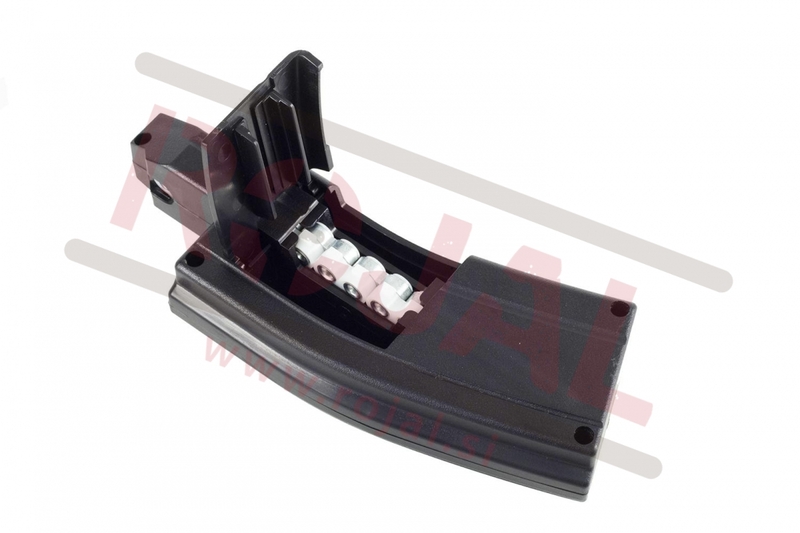 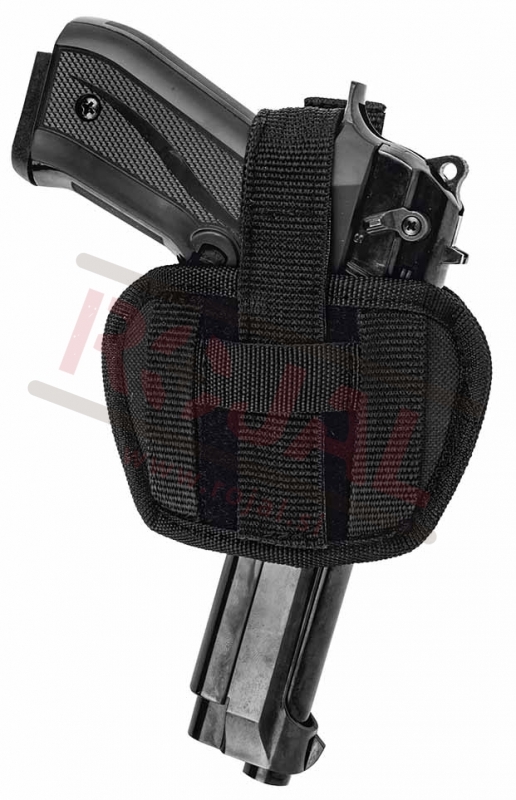 PT92 Magazine Pouch Fits Beretta 92, 96; Etc. 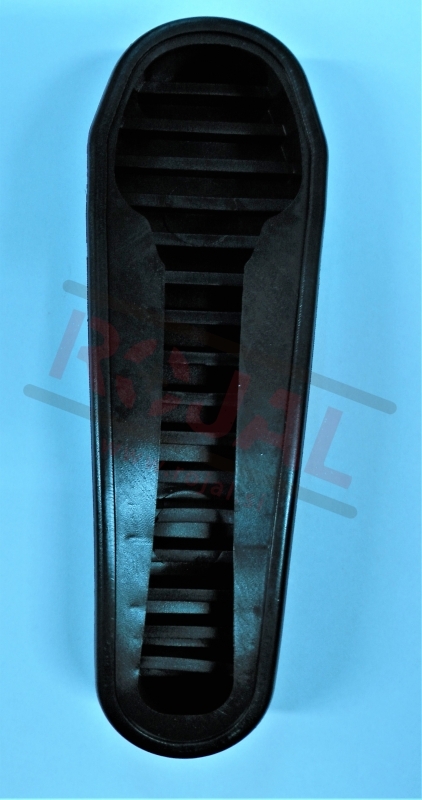 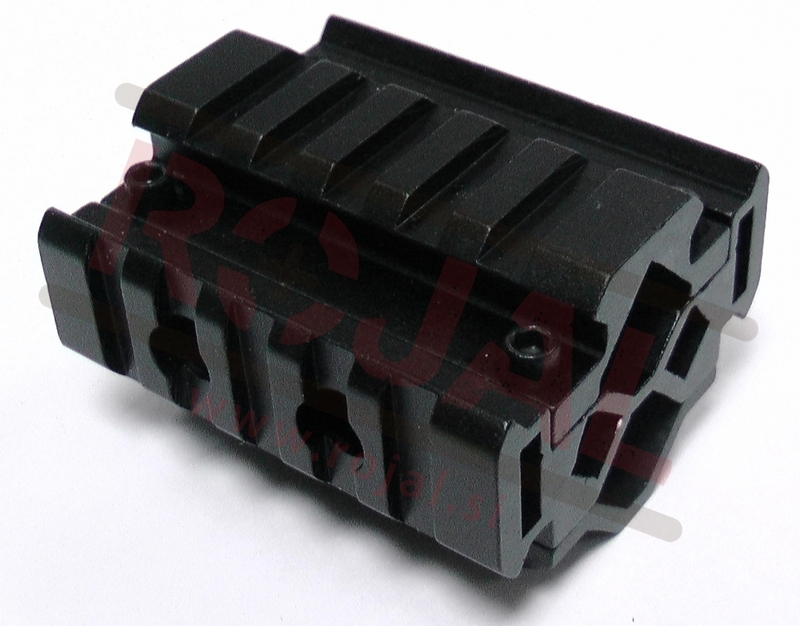 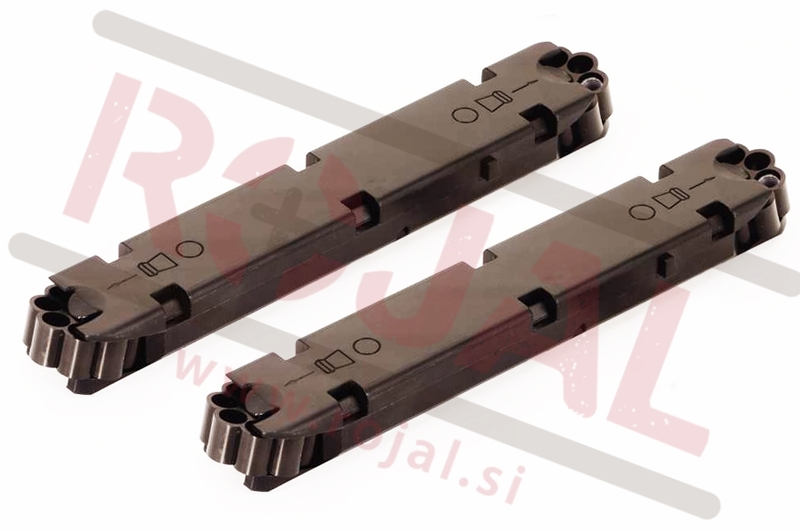 Double Magazine Pouch Fits Glock17, 19, 22, 23, 26, 27, 31, 32, 33, 34, 35, 37, 38, 39 Etc. 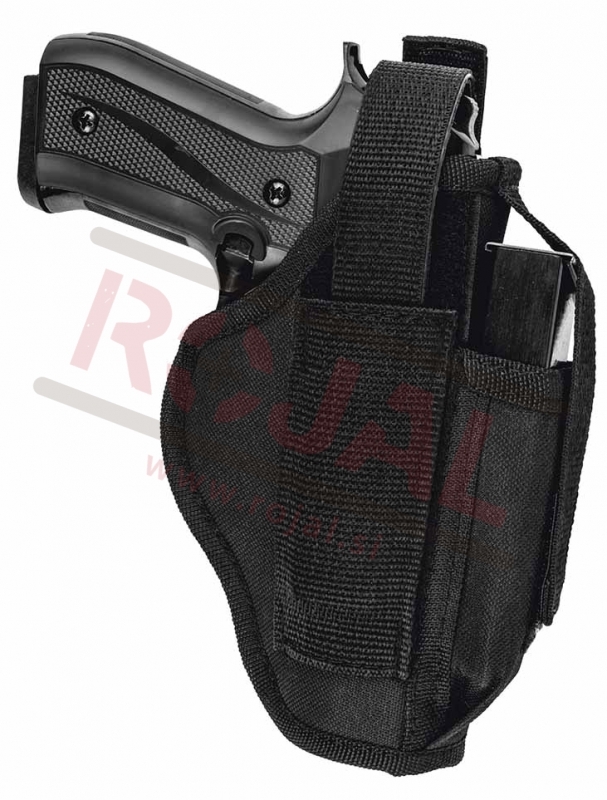 Universal gun holster from Akar. 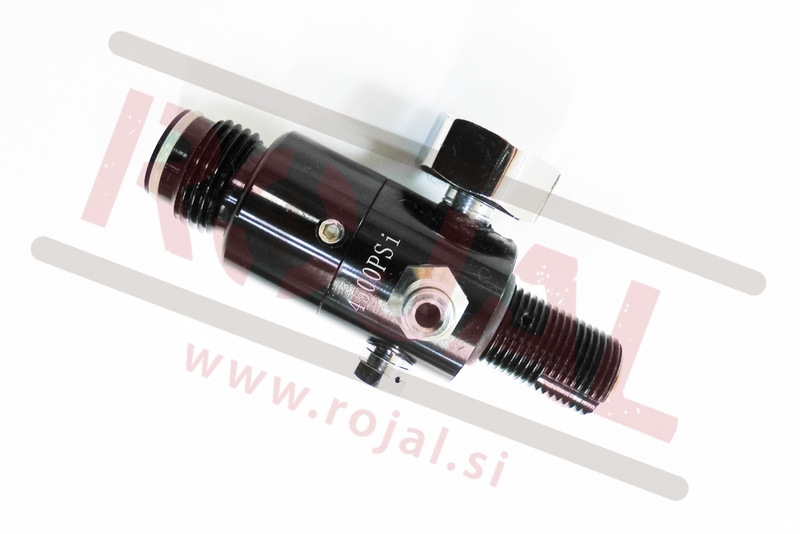 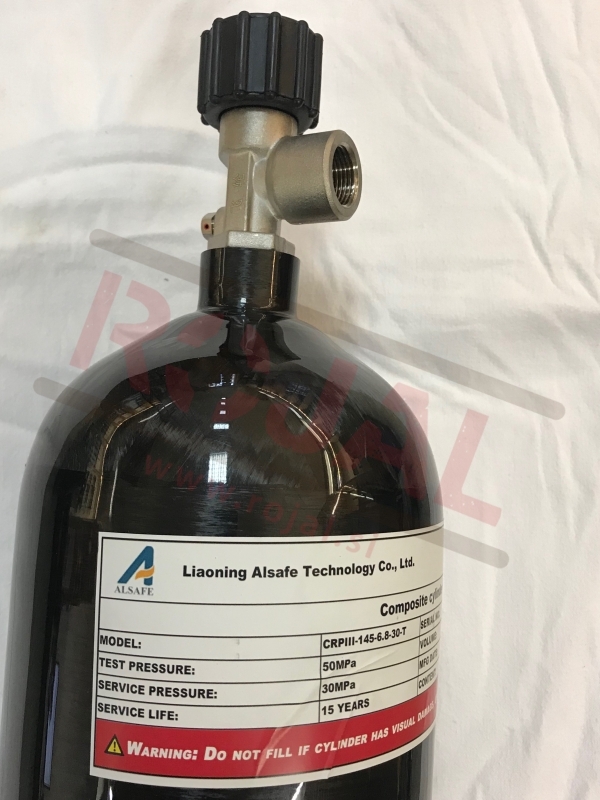 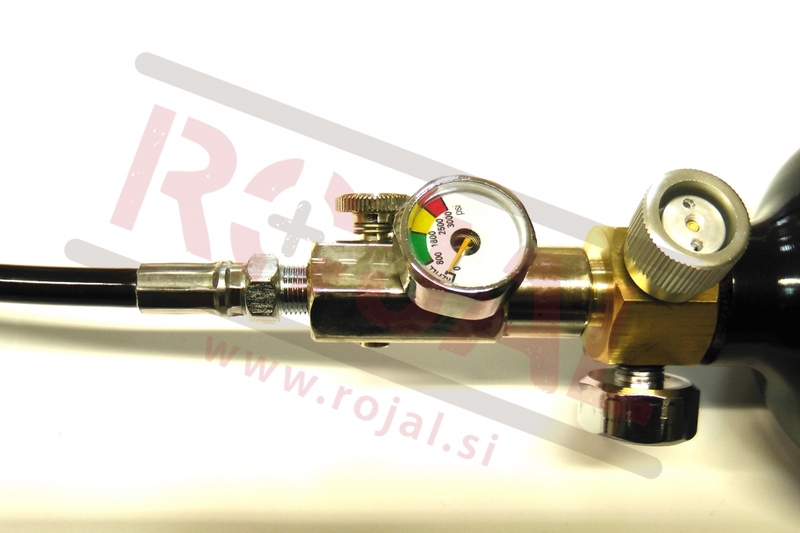 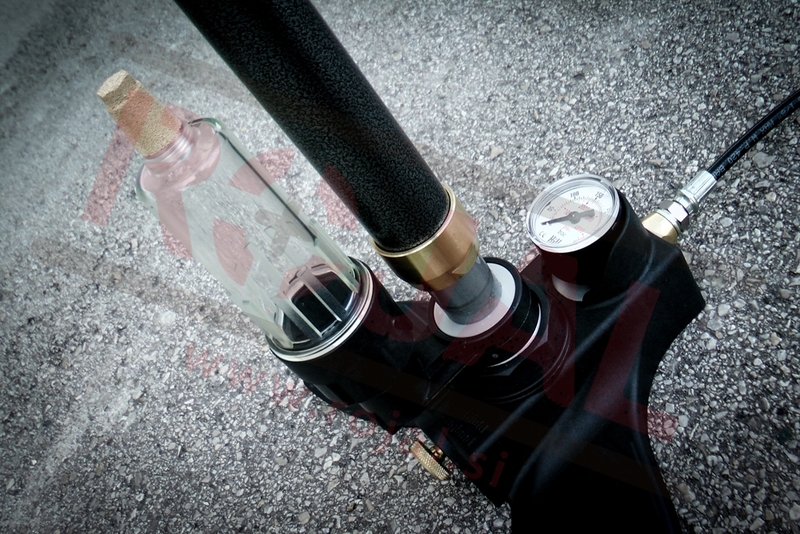 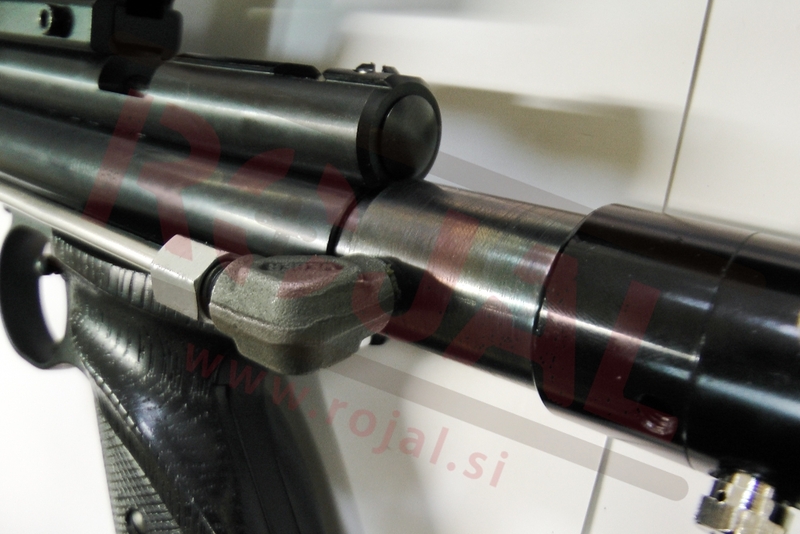 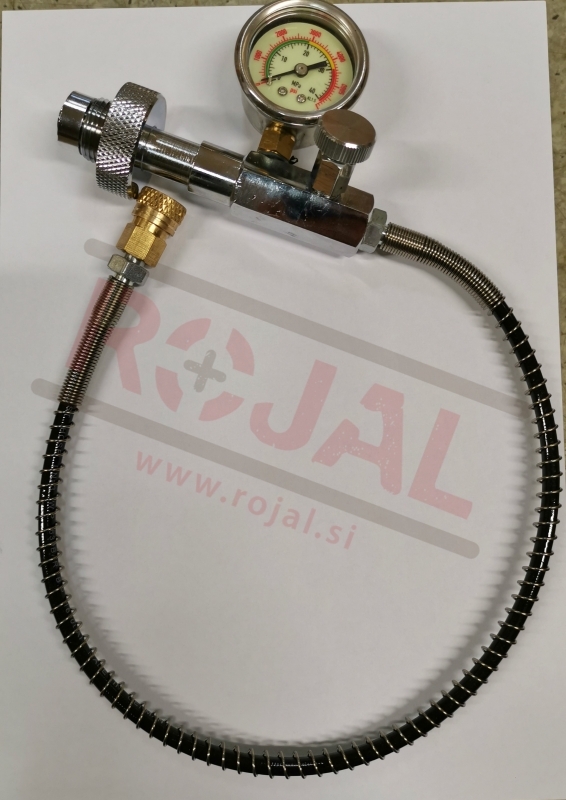 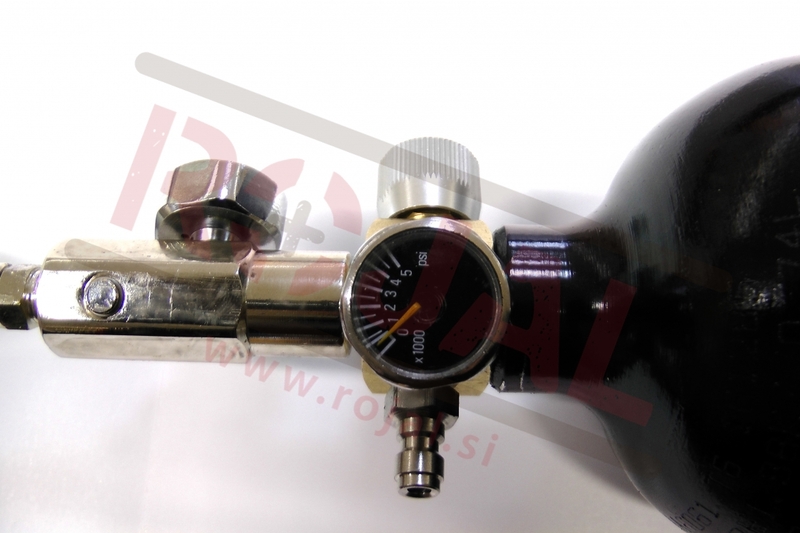 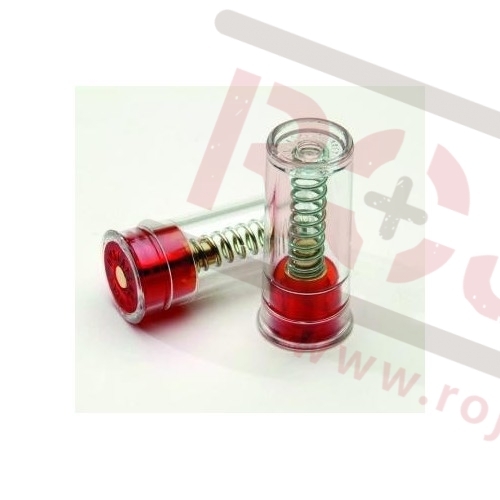 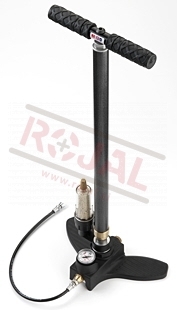 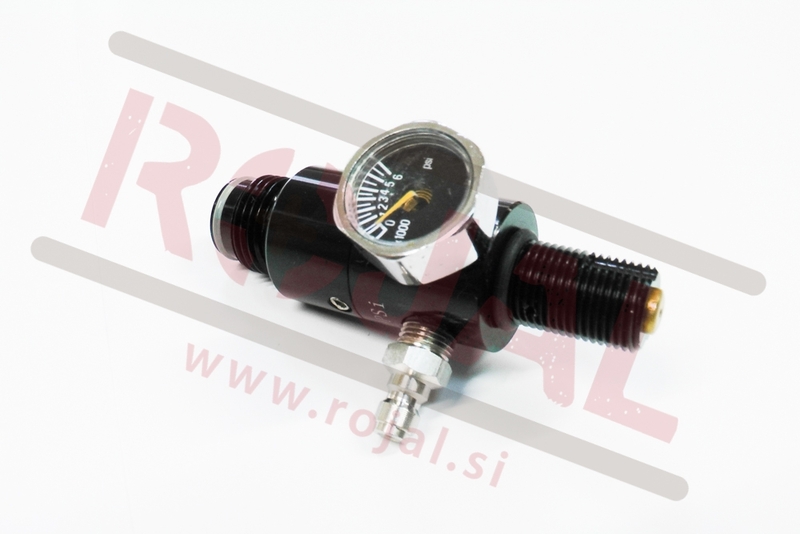 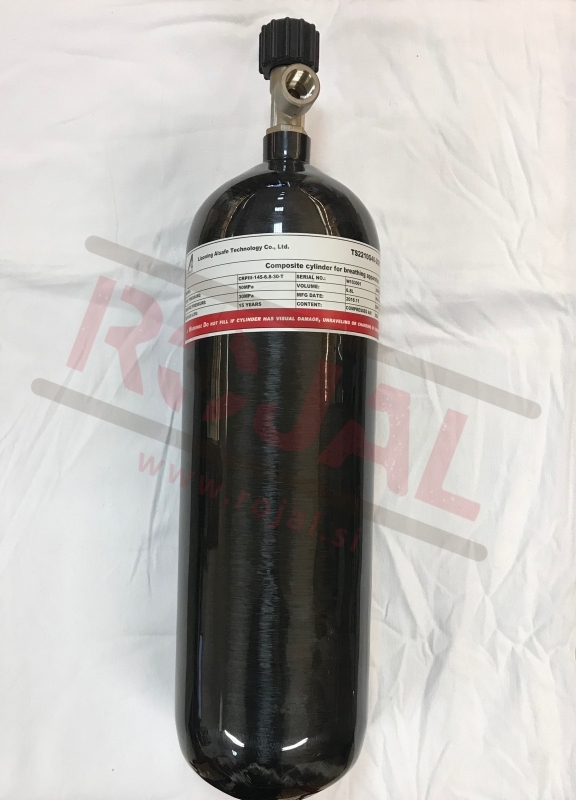 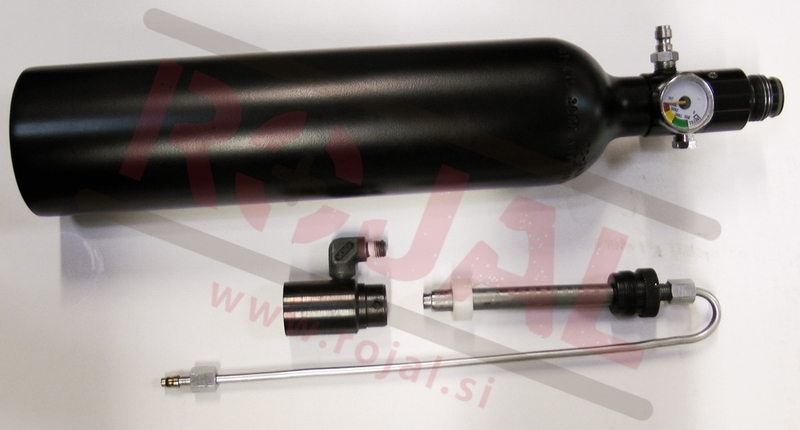 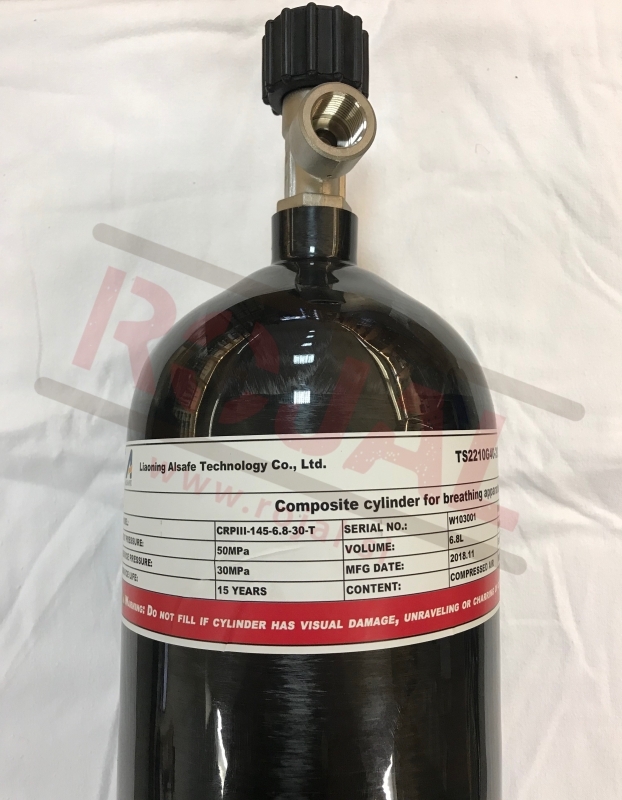 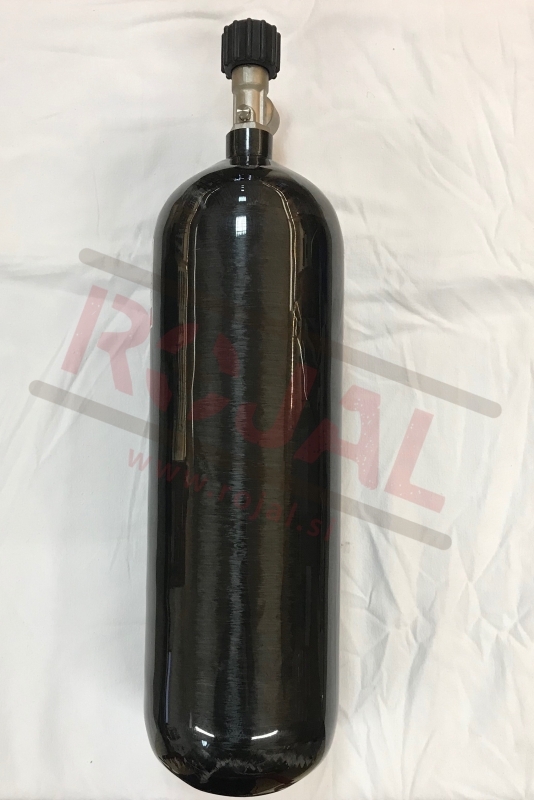 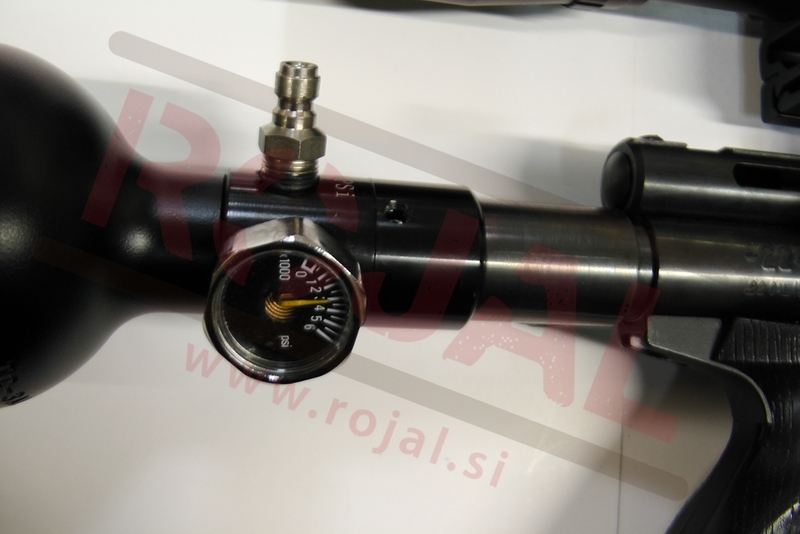 Connect your air gun directly to the tank with pressure regulator and anaconda tube. 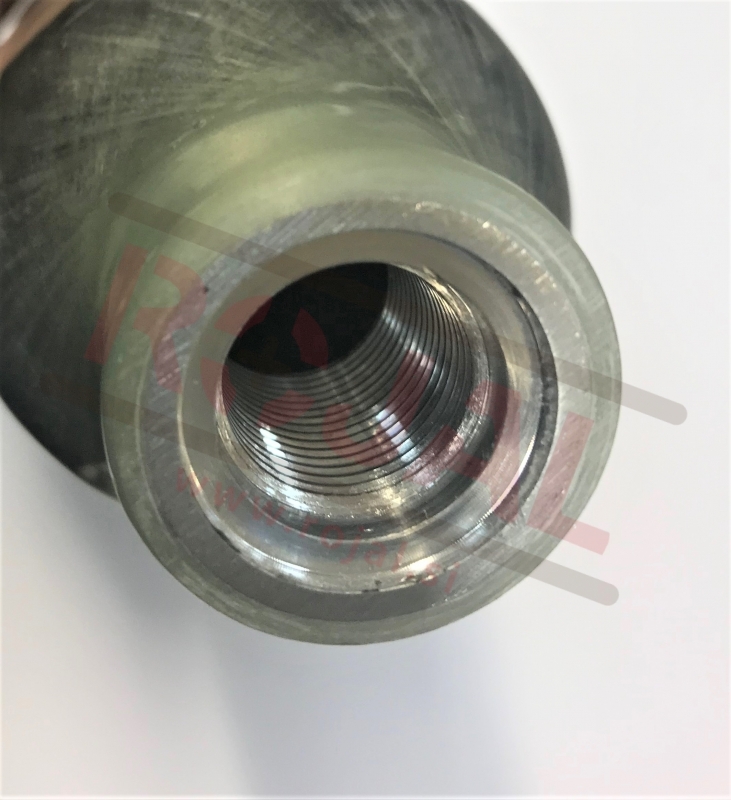 This tube is equipped with slide valve. 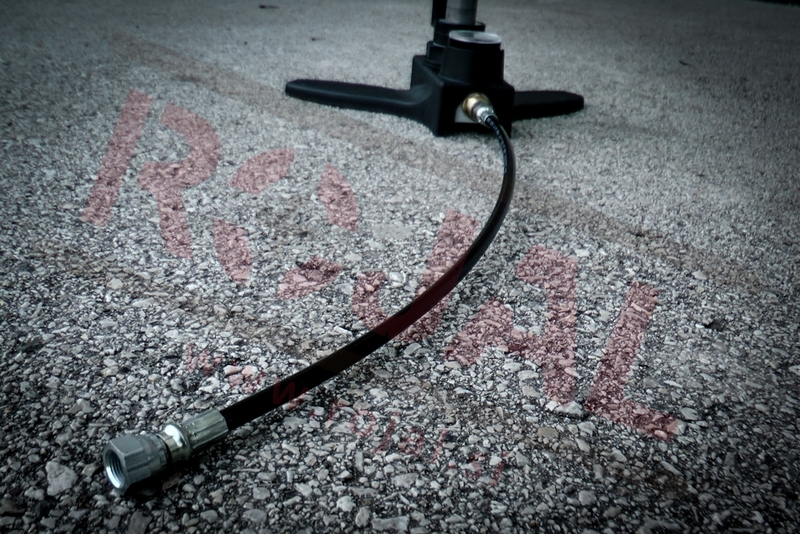 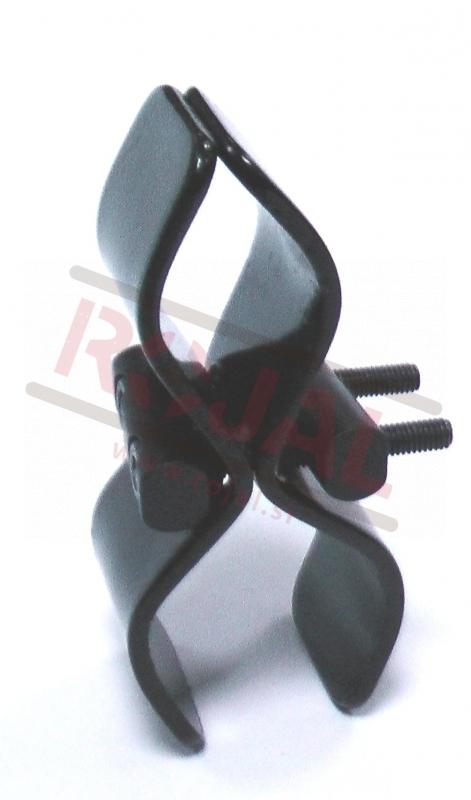 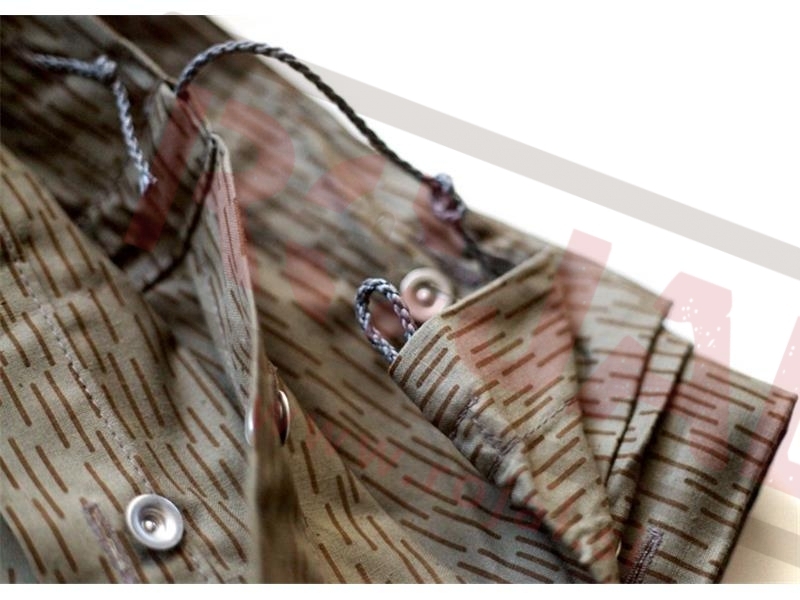 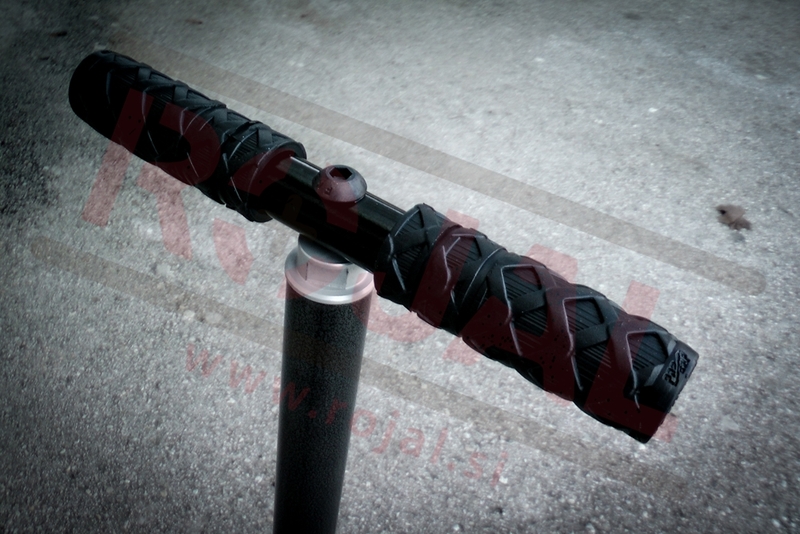 Ultra flexible high pressure hose with kevlar reinforcement. 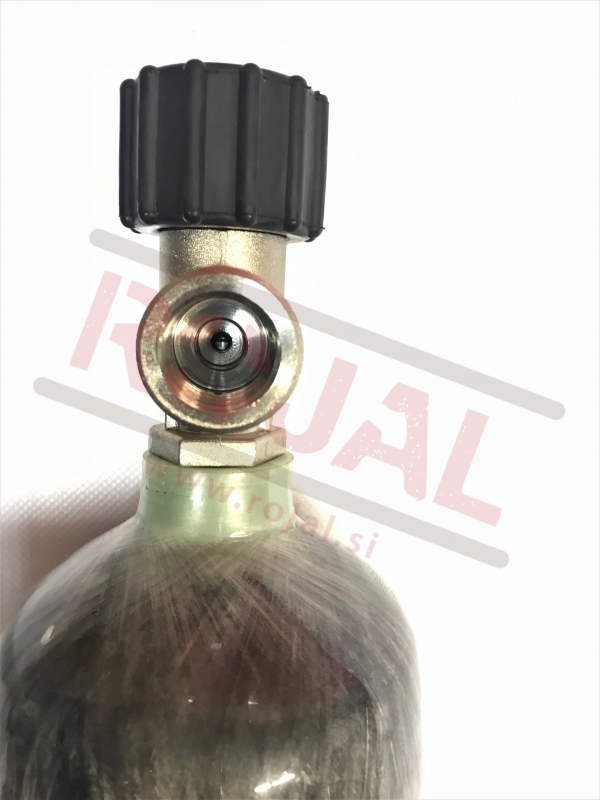 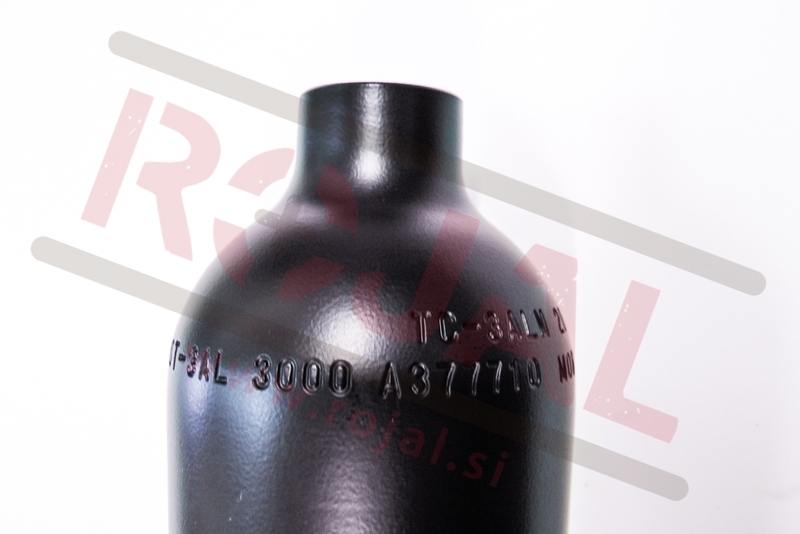 IGT (Inert gas technology) piston pogon za vse Gamove zračne puške moči do 24J. 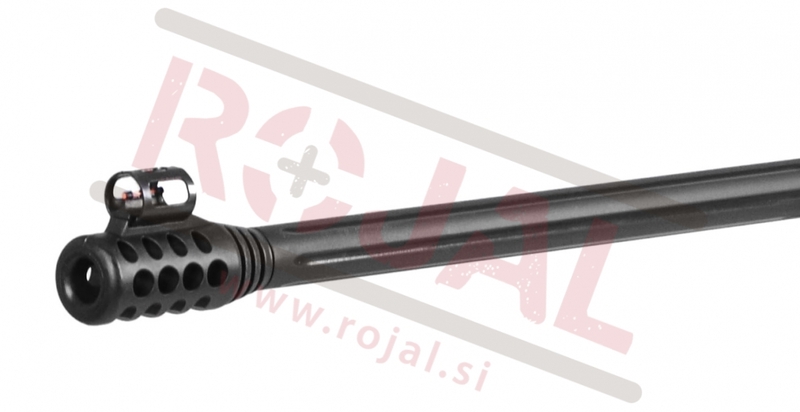 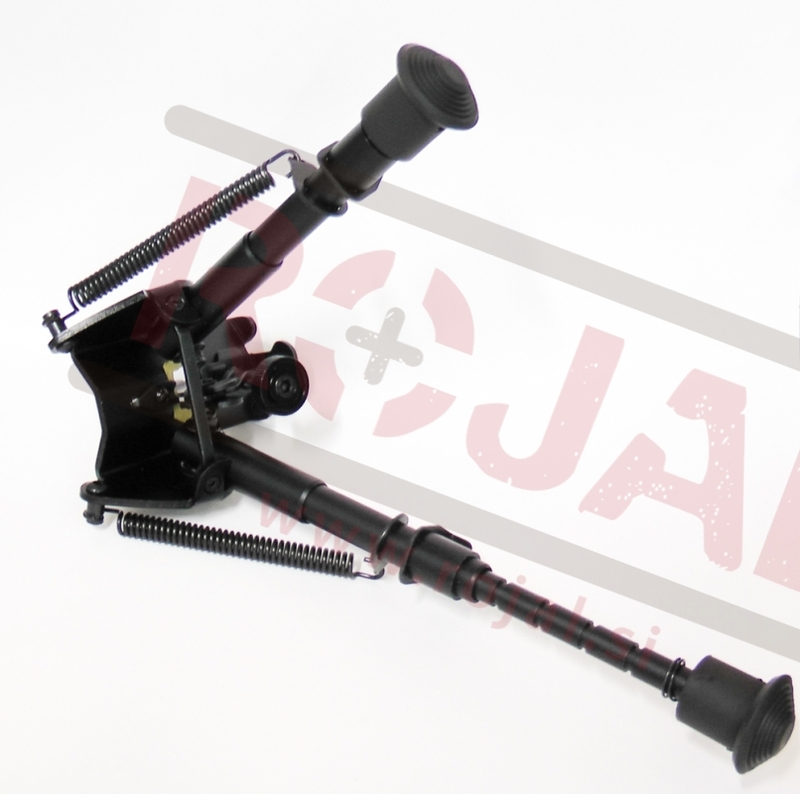 Aftermarket improved barrel for Huben K1. 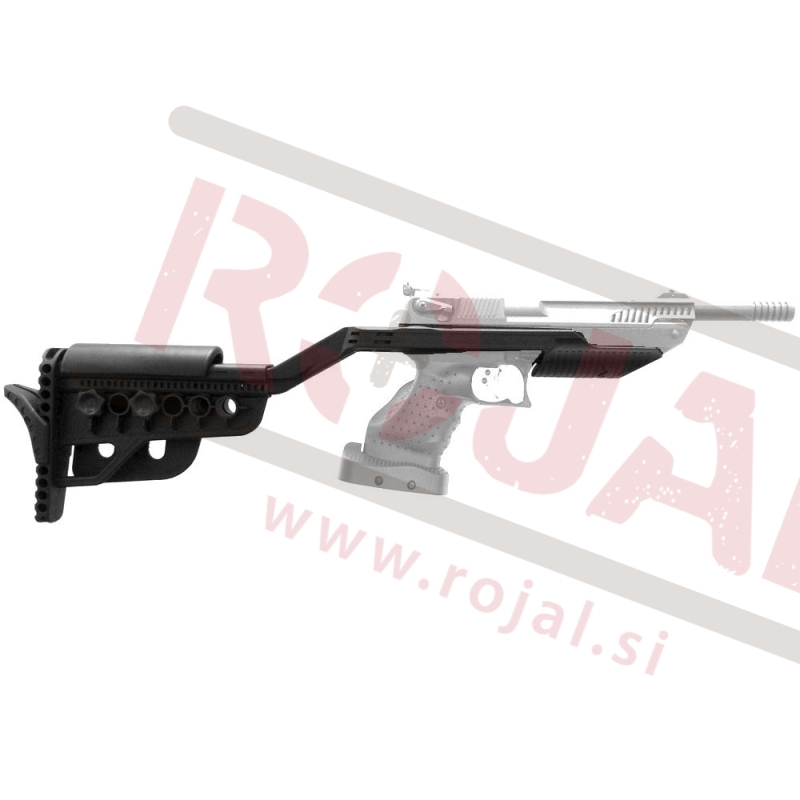 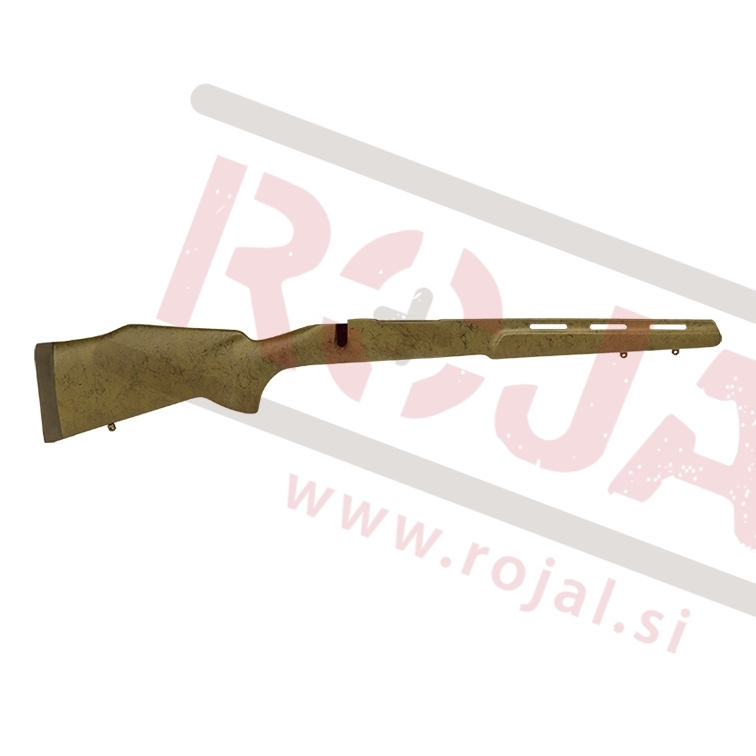 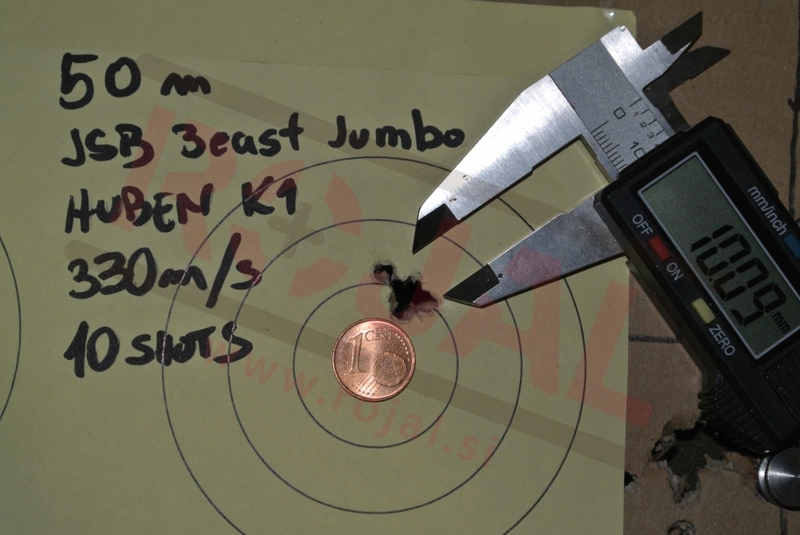 The modification greatly increases the gun's accuracy comparing to the standard version. 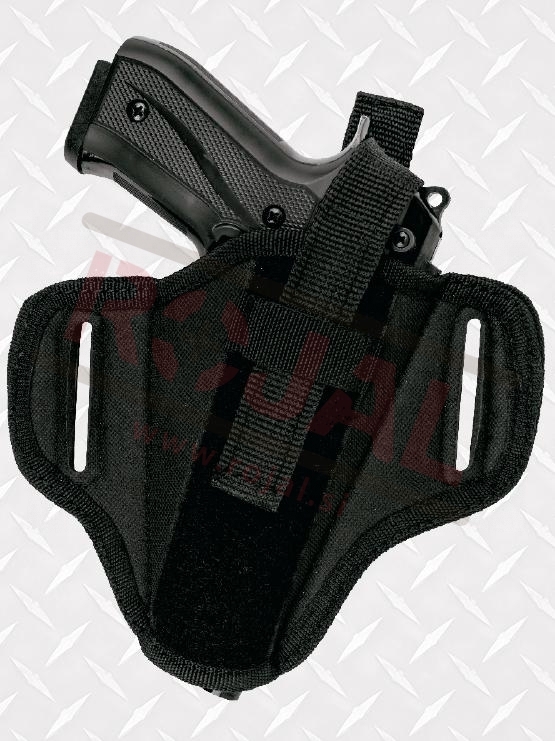 Universal IWB gun holster from Akar. 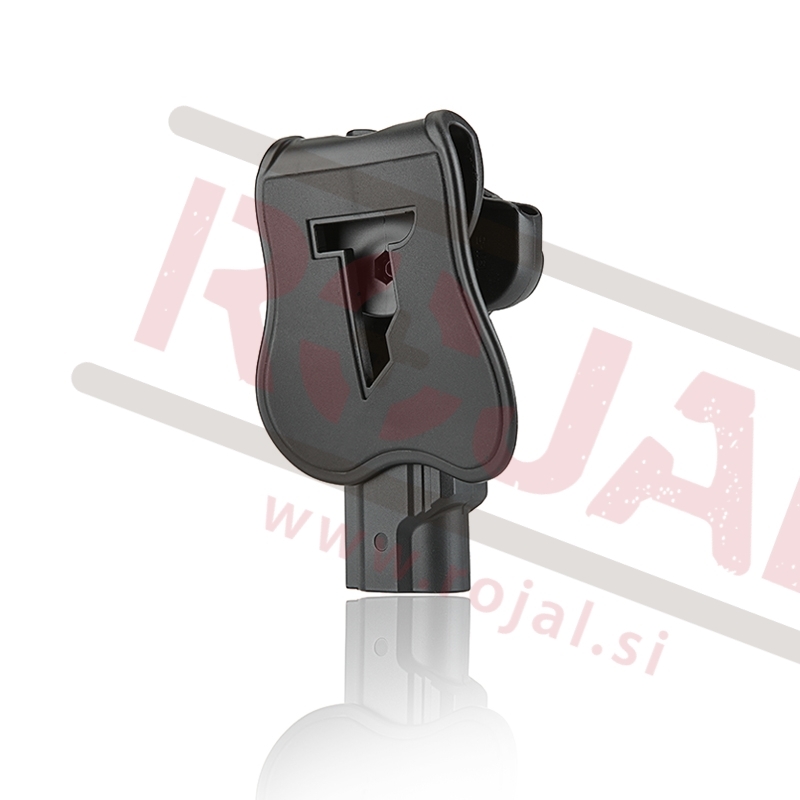 Usnjen pas za s swivel montažo za puško. 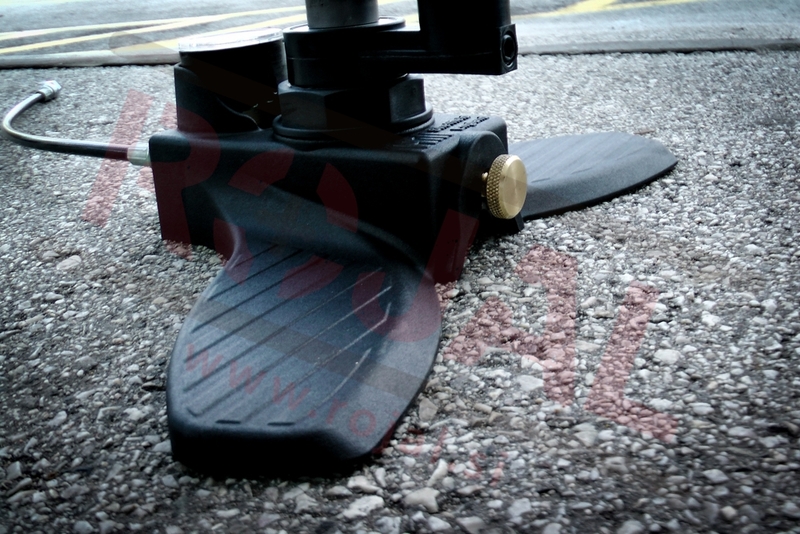 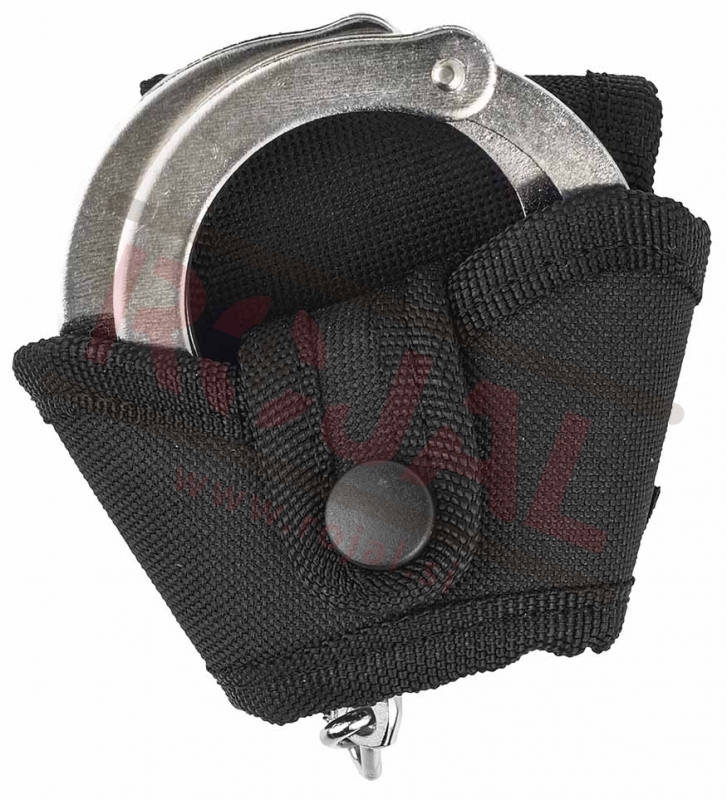 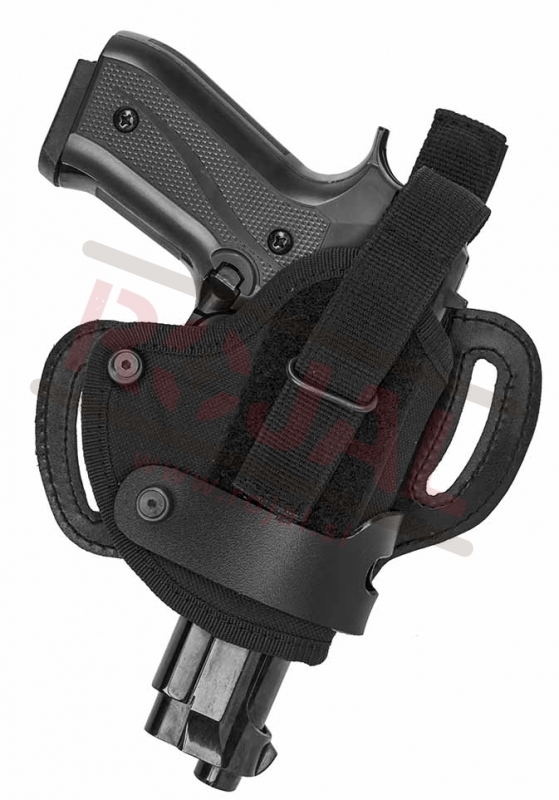 Universal leg holster from Akar. 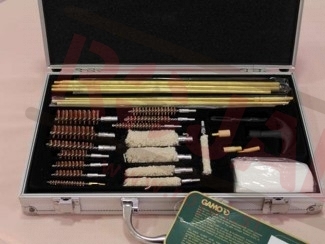 24pcs set. 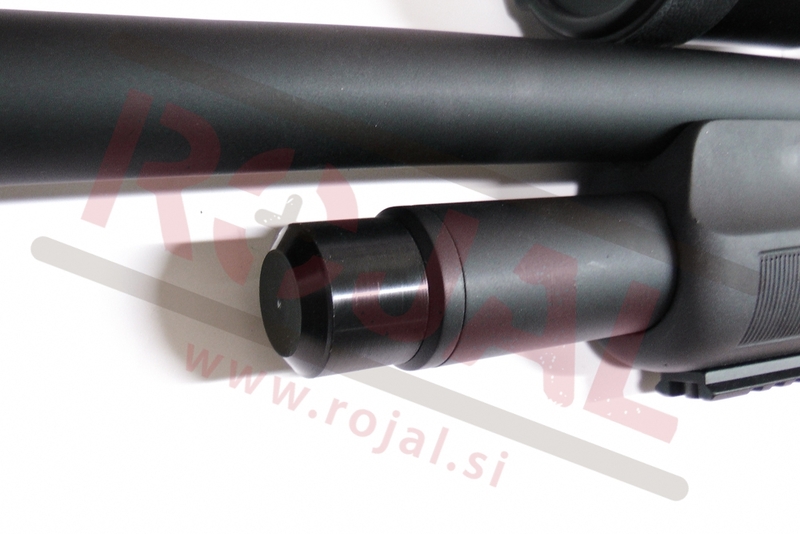 From 4.5mm up to 12ga. 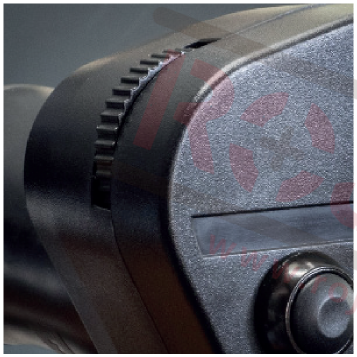 If you don't wipe down the metal parts of your gun after each handling or shooting session, you may notice some rust on the metal the next time you pick it up. 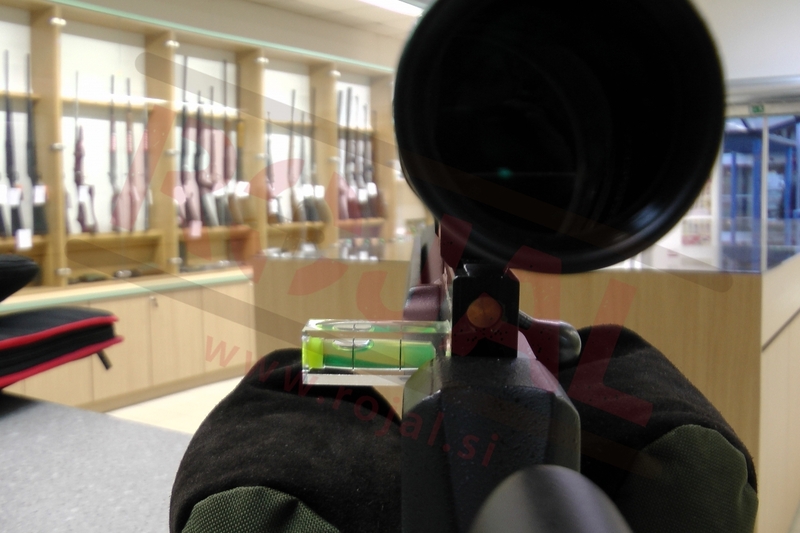 The fingerprints you leave on the metal surface of a gun have enough acid that it will eventually eat through the bluing of your gun. 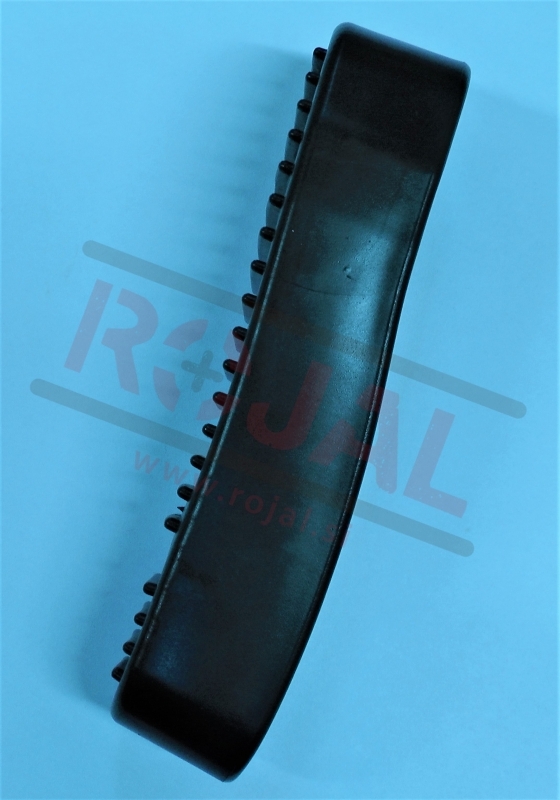 Once the protective bluing is gone, rust takes hold. 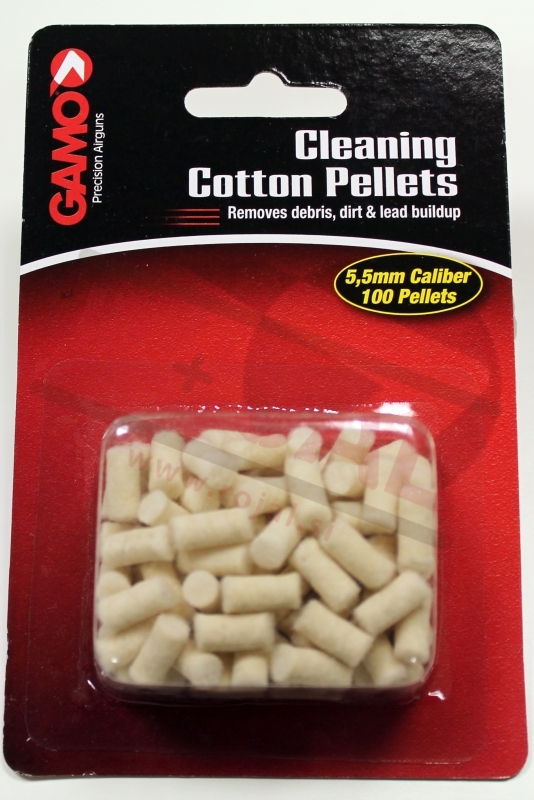 Wipe down your gun before putting it away! 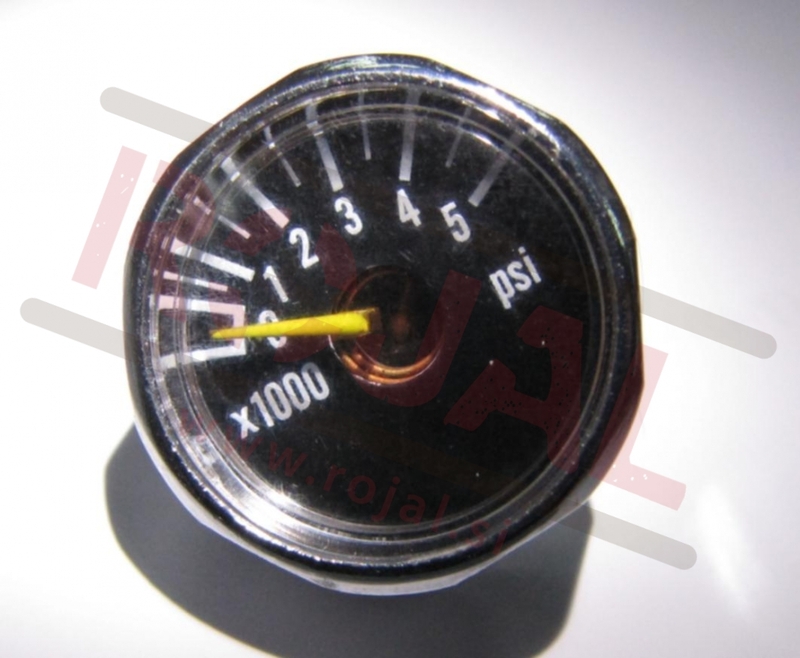 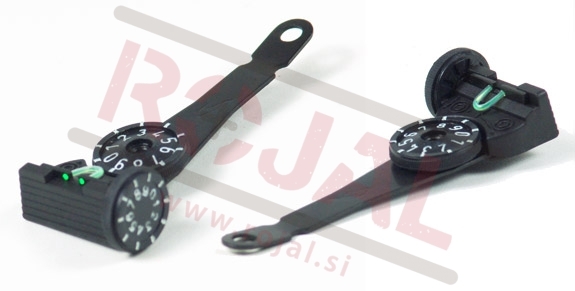 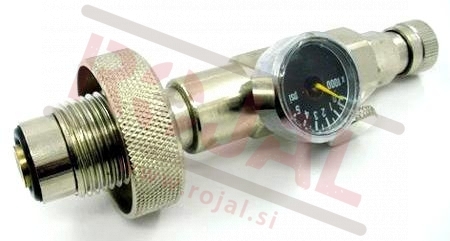 Manometer primeren za PCP sisteme. 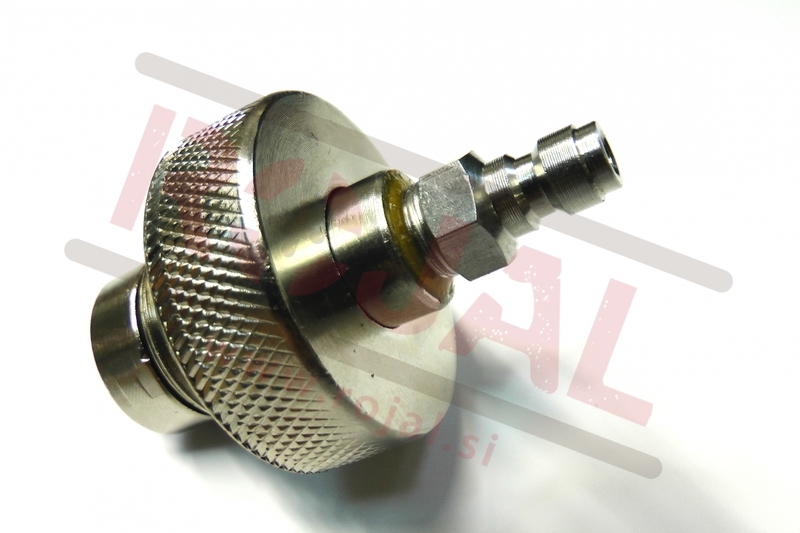 Because of the valve it can be used as an input. 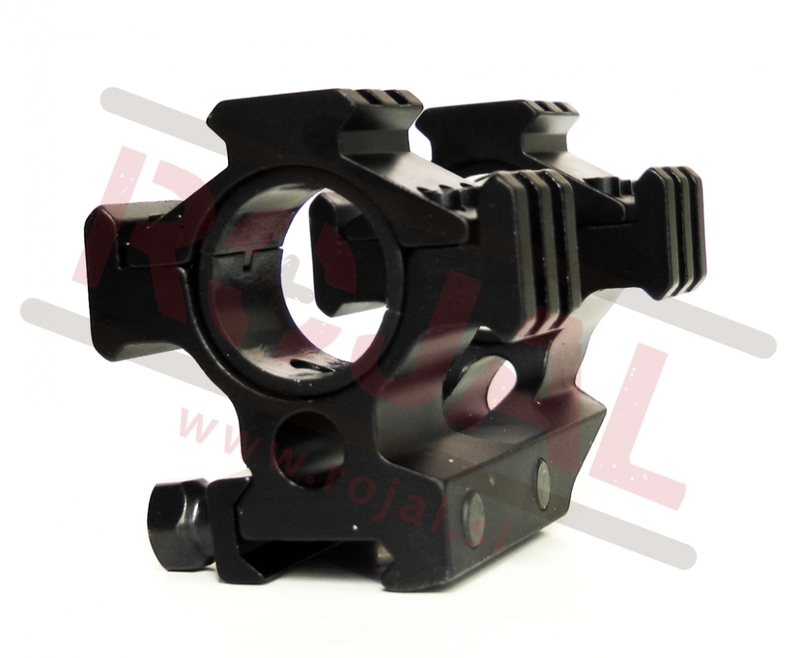 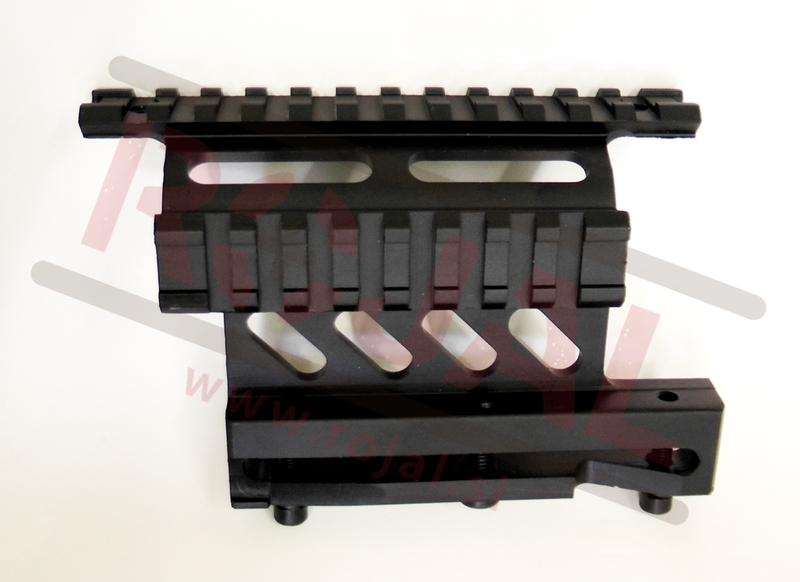 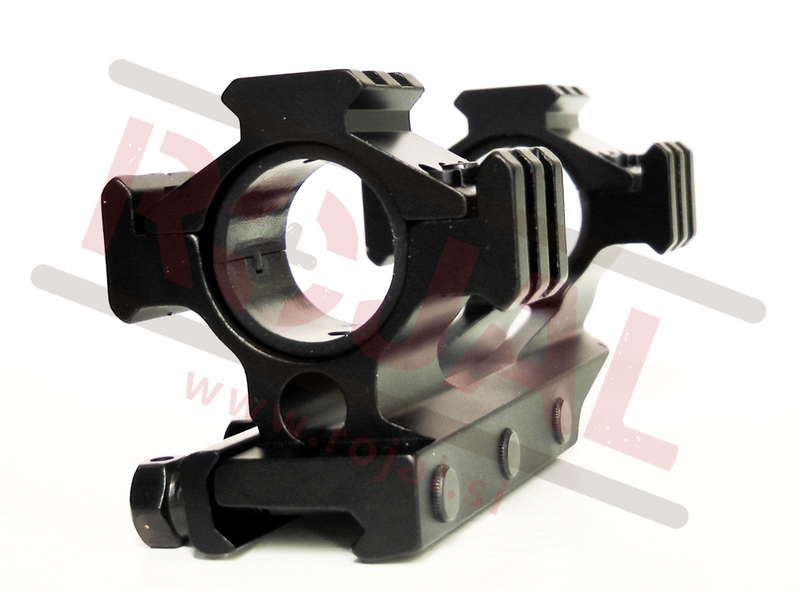 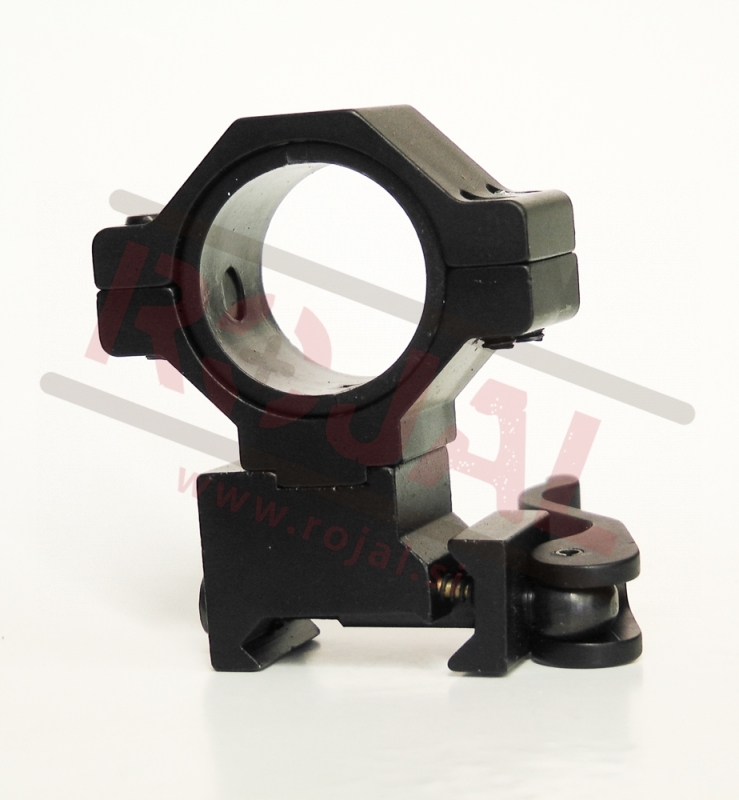 For 1" and 30mm scopes. 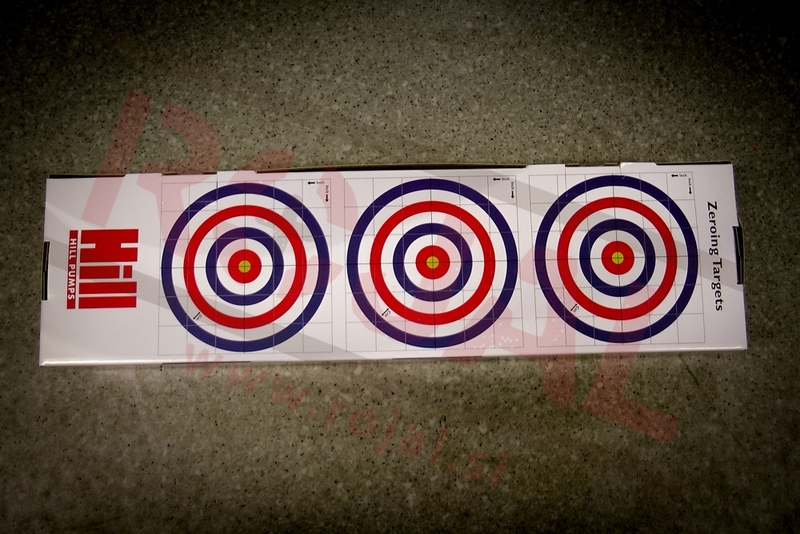 Only one piece in the package. 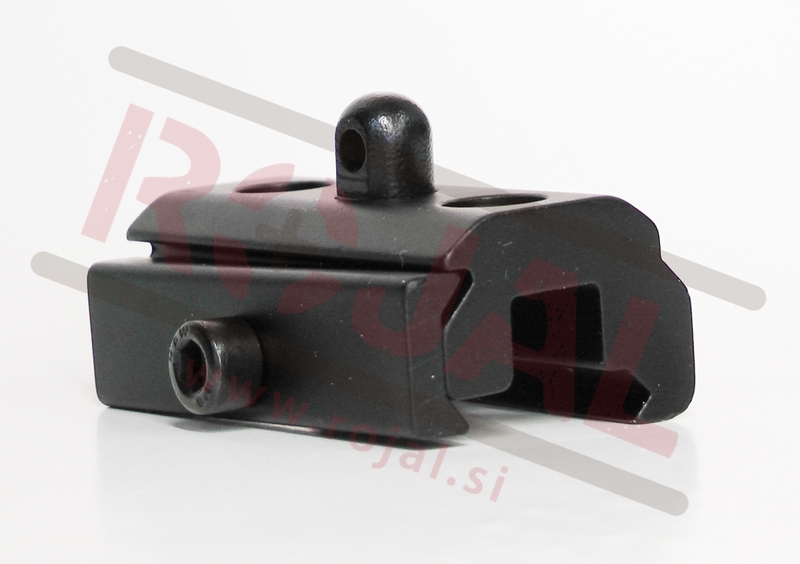 Stojalo za nastrelitev puške. 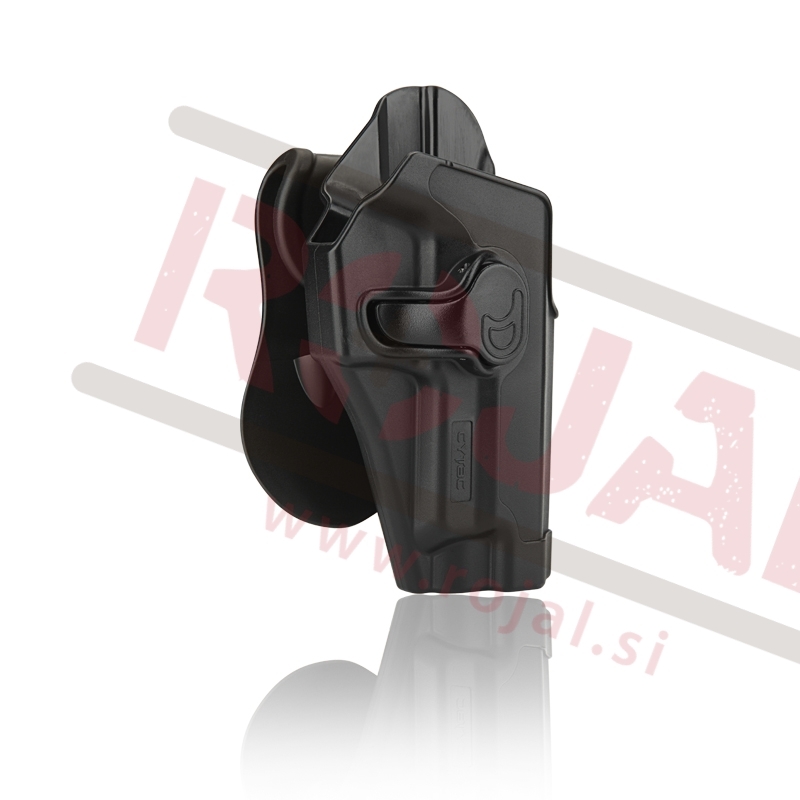 Kompatibilno z vsemi puškami. 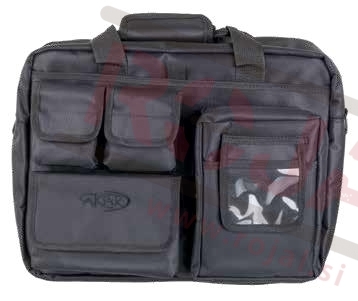 Shooting Bag is a useful accessory. 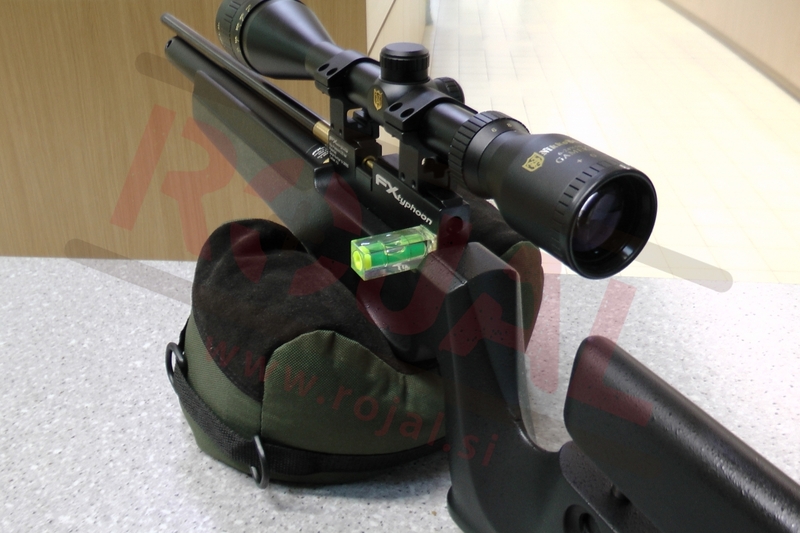 You can use it to sight in a scope or use it as a bench rest. 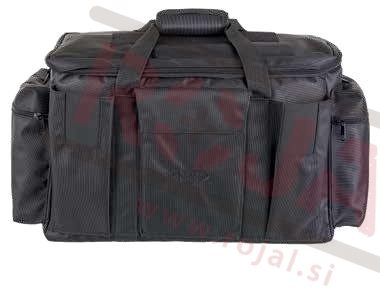 The bags are delivered empty. 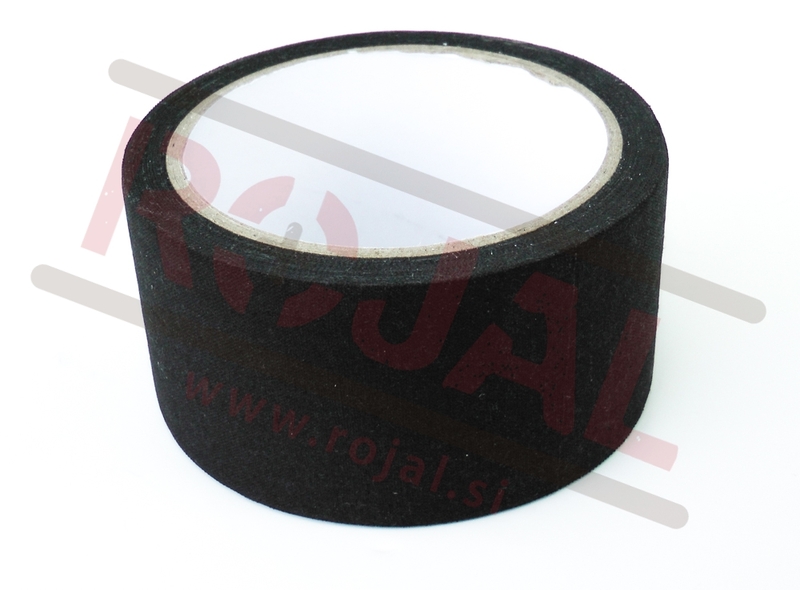 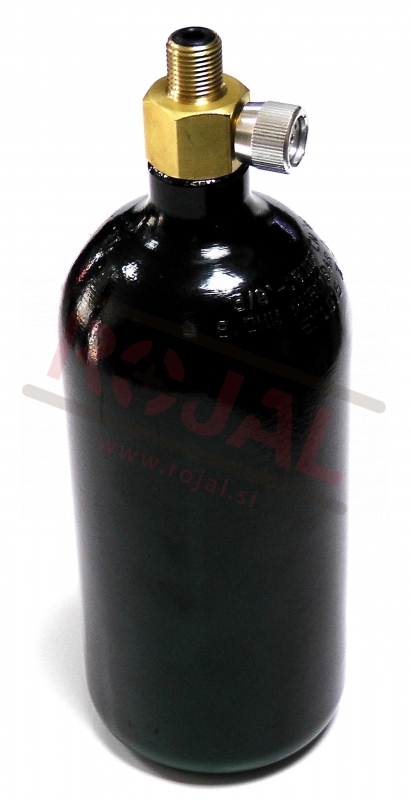 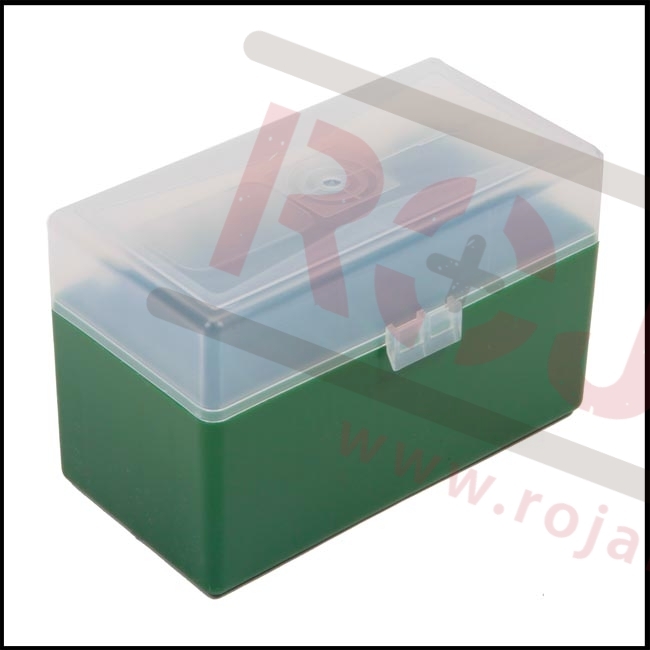 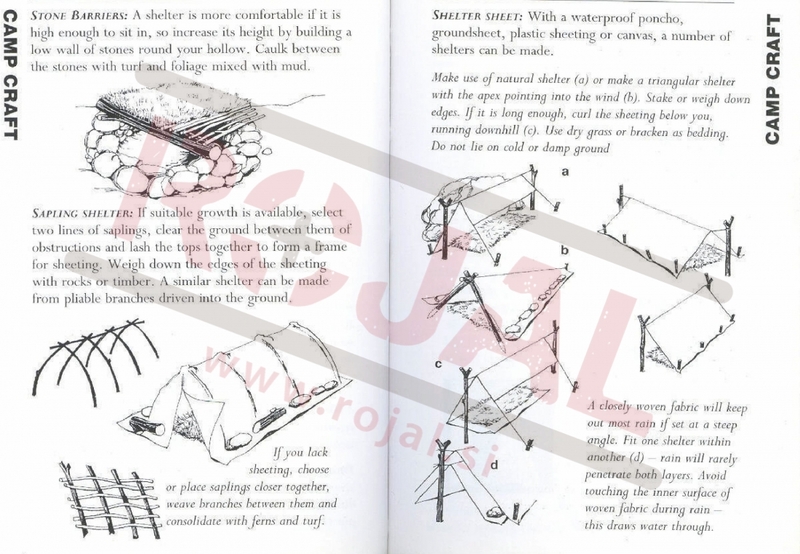 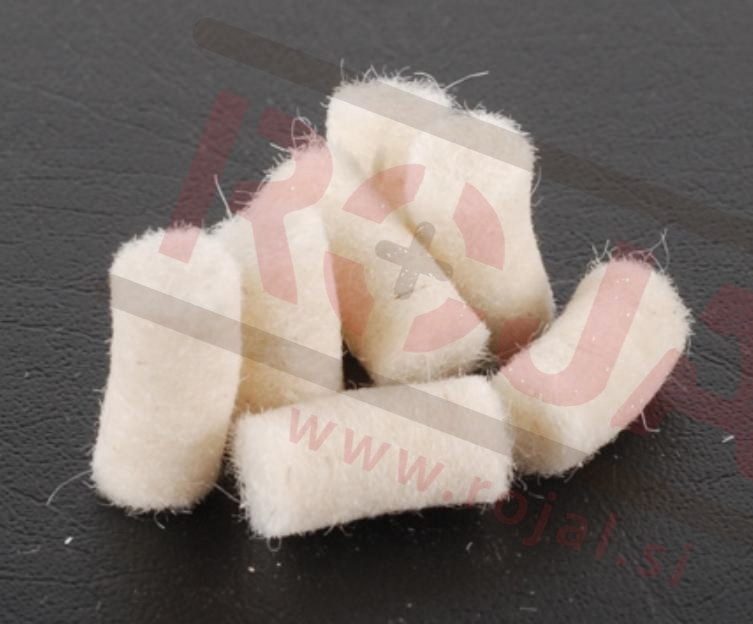 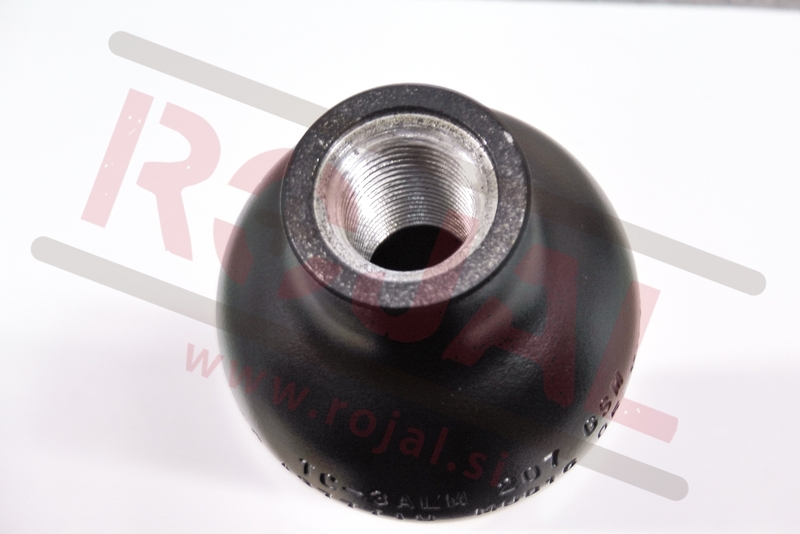 Choose different filling materials for various hardness. 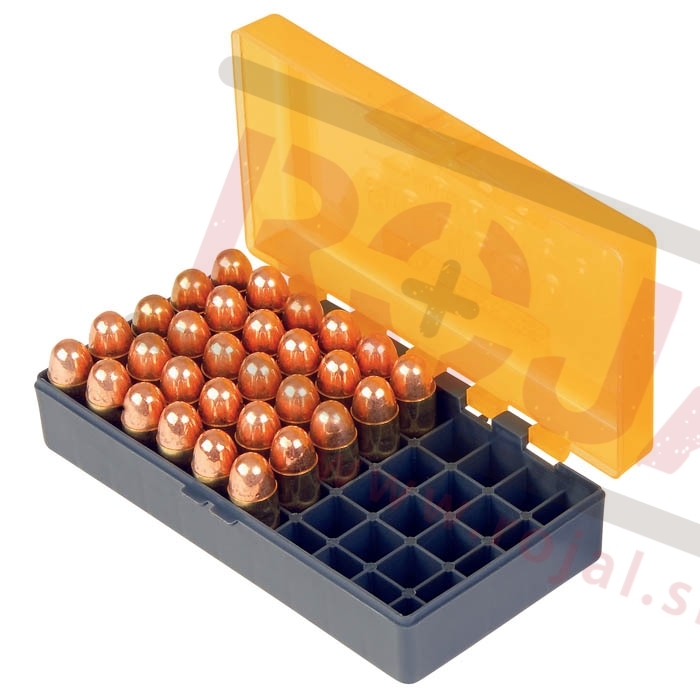 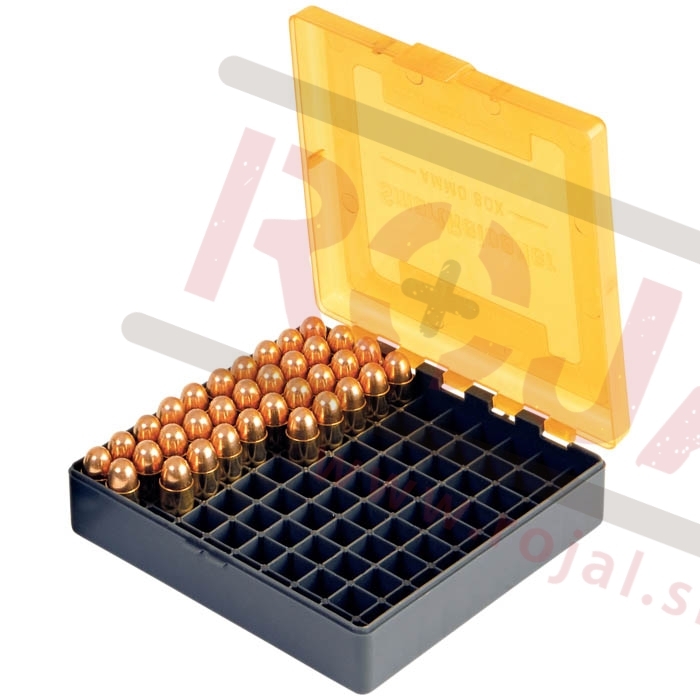 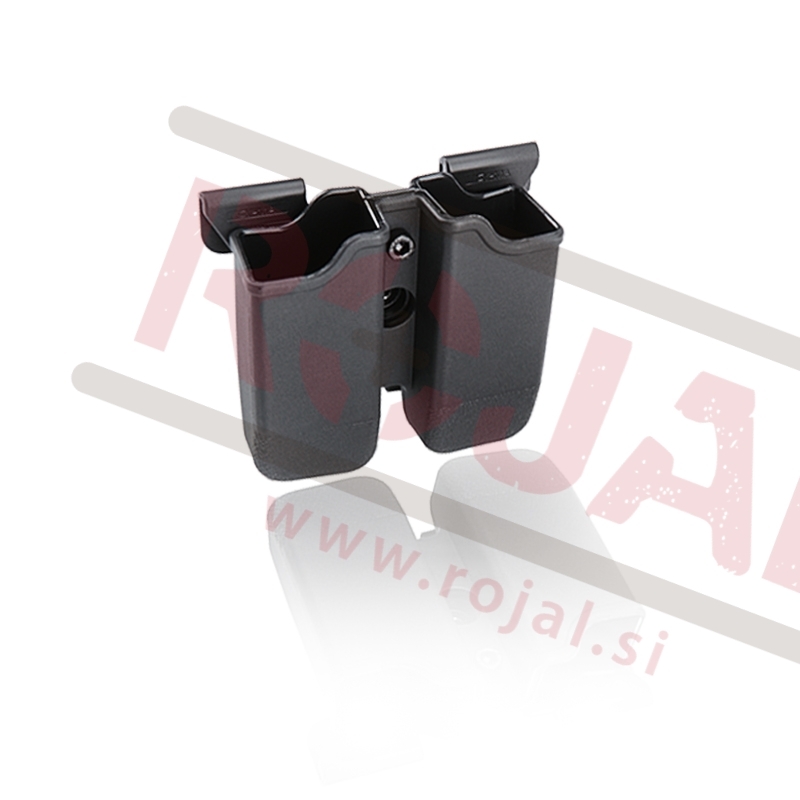 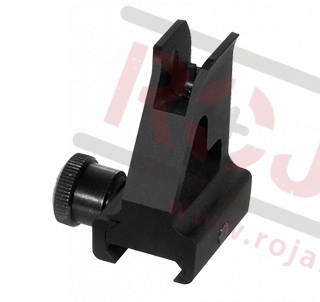 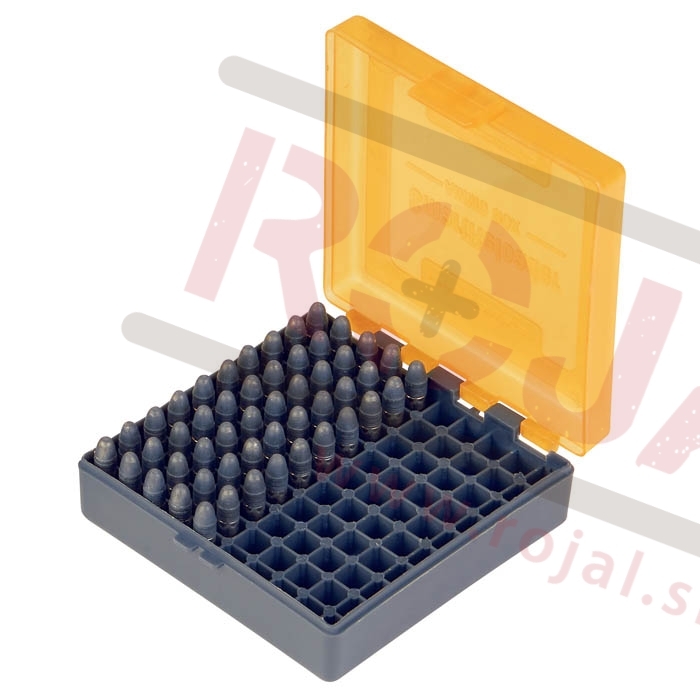 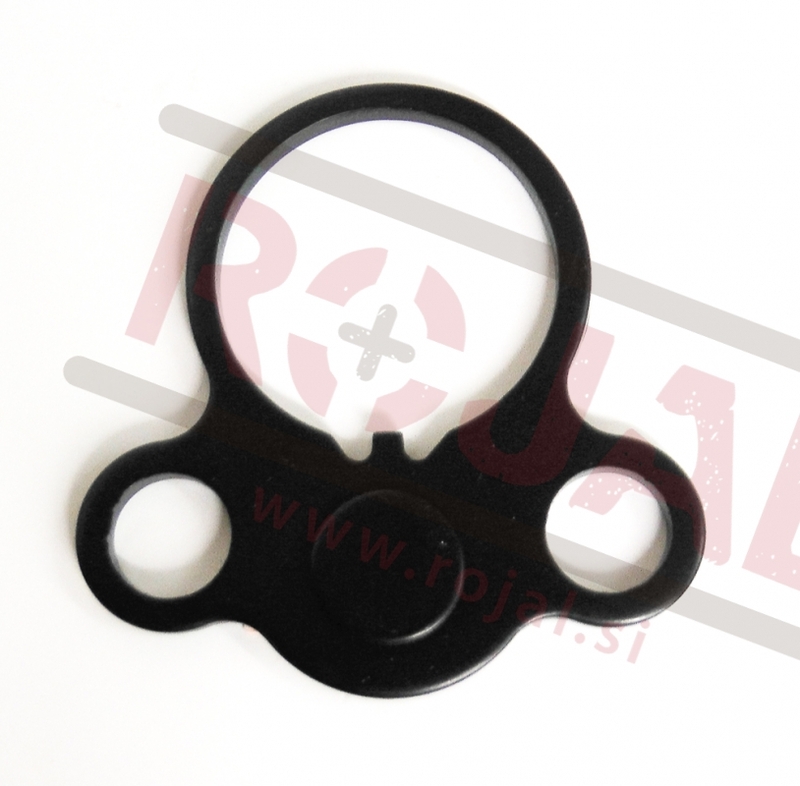 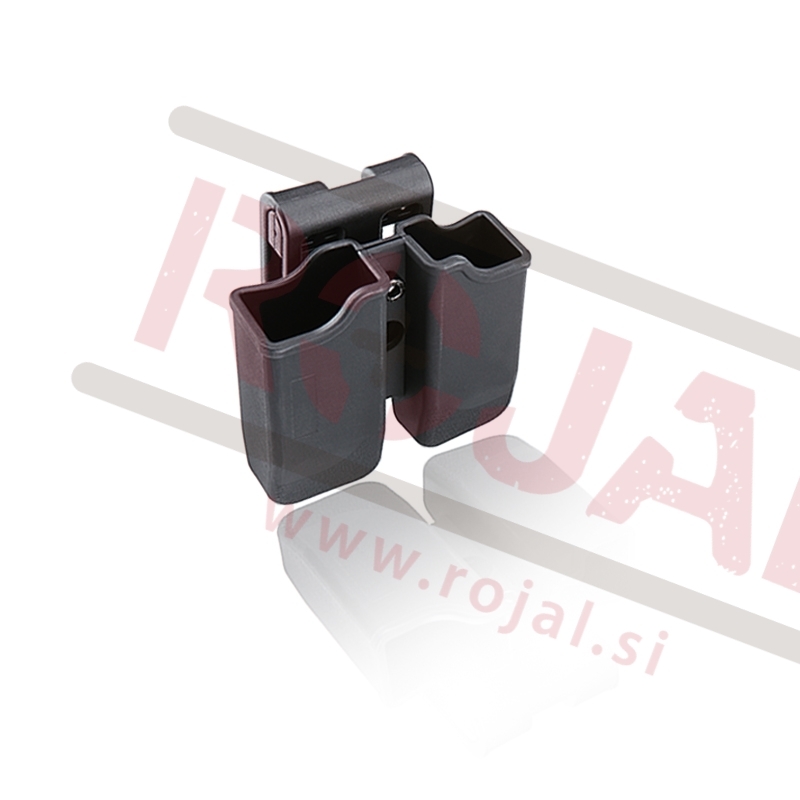 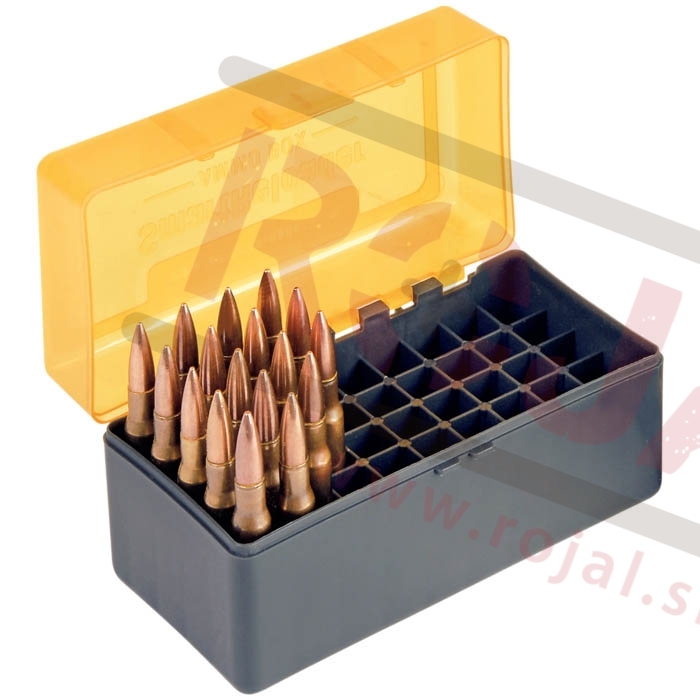 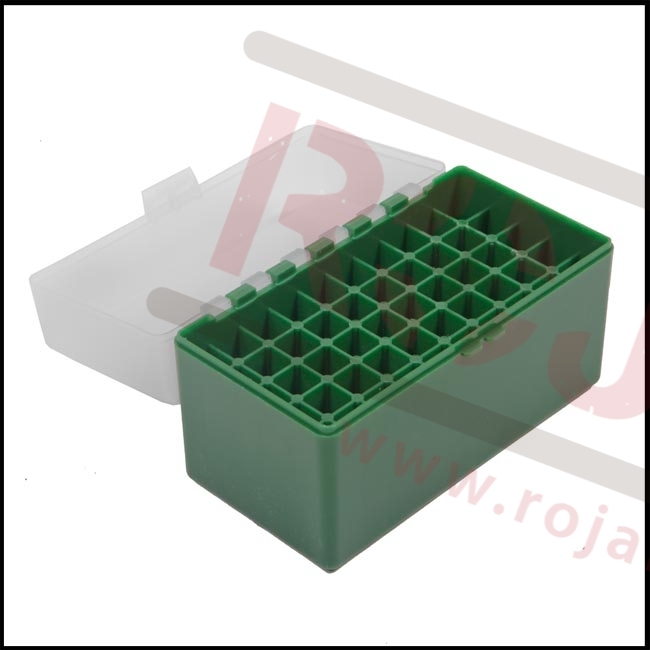 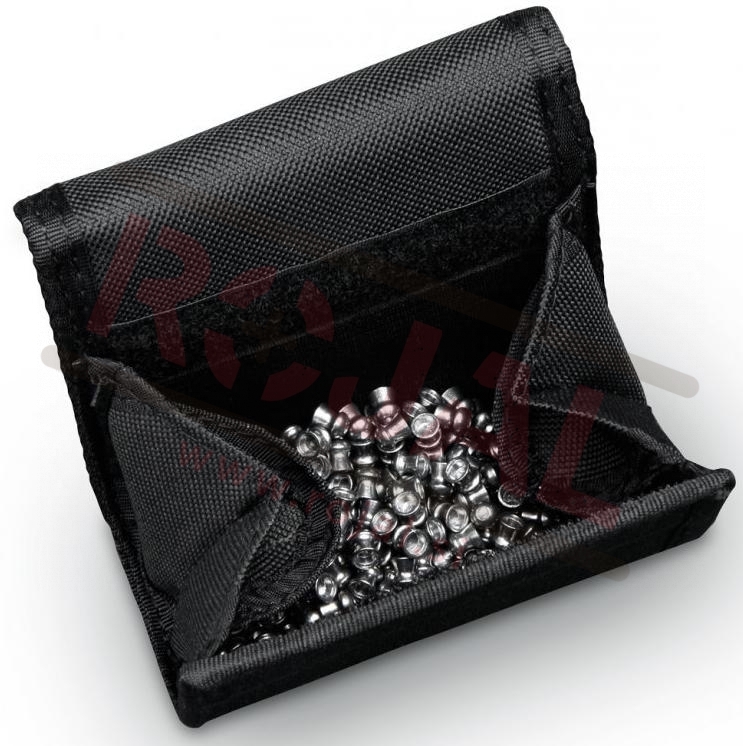 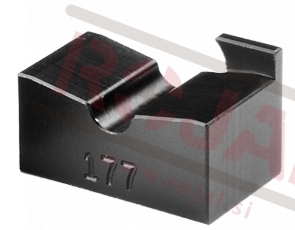 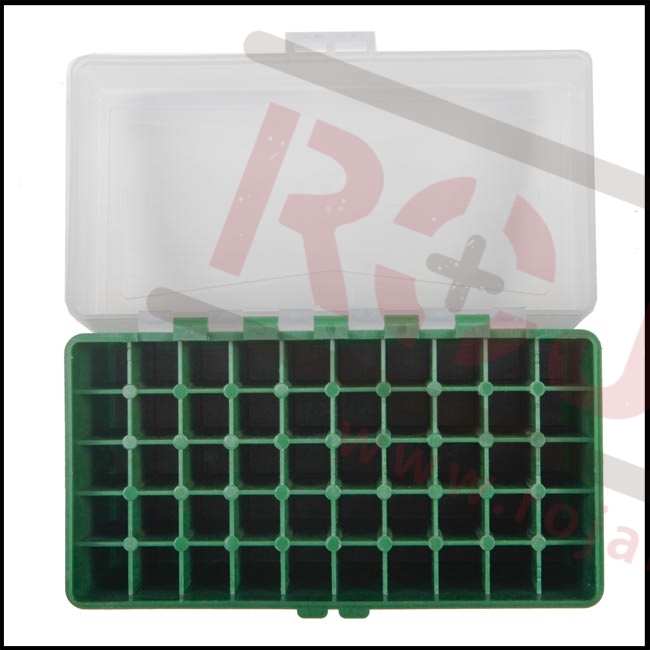 Single shot tray for your PCP airgun. 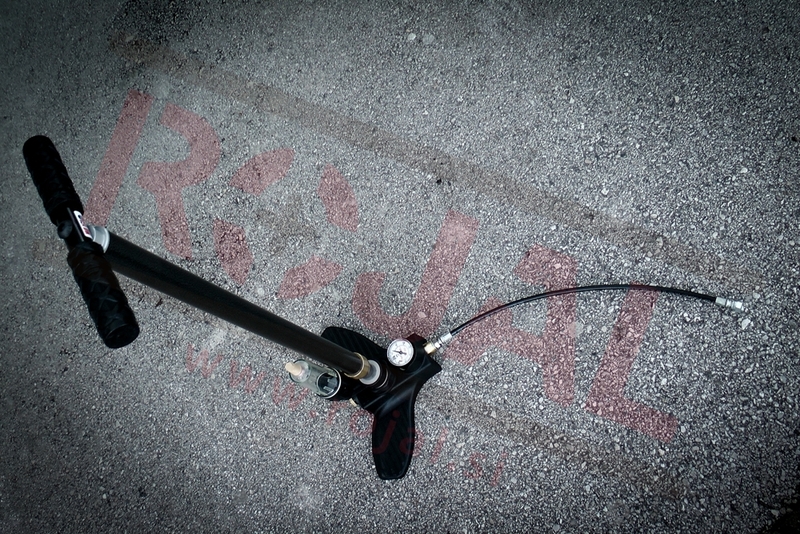 We make it in any caliber. 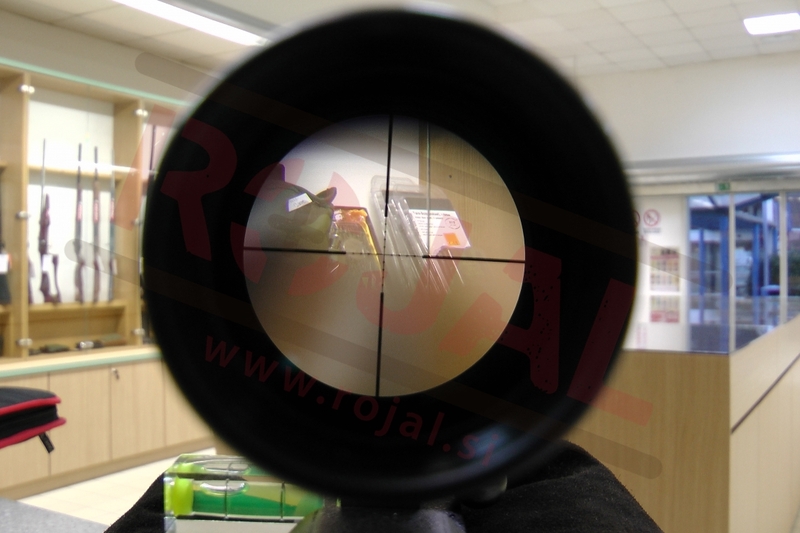 Basically for any type of airgun. 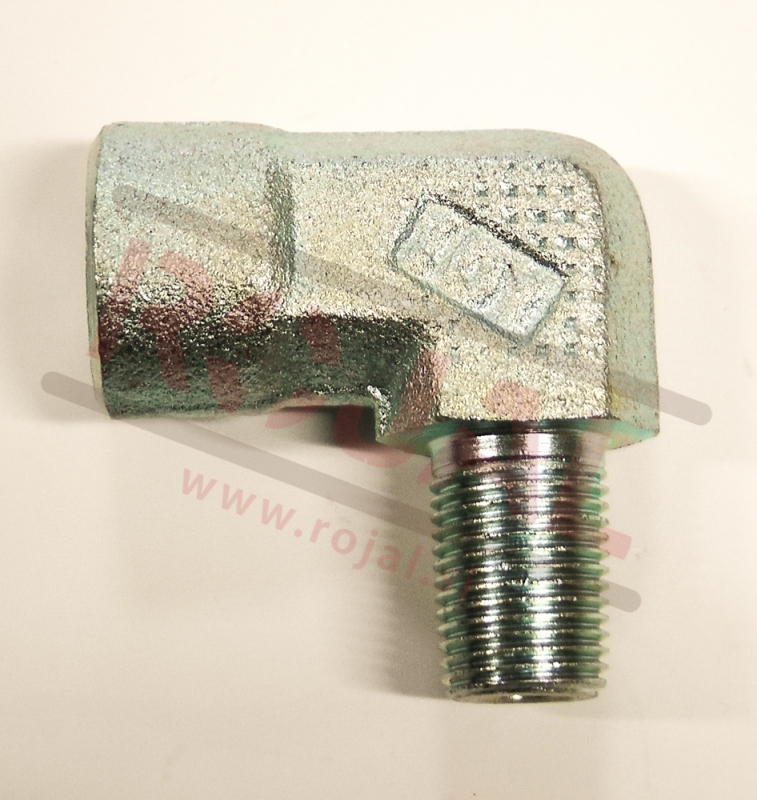 All steel construction and push button operation. 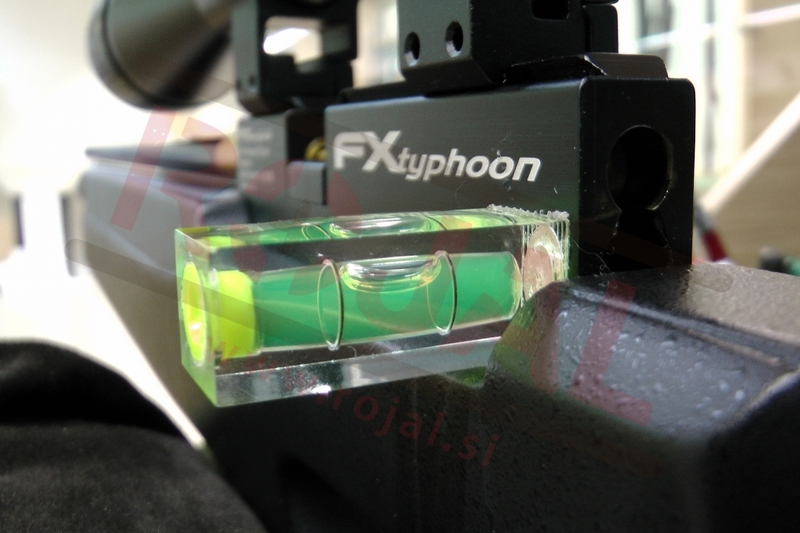 Easy to install spirit level. 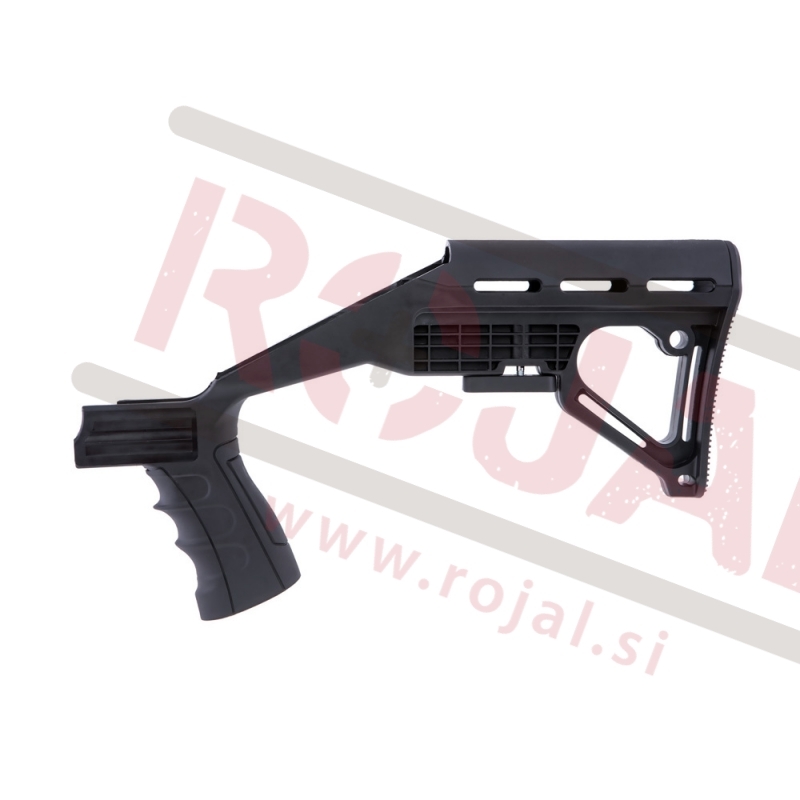 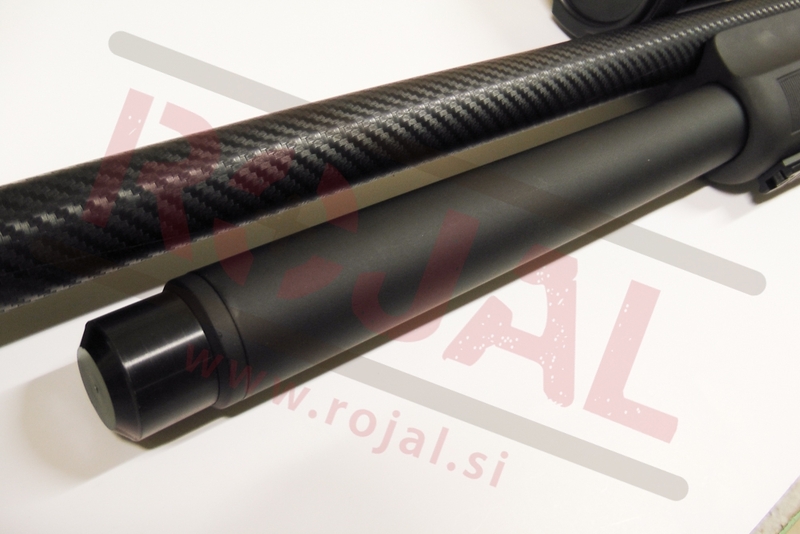 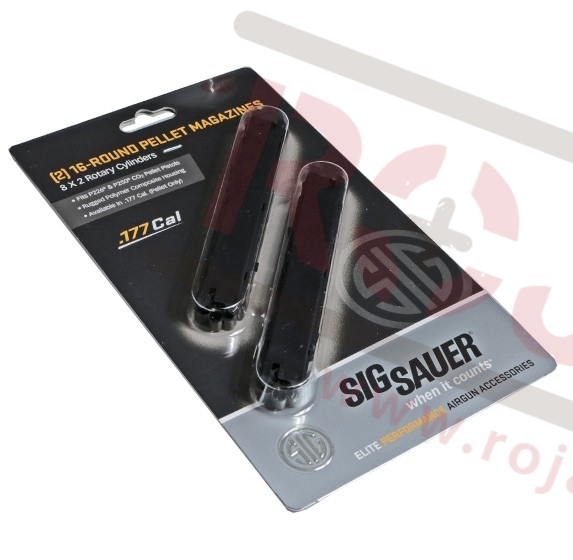 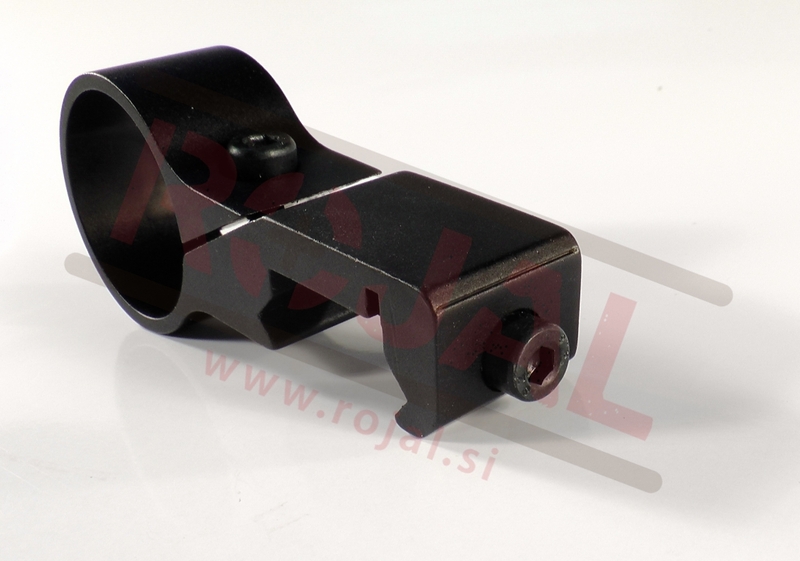 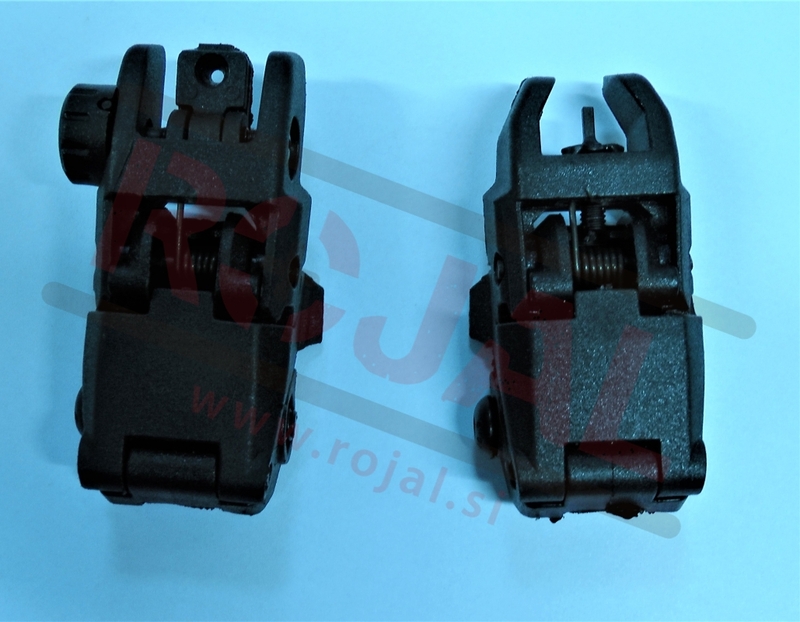 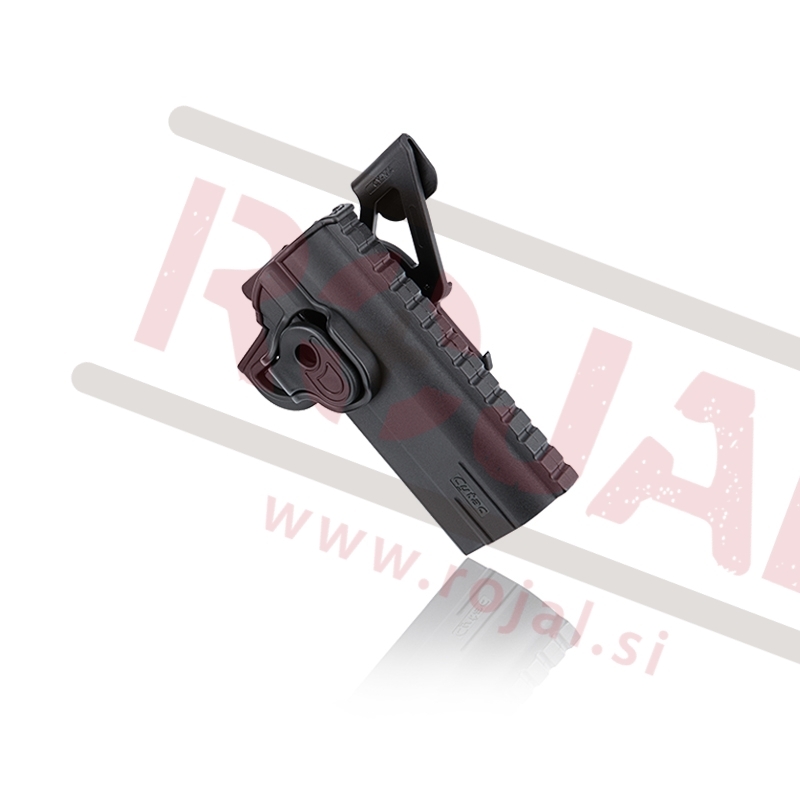 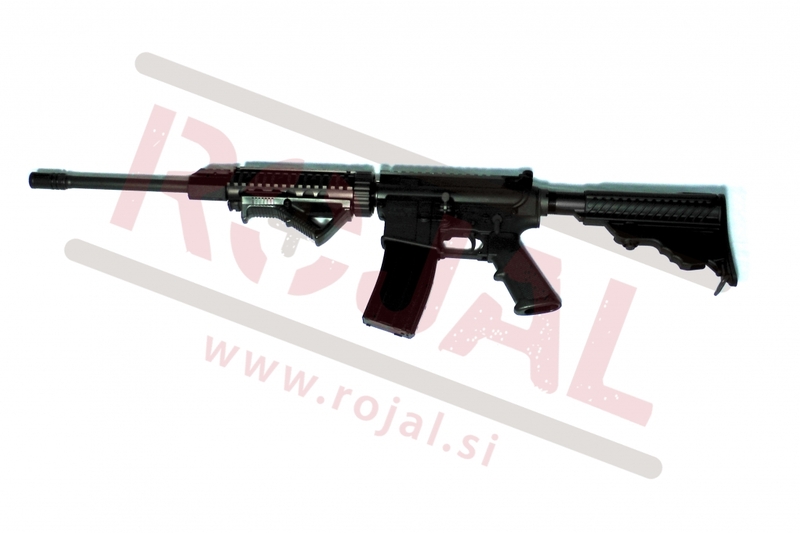 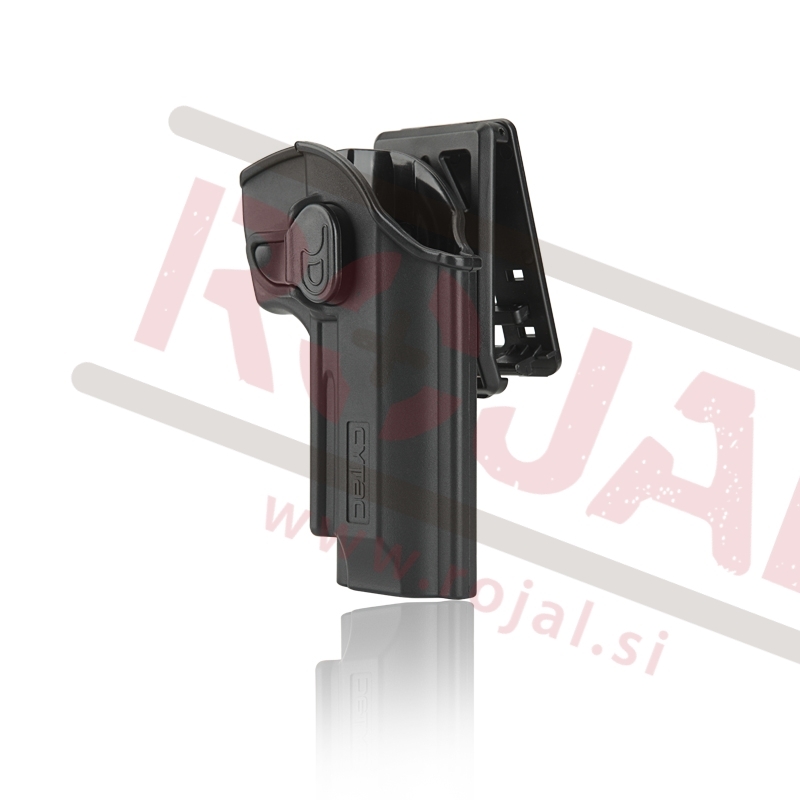 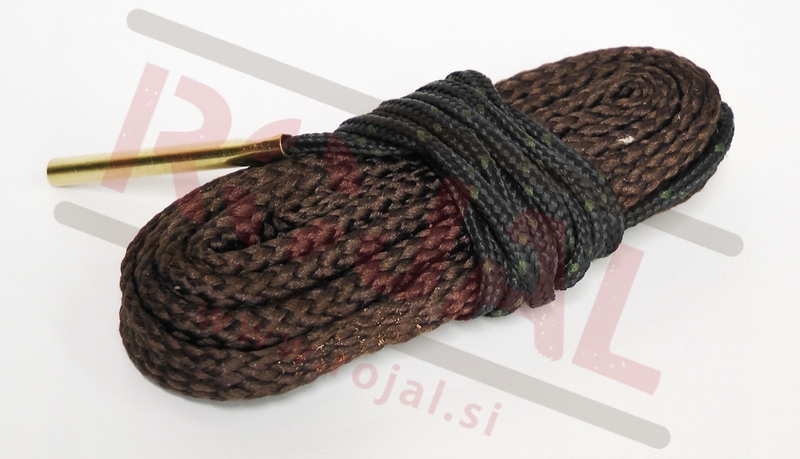 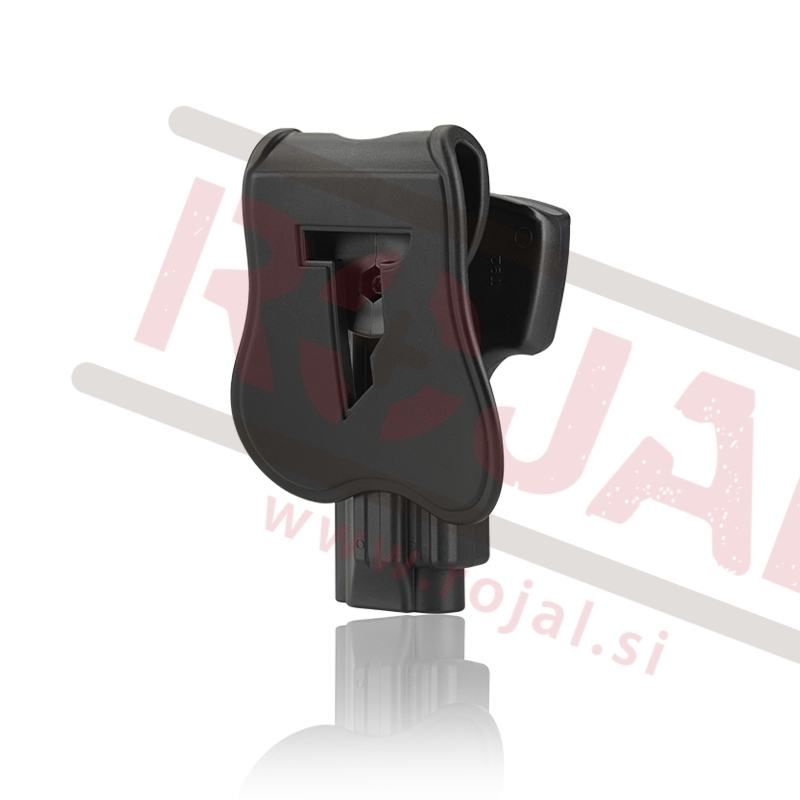 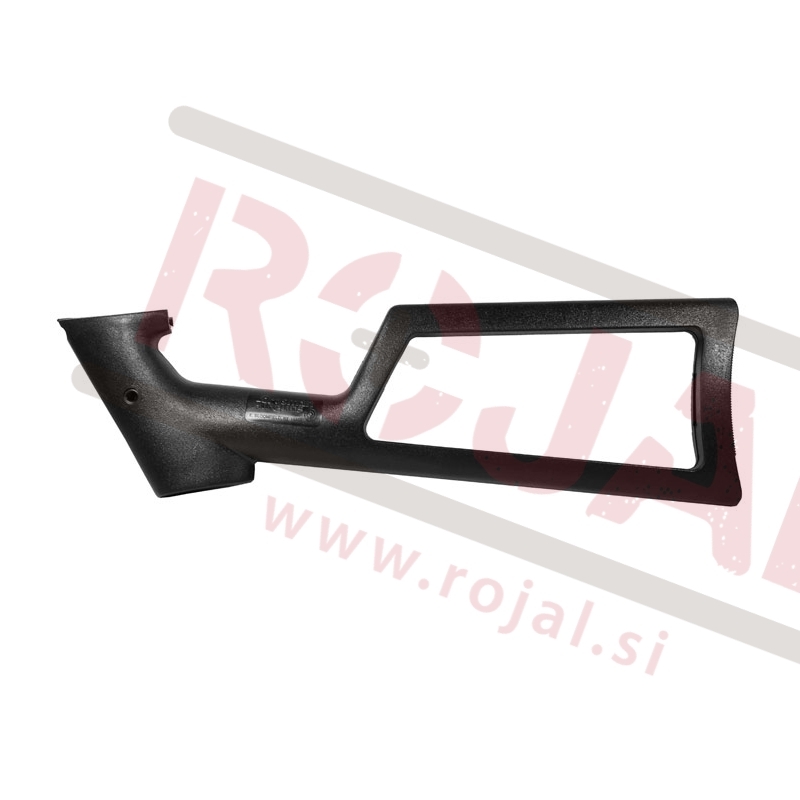 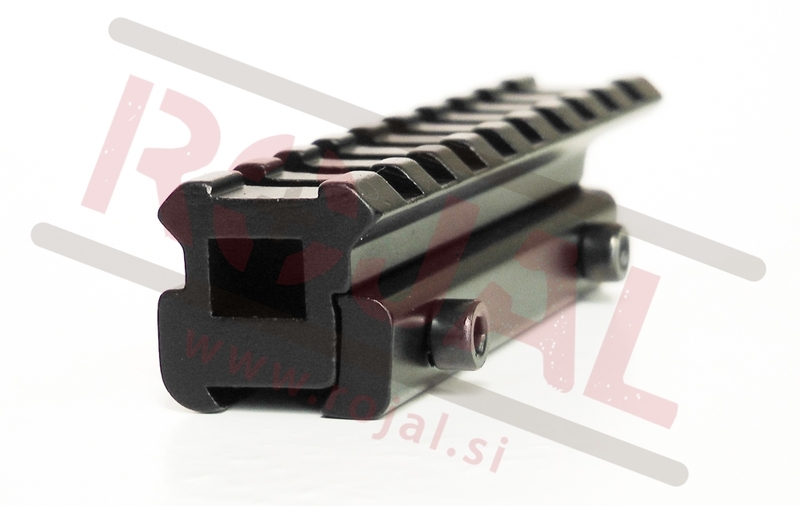 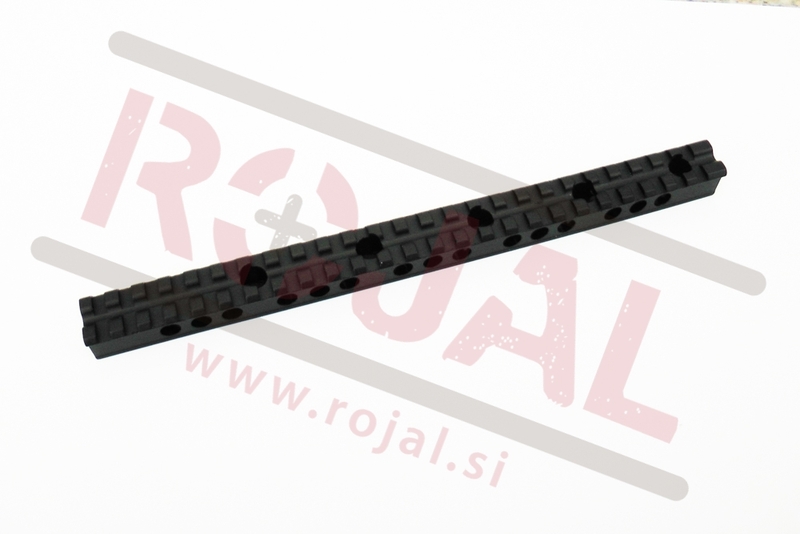 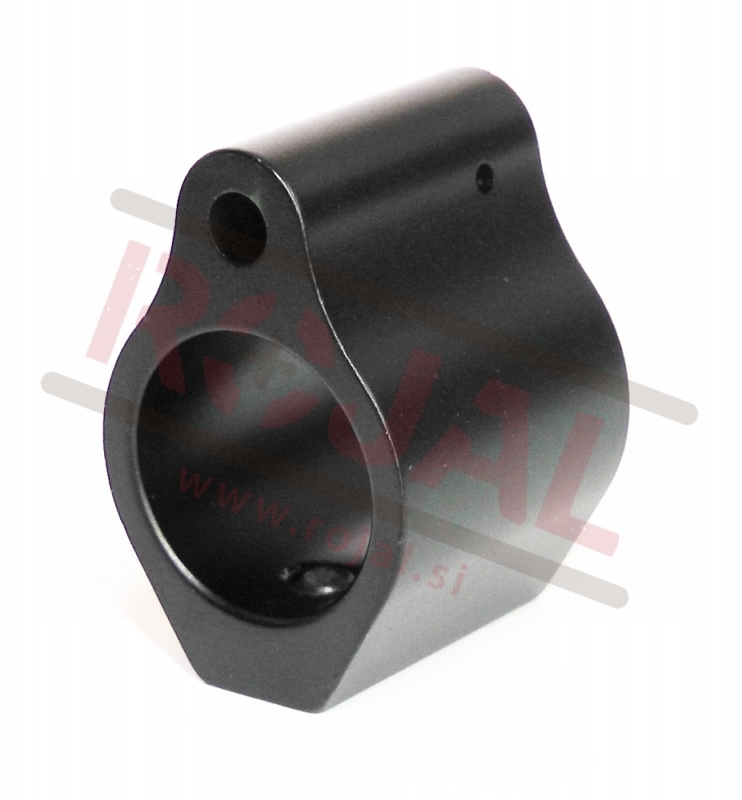 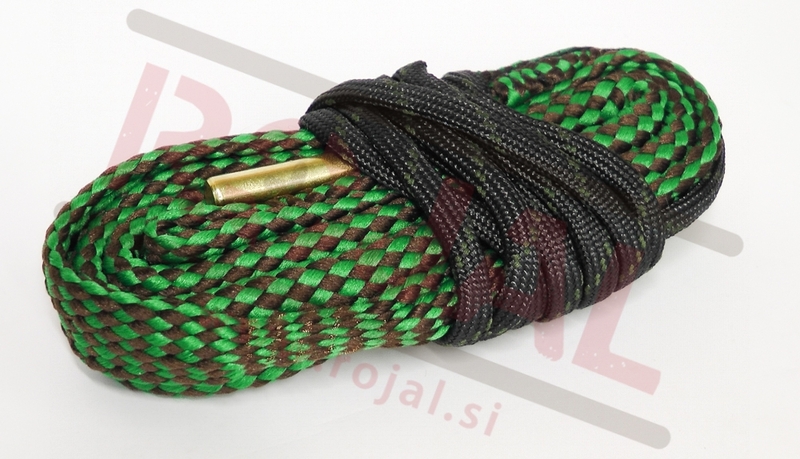 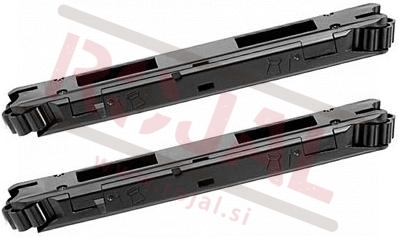 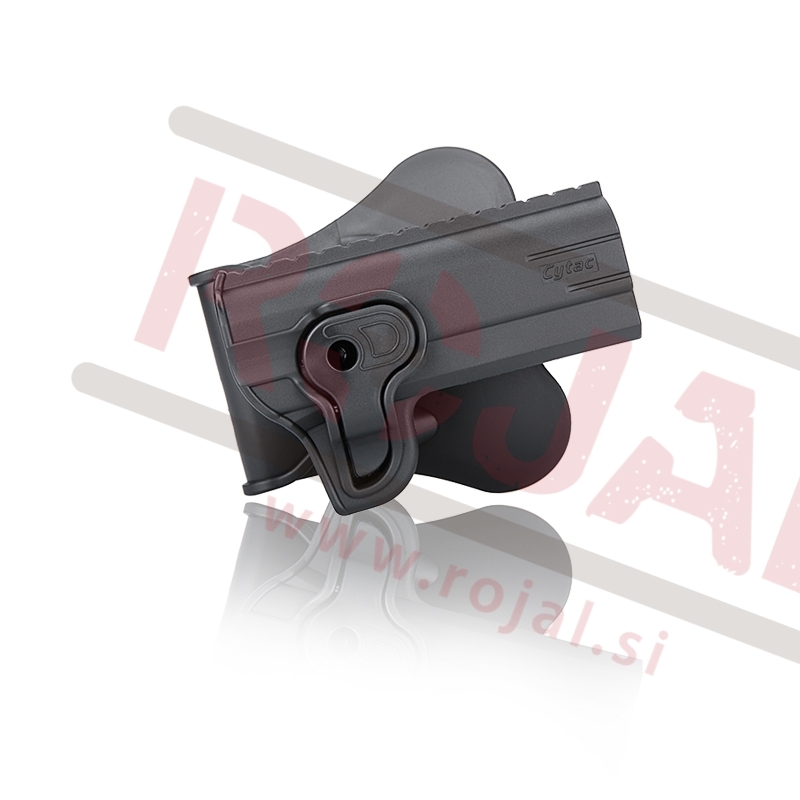 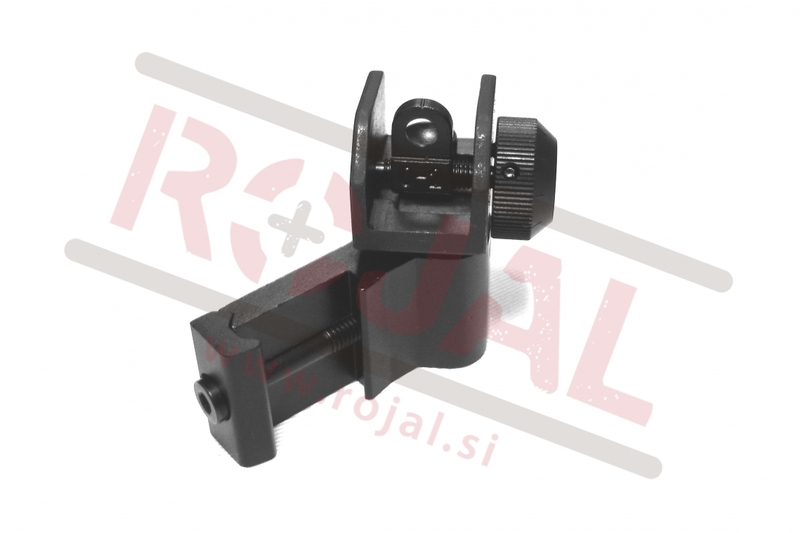 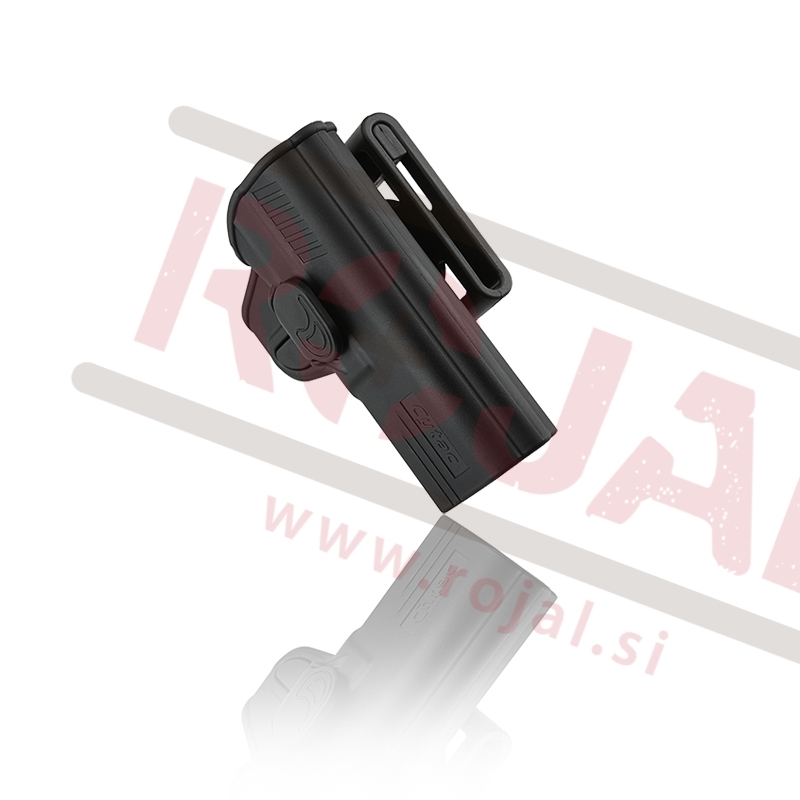 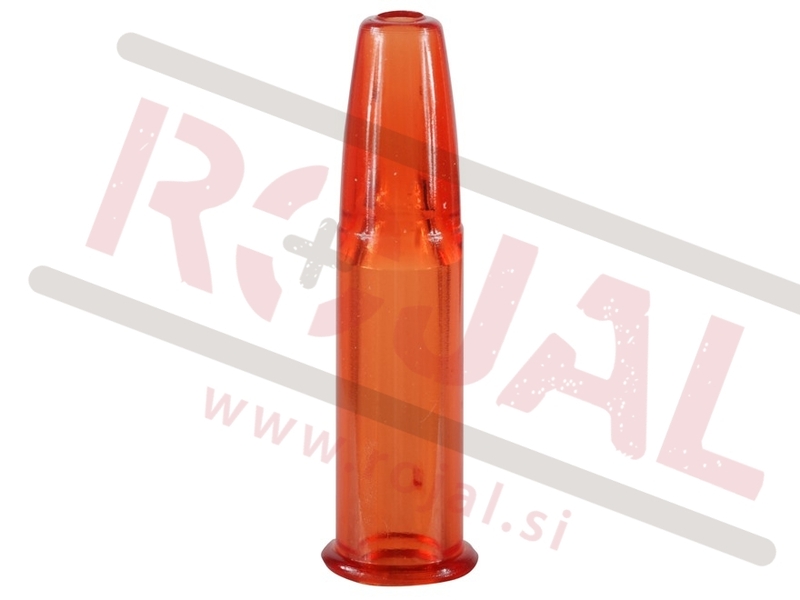 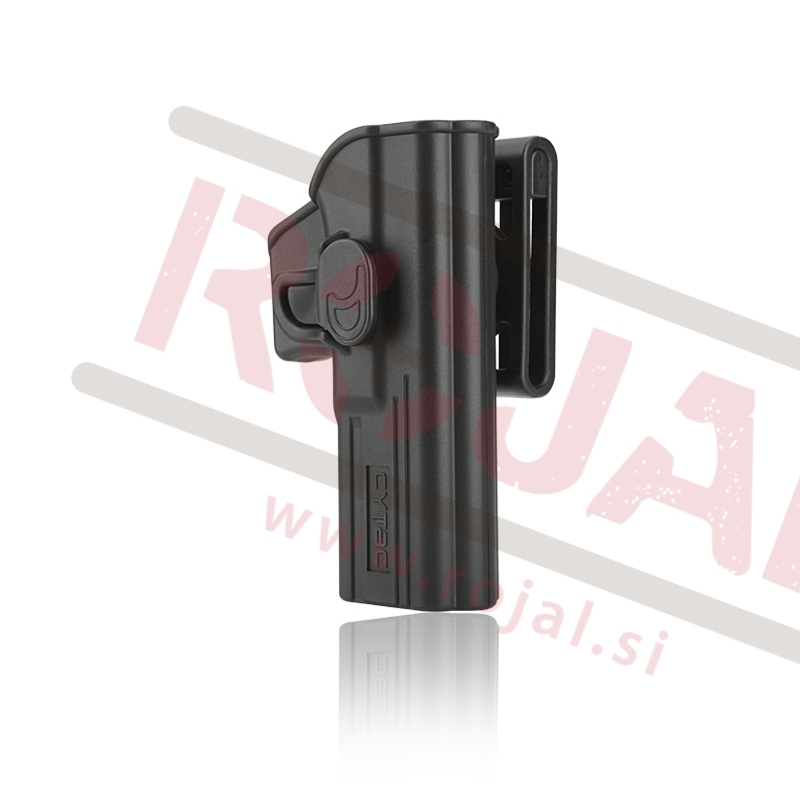 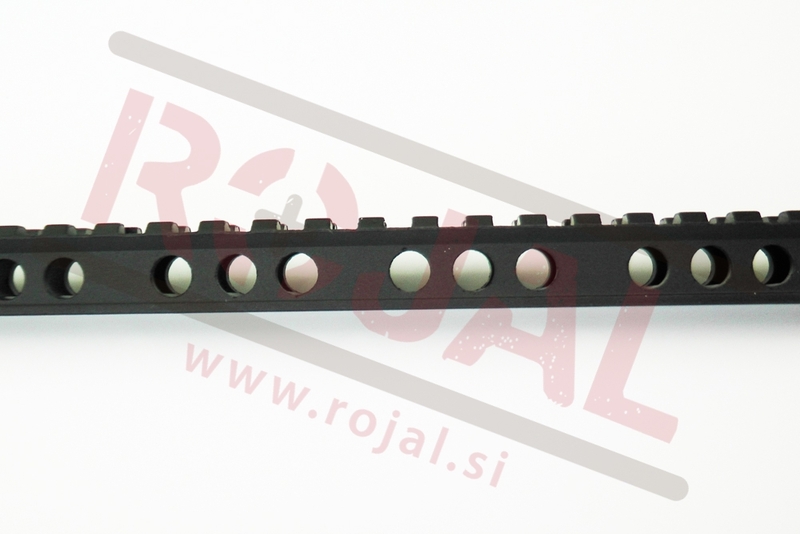 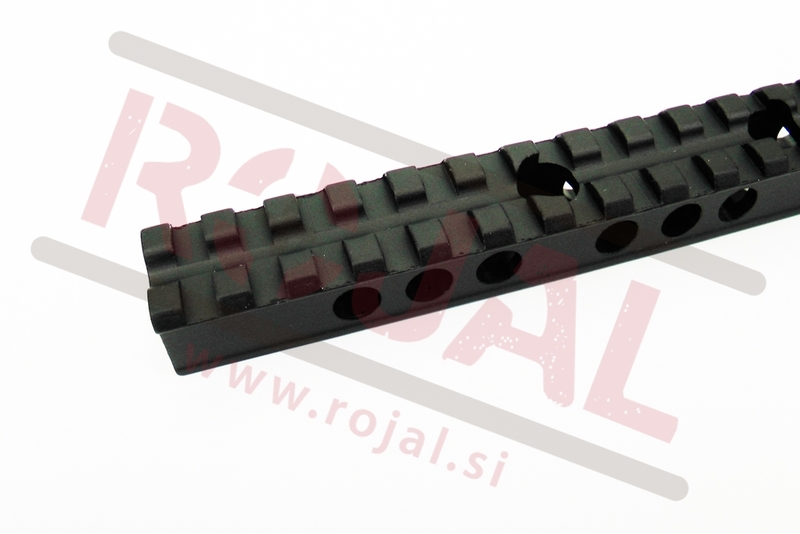 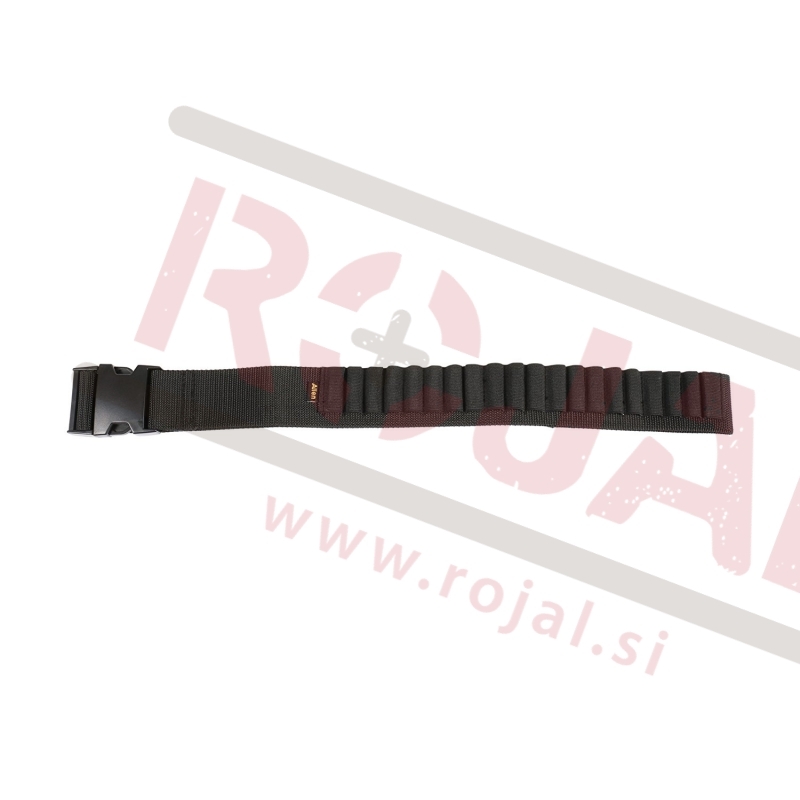 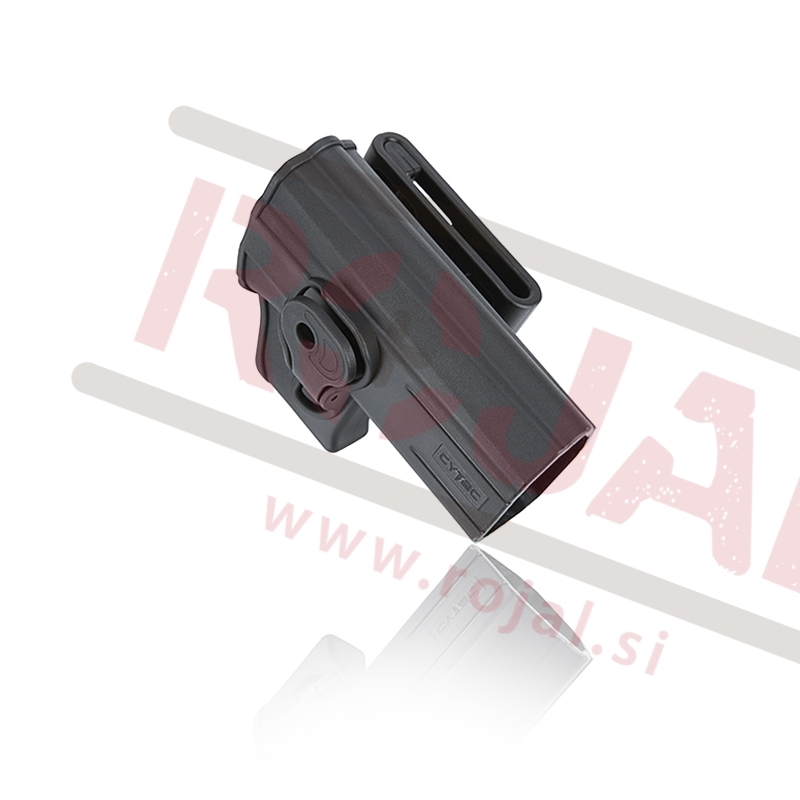 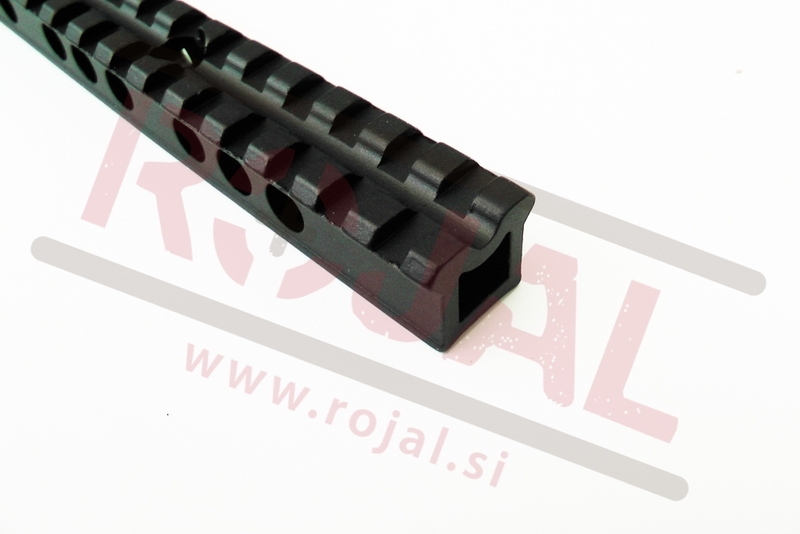 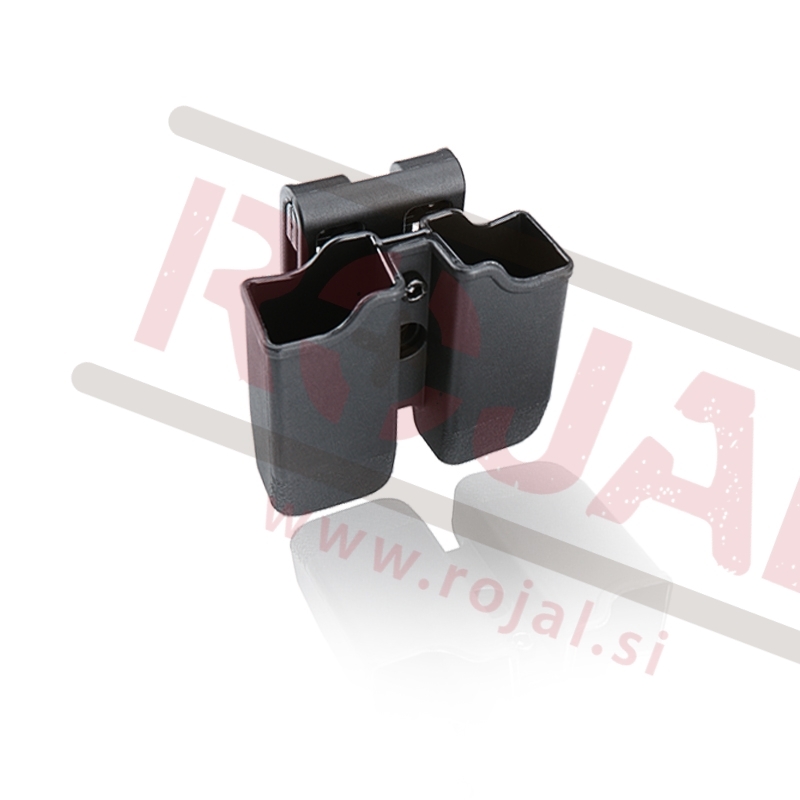 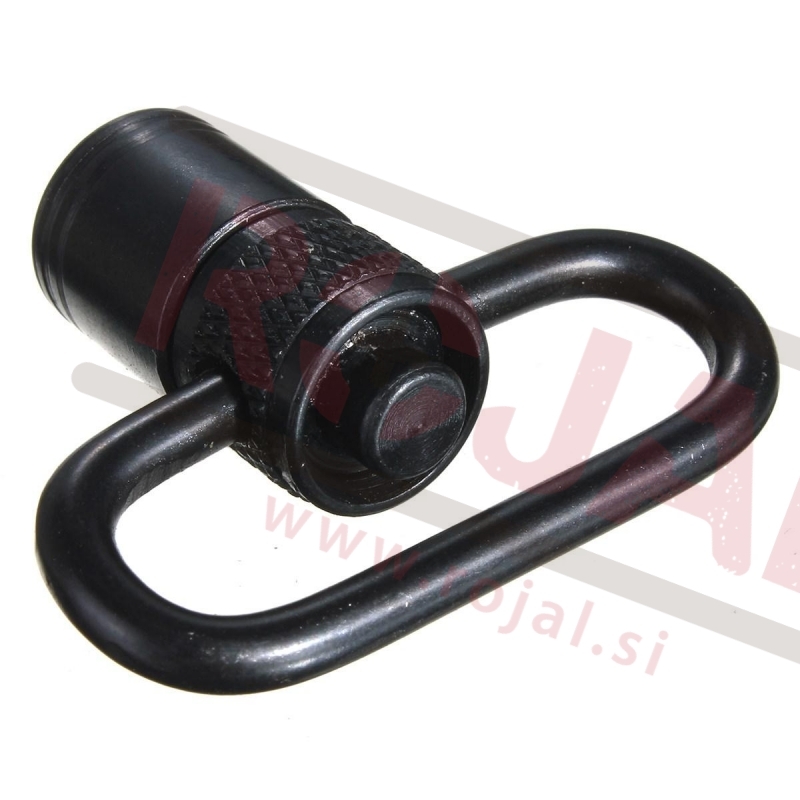 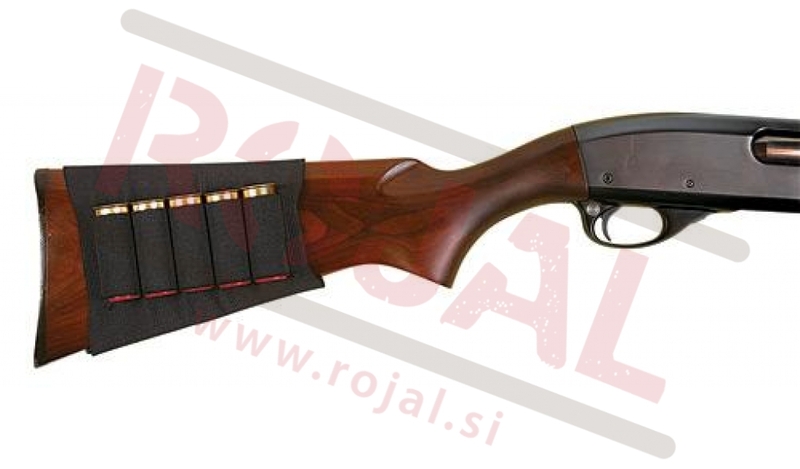 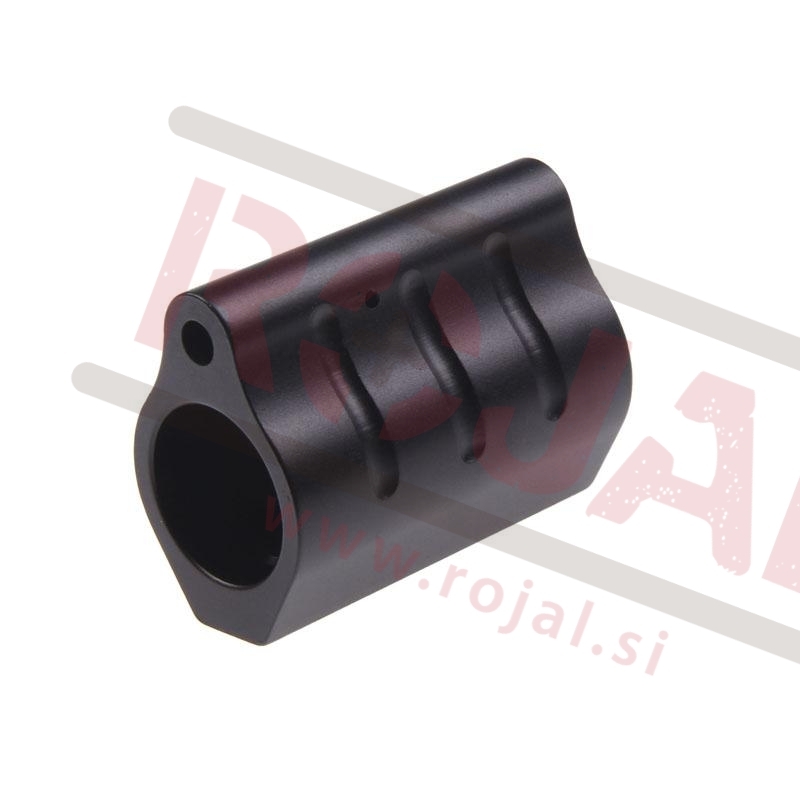 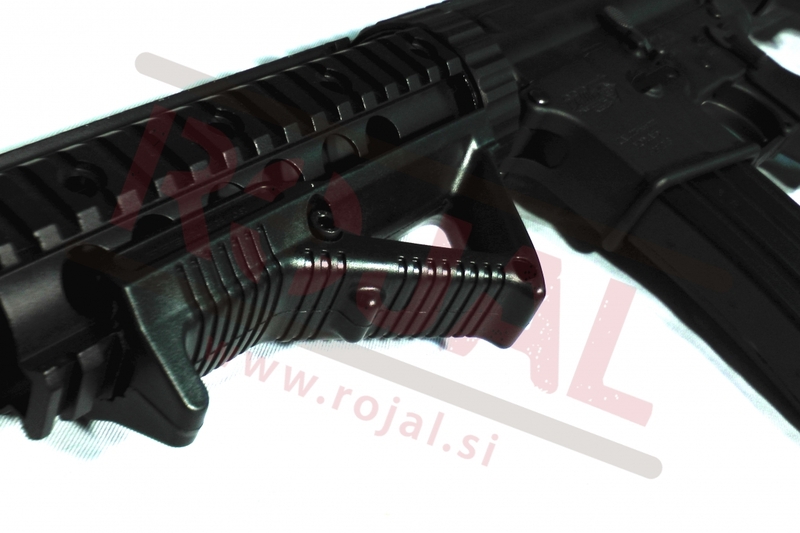 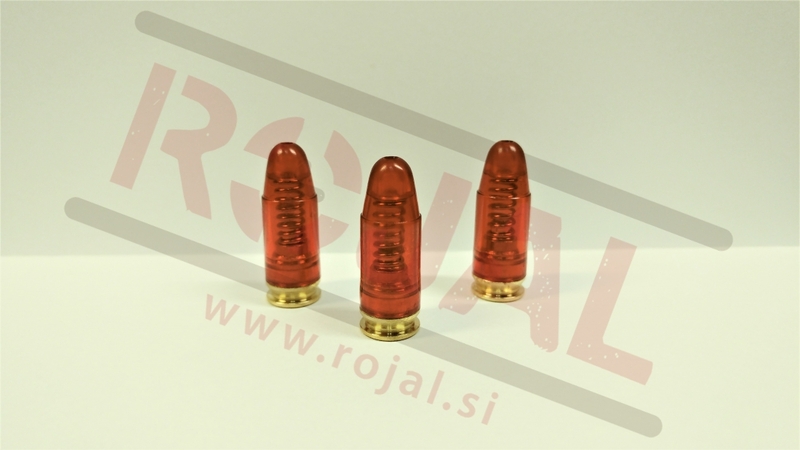 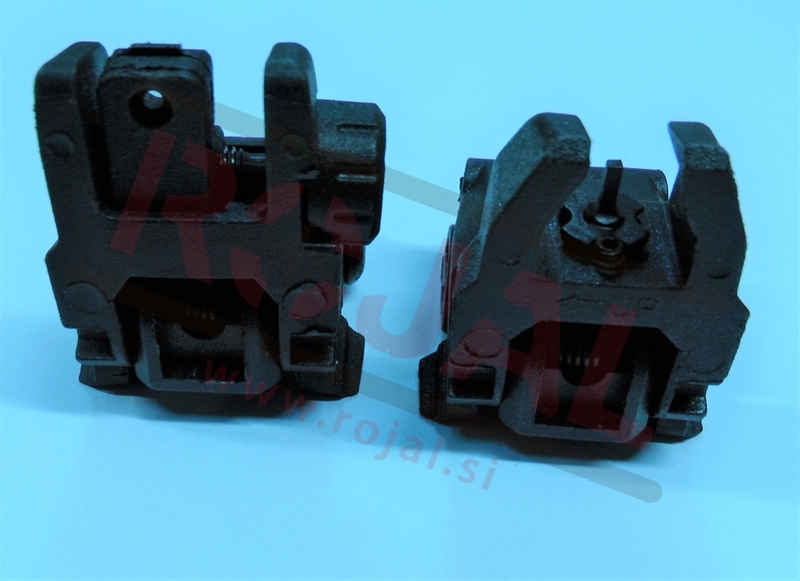 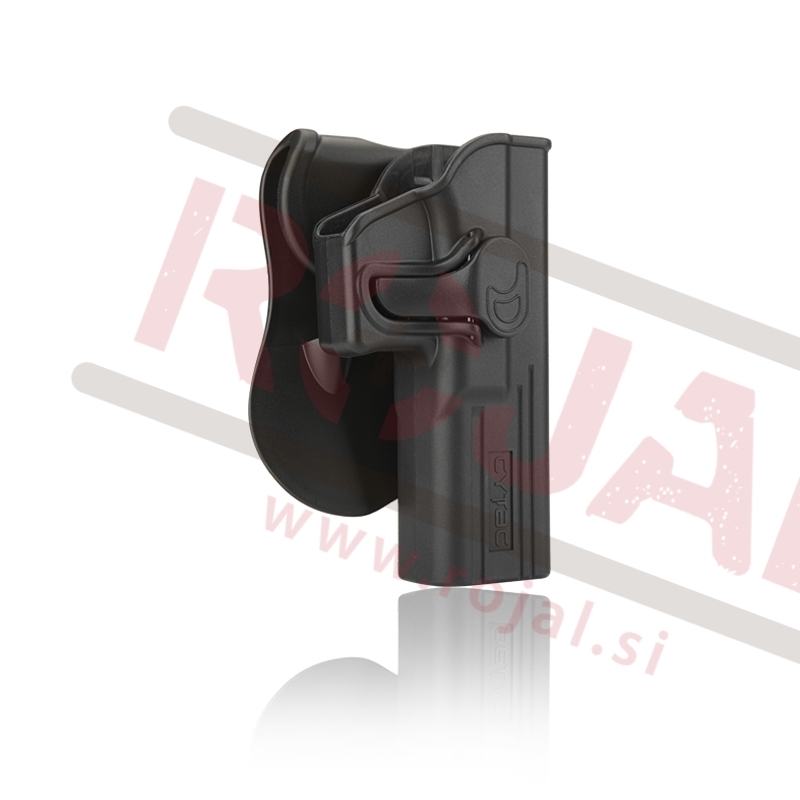 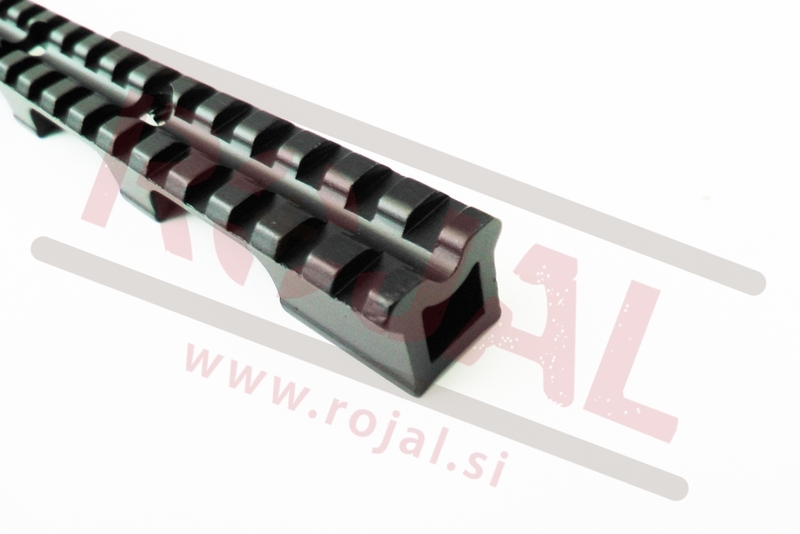 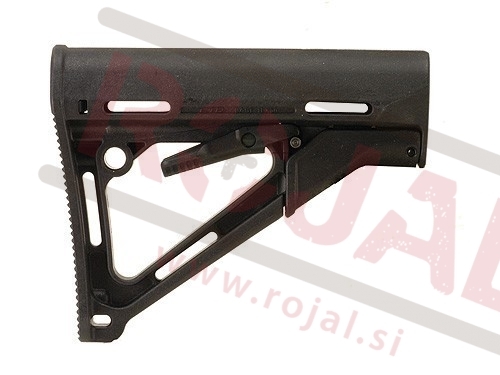 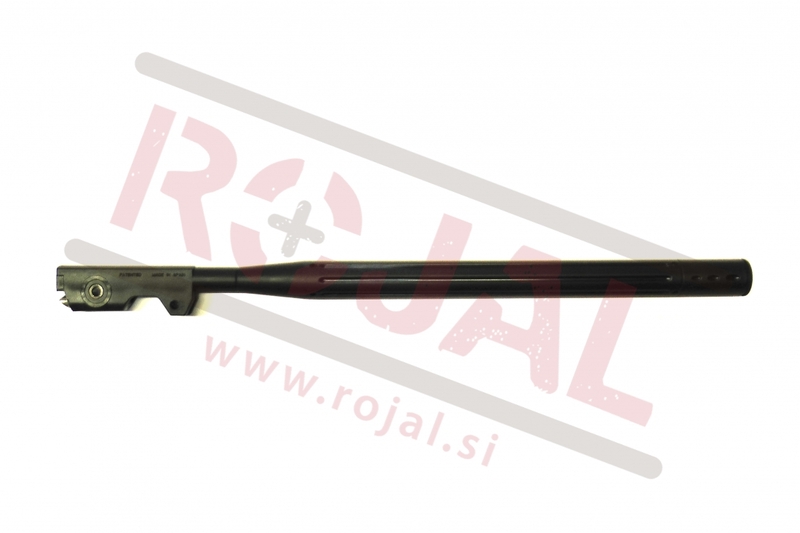 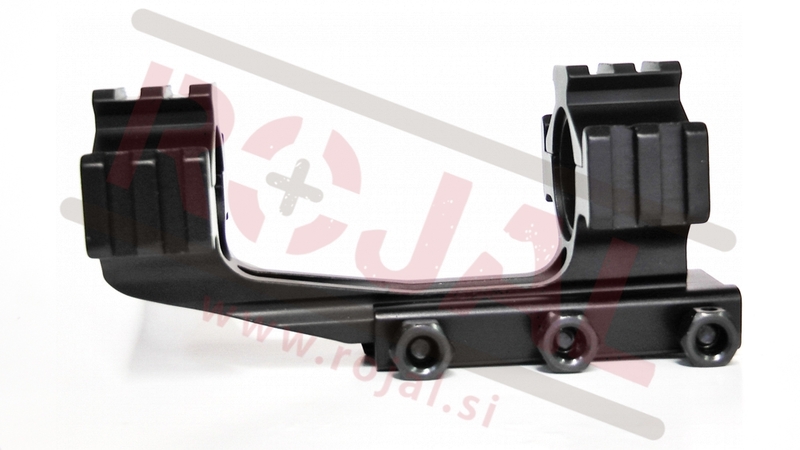 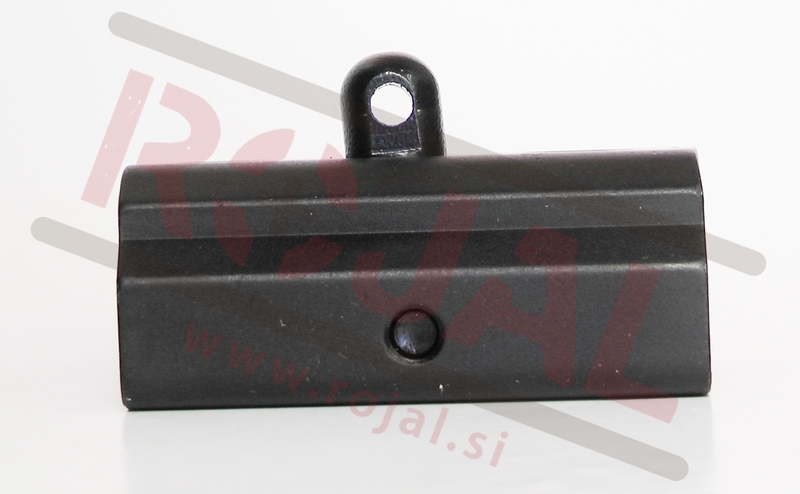 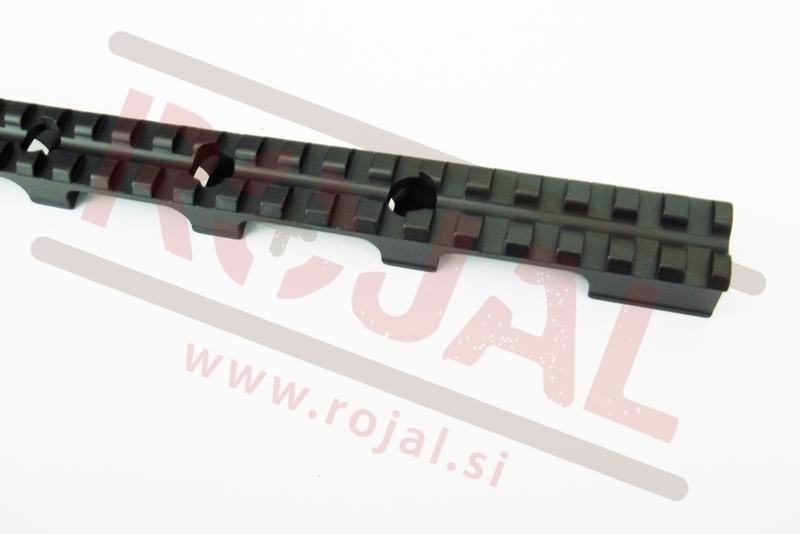 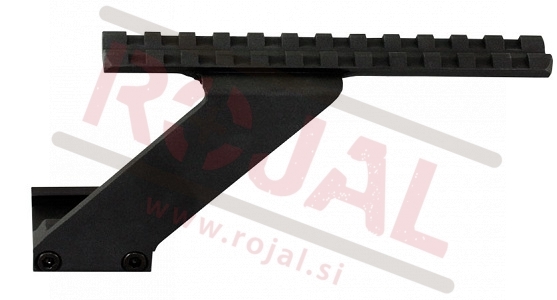 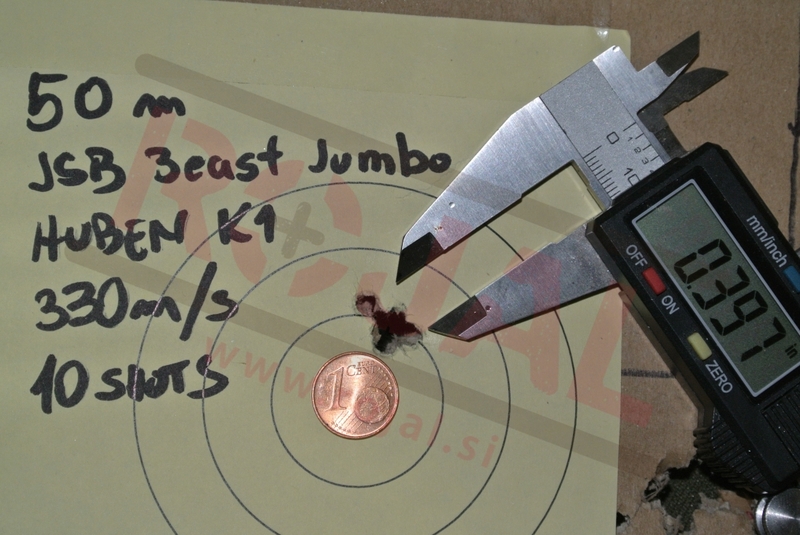 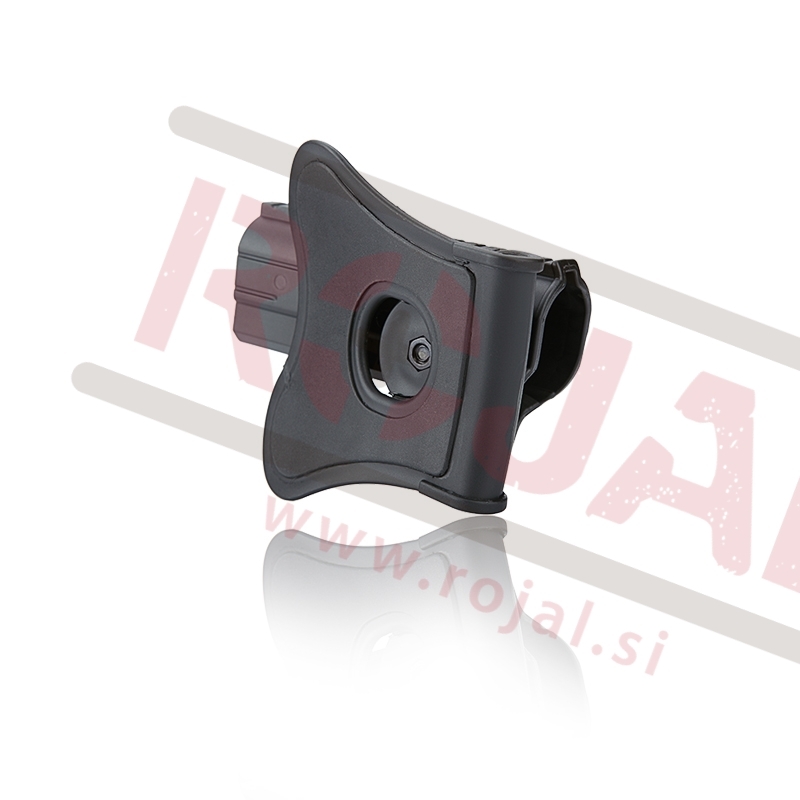 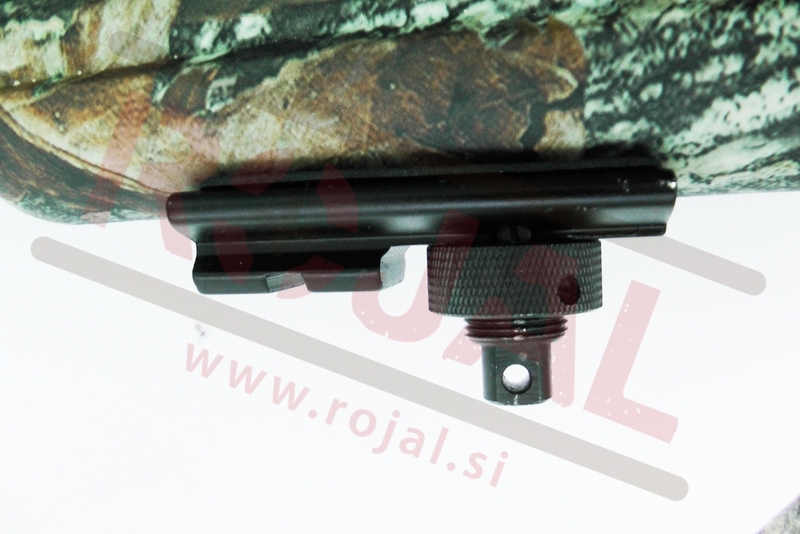 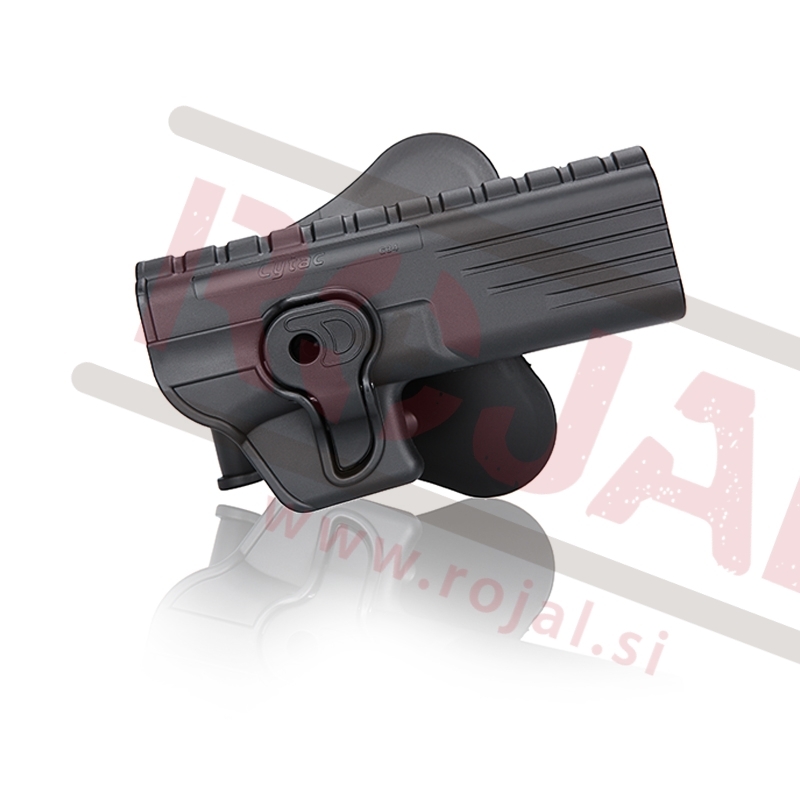 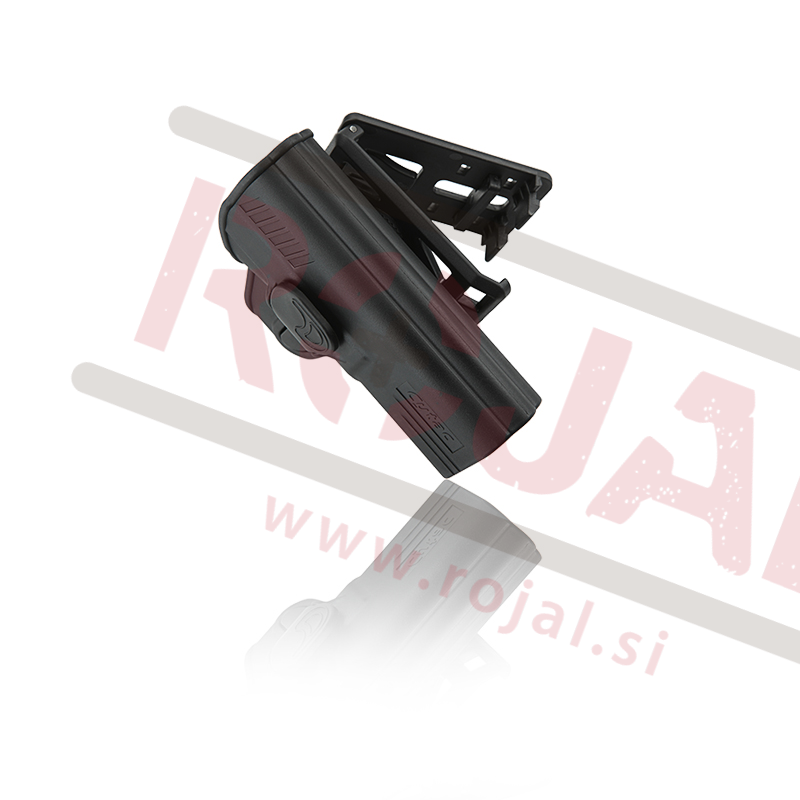 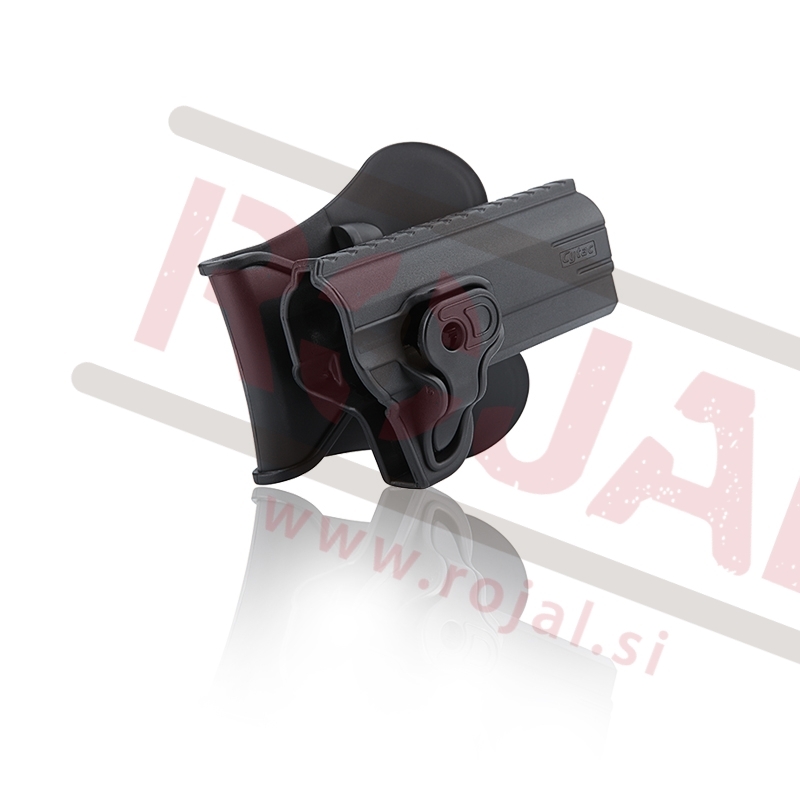 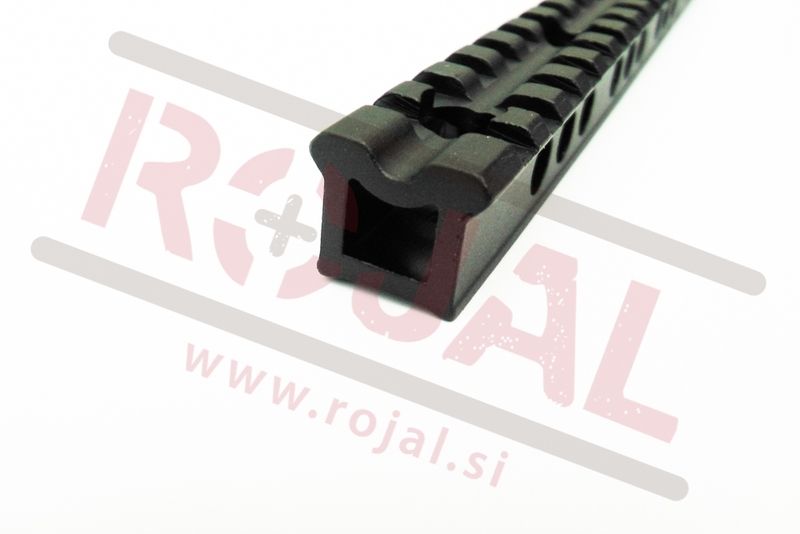 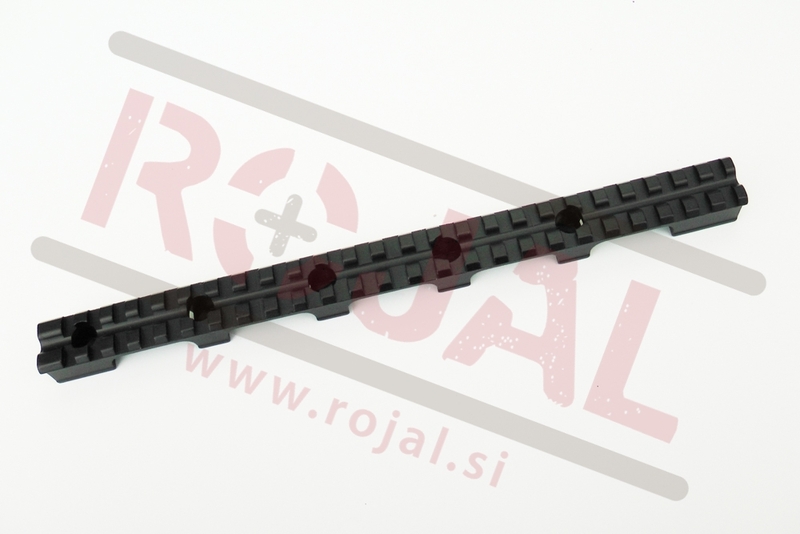 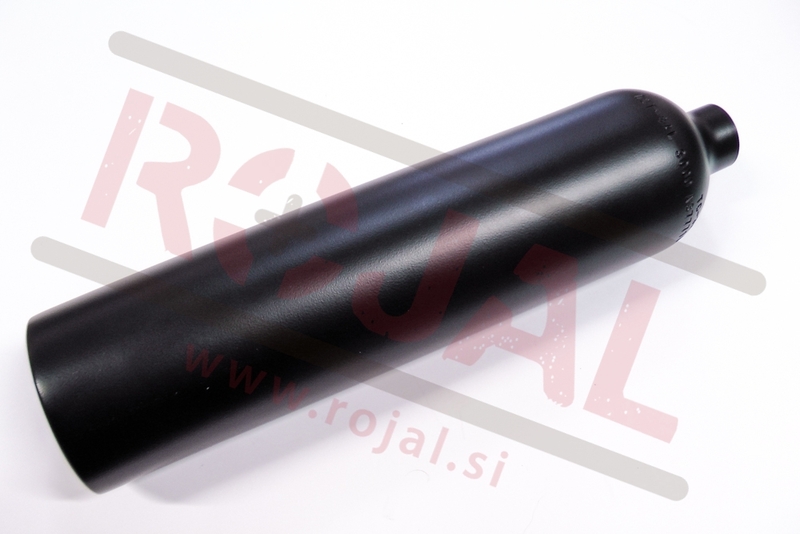 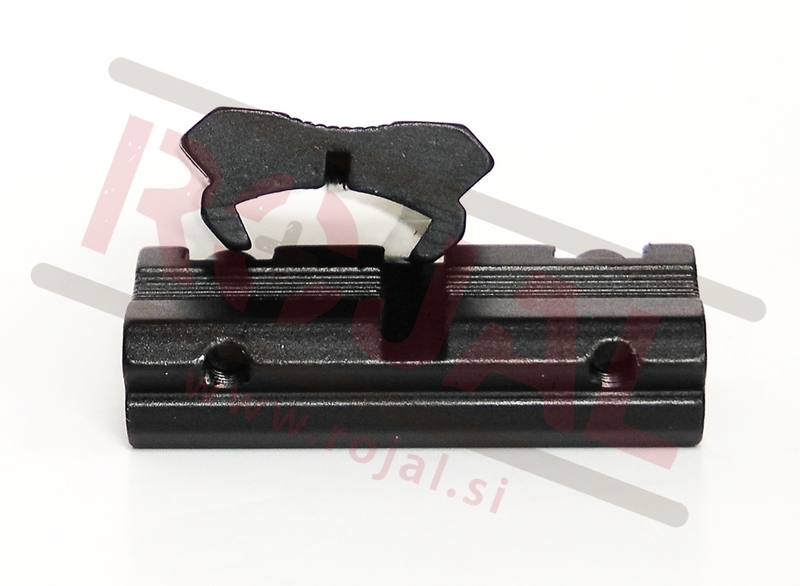 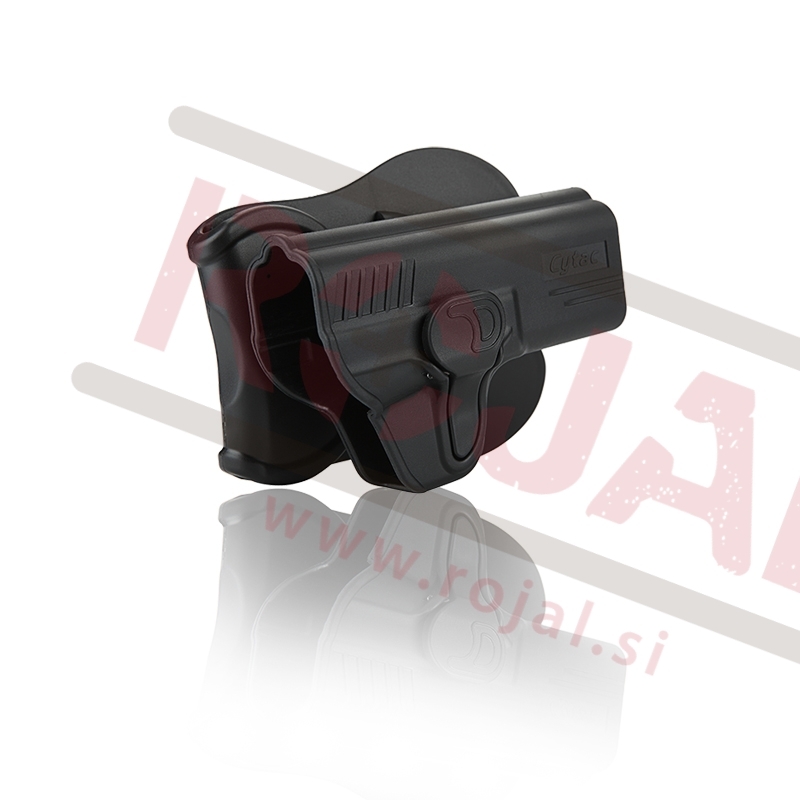 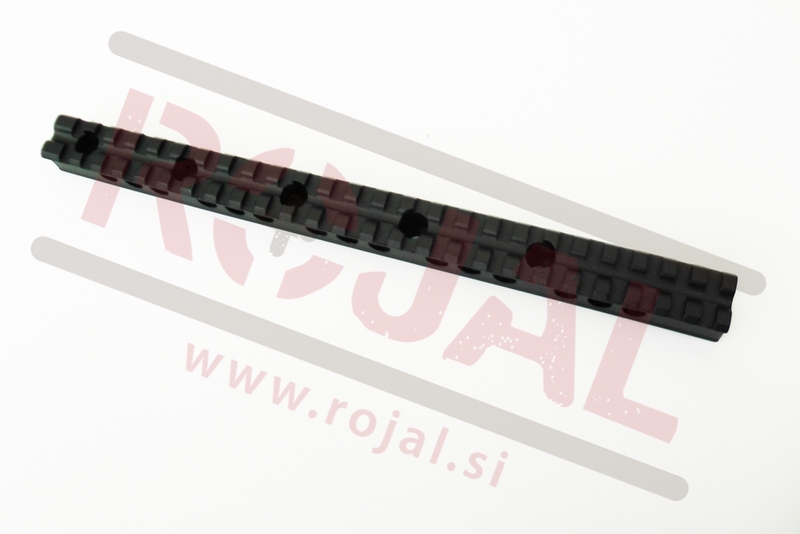 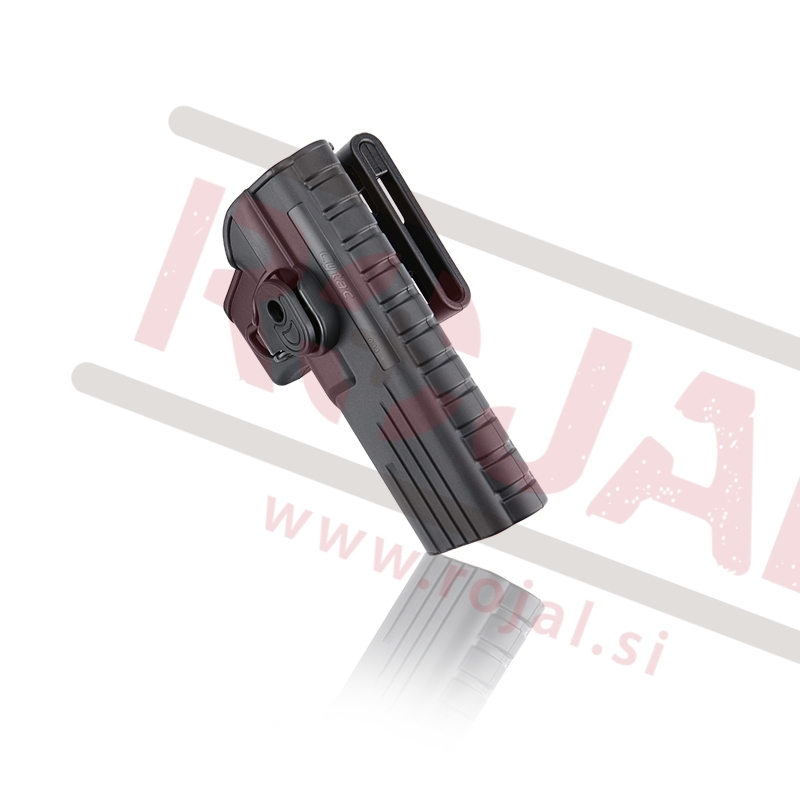 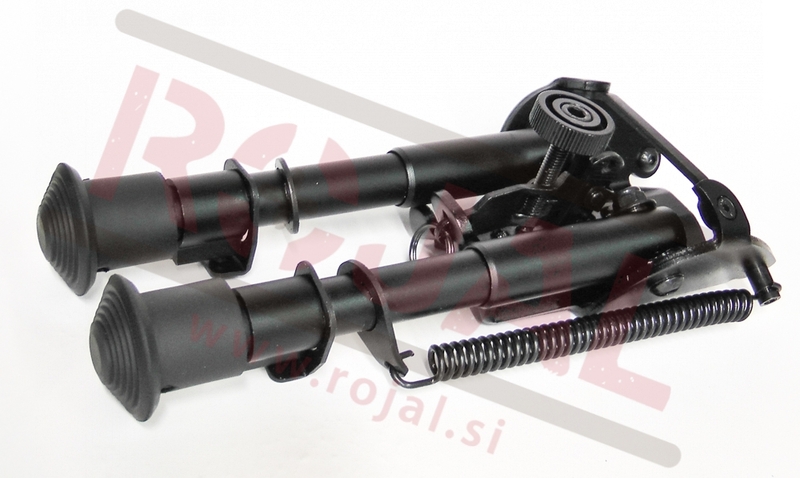 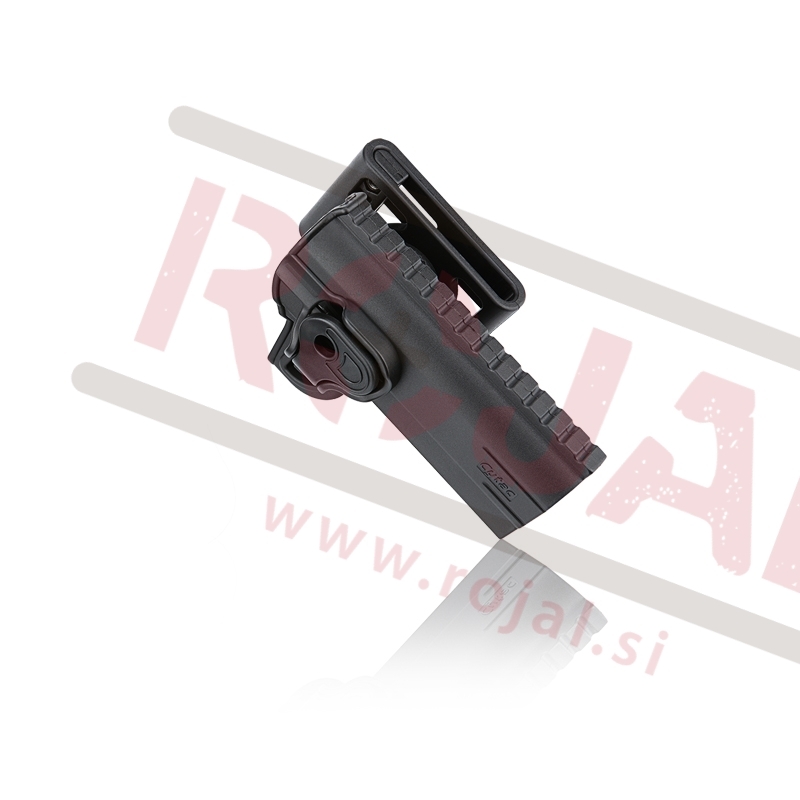 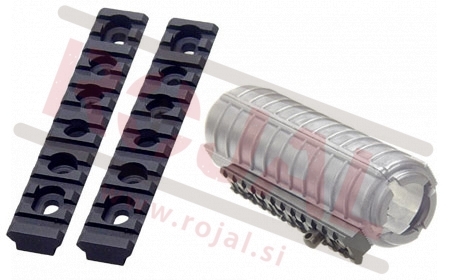 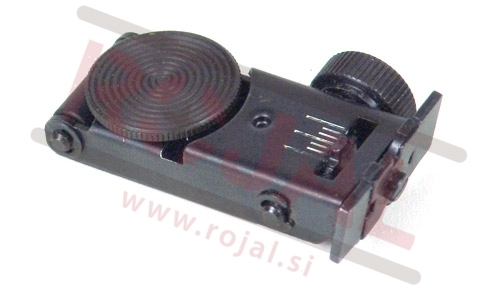 28J vzmet za Gamo Black Bull. 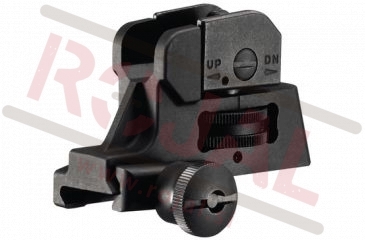 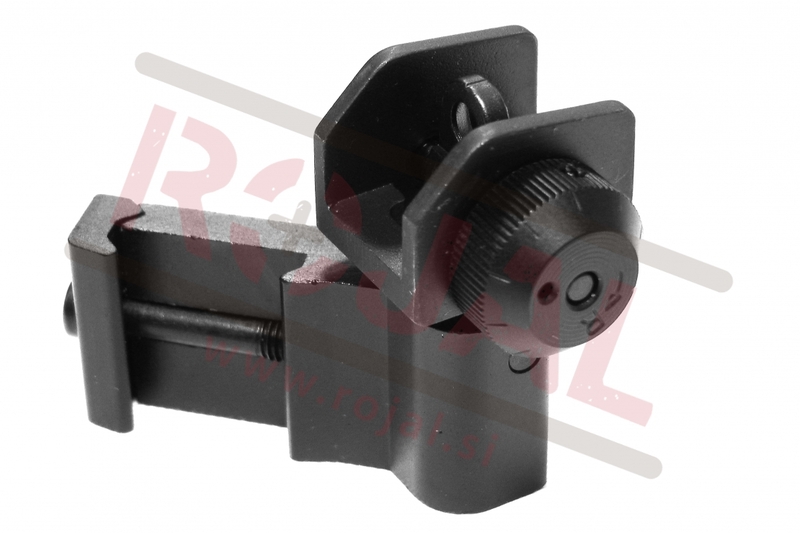 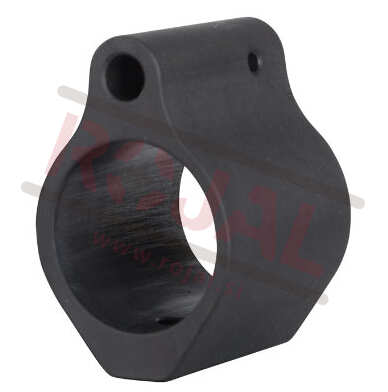 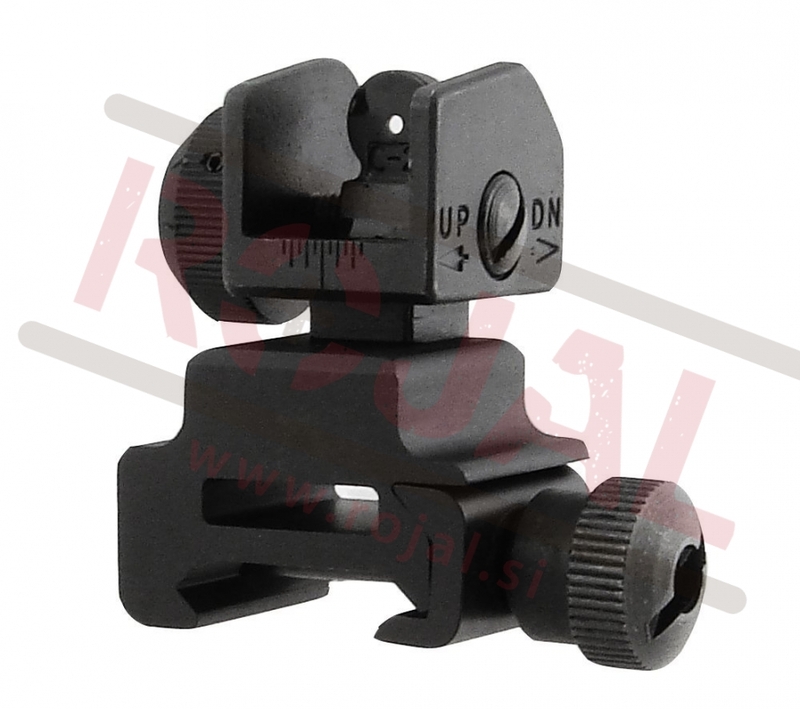 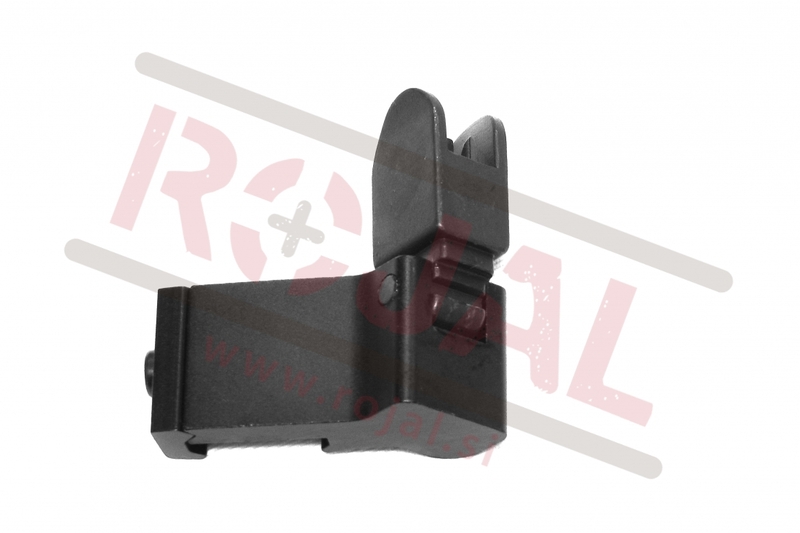 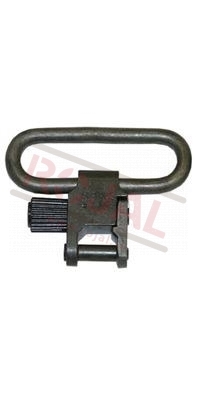 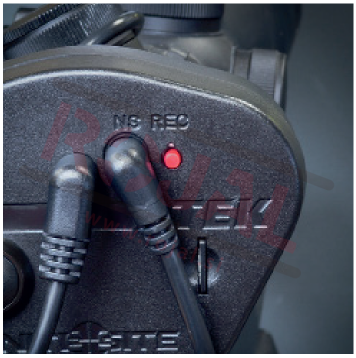 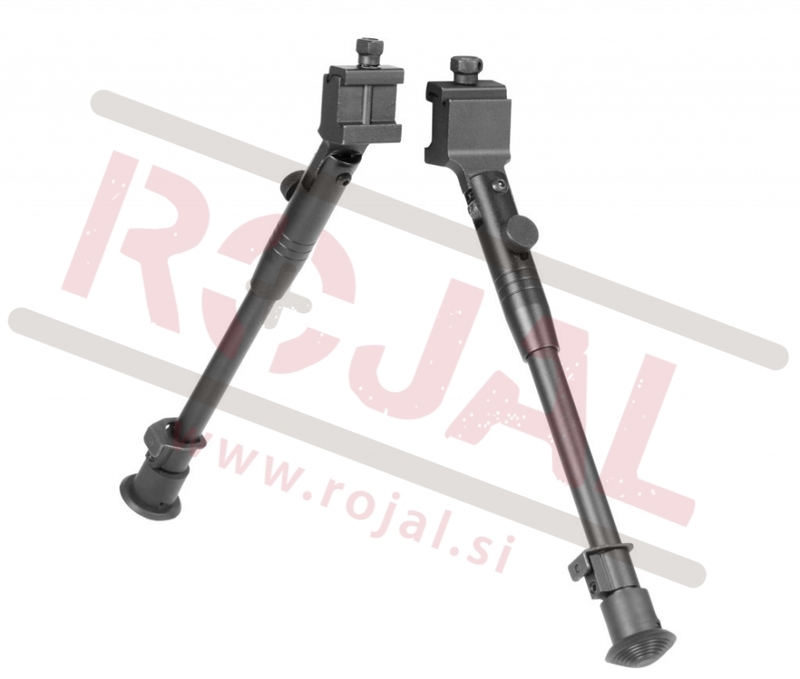 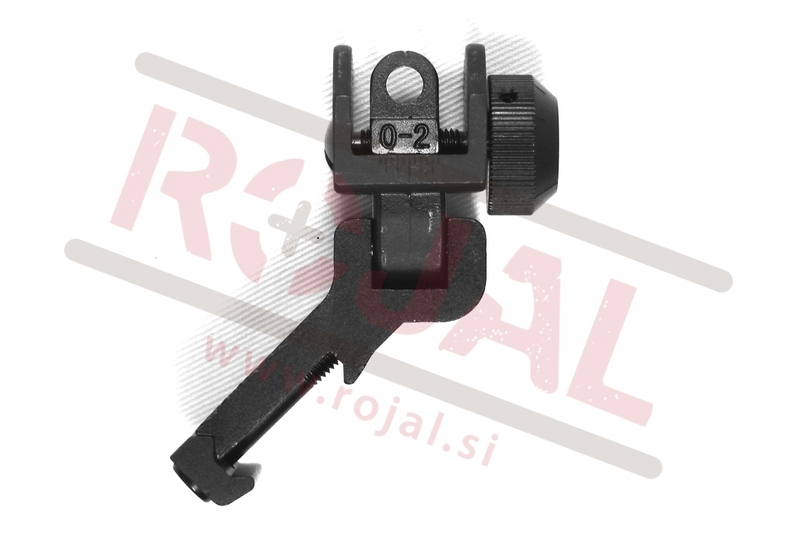 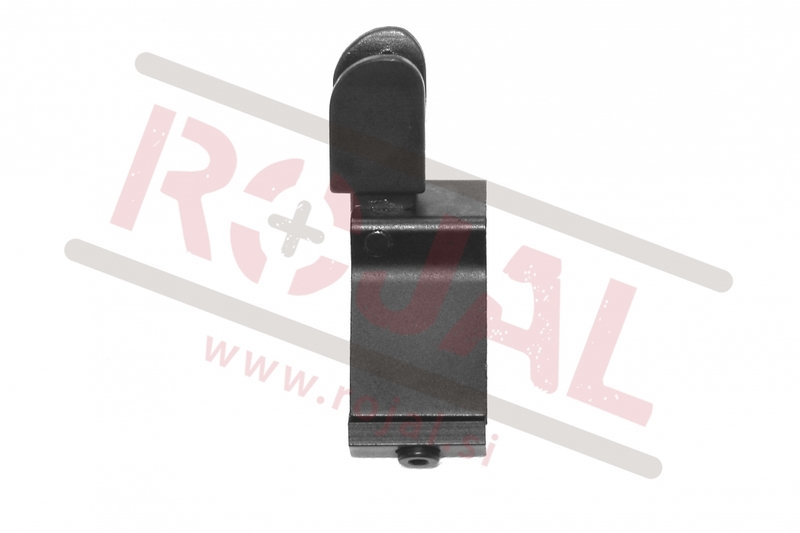 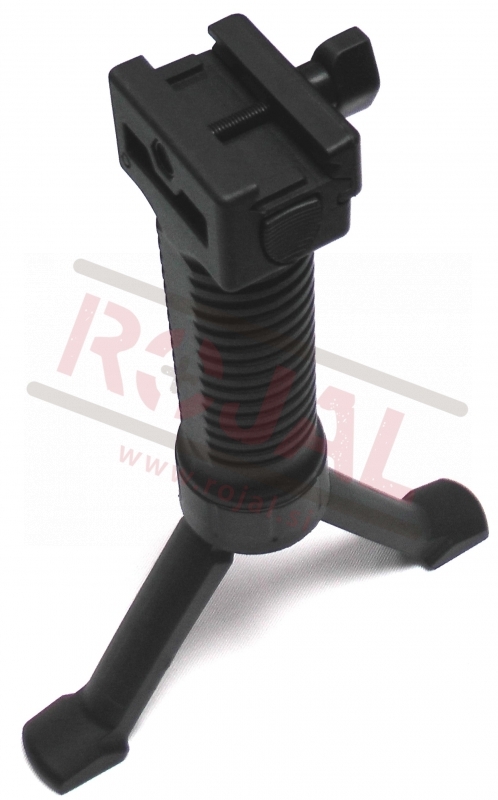 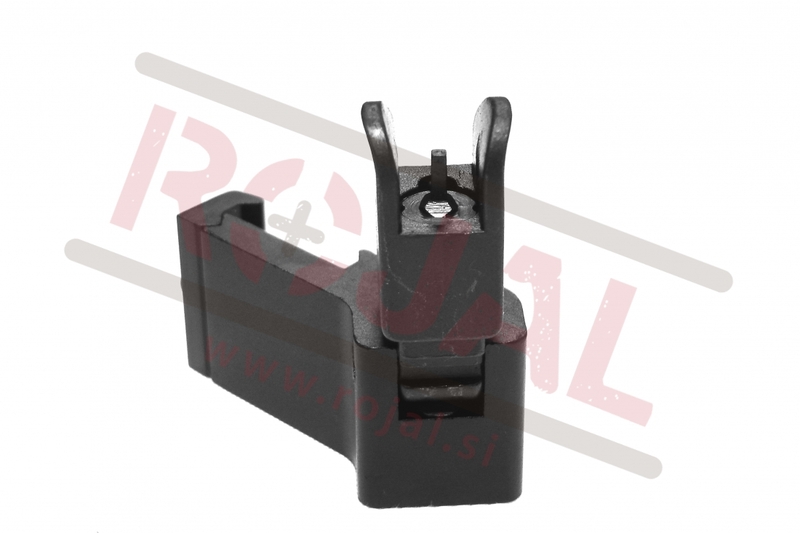 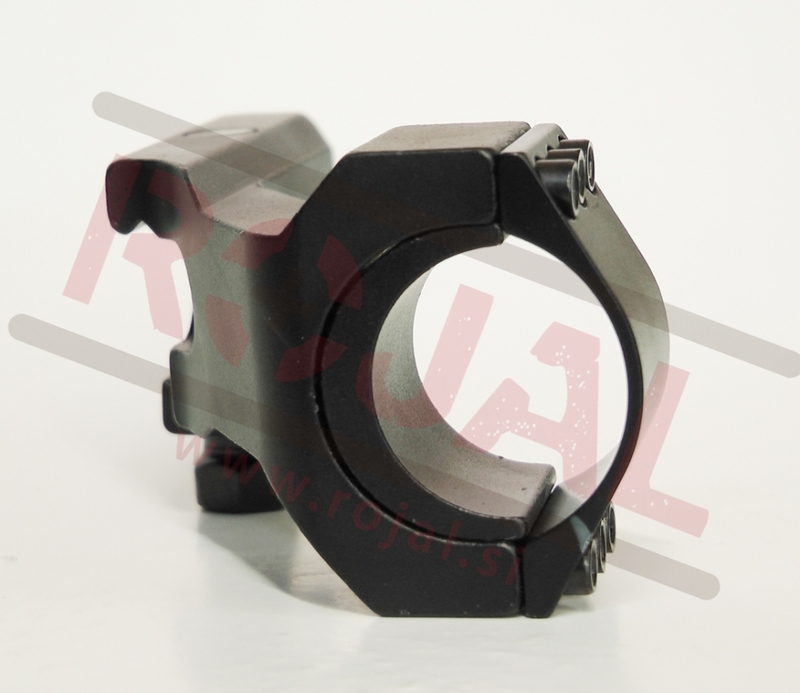 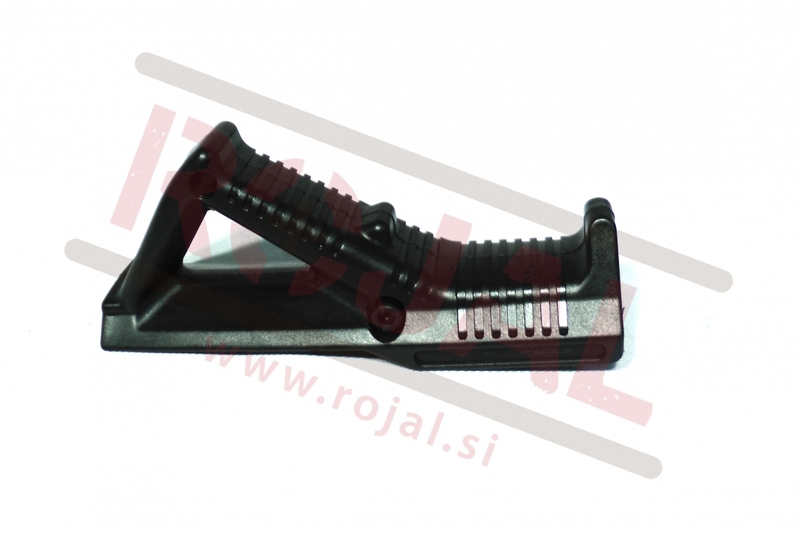 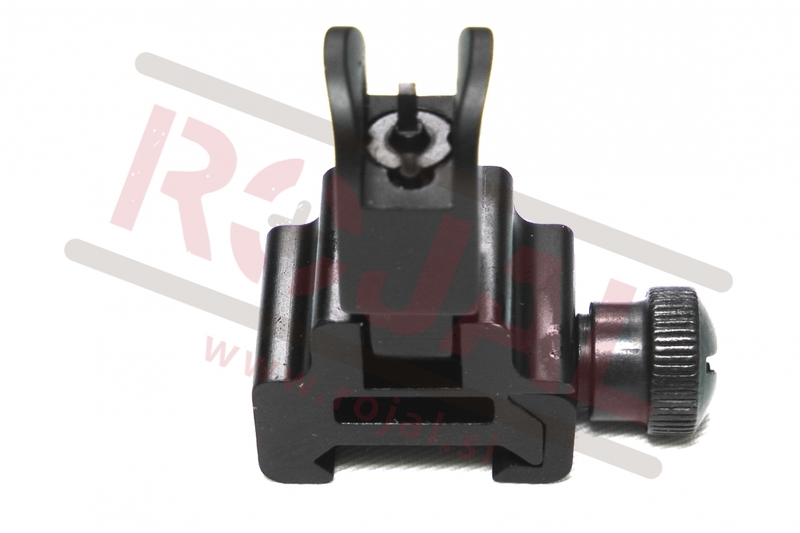 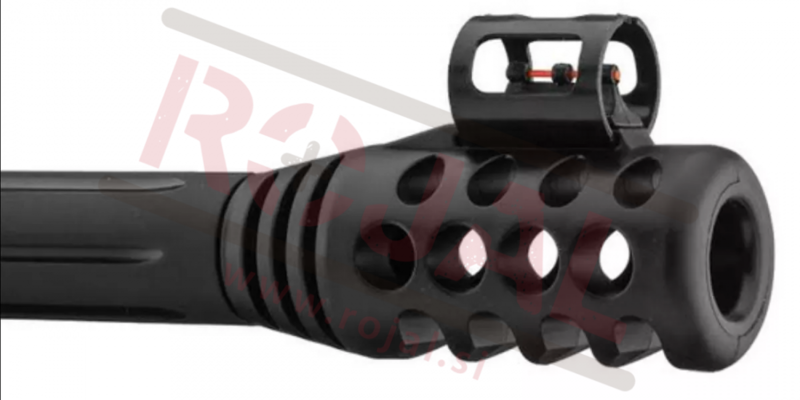 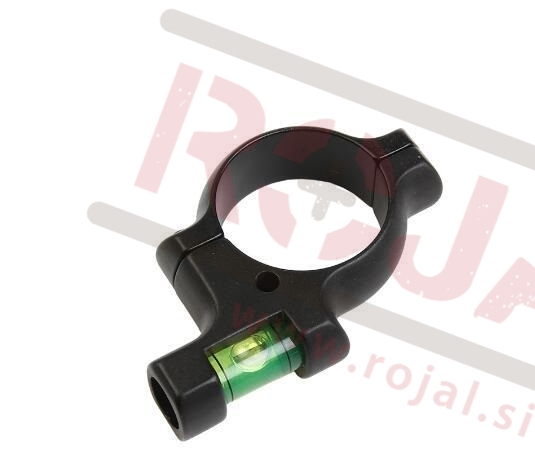 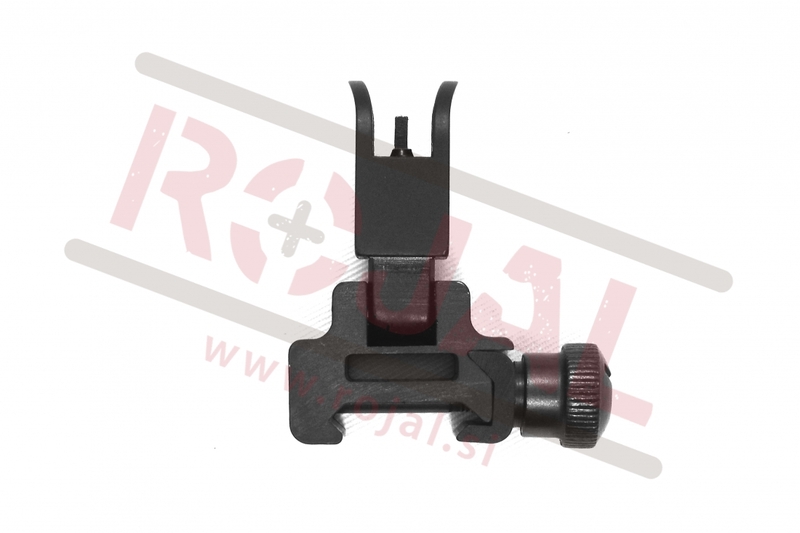 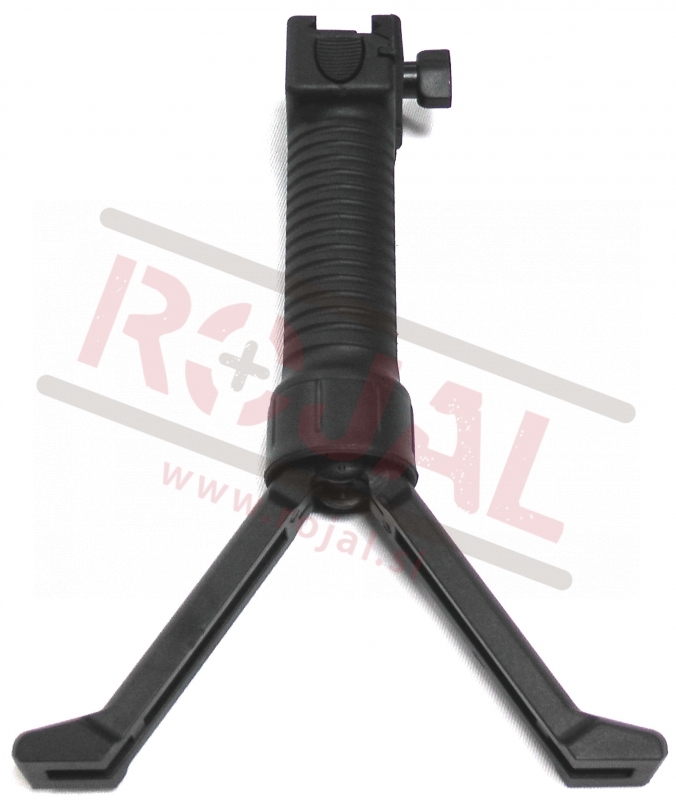 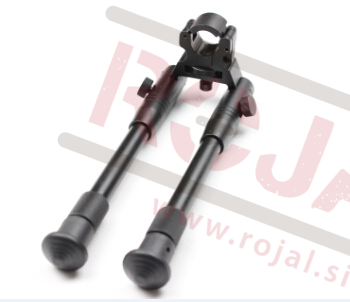 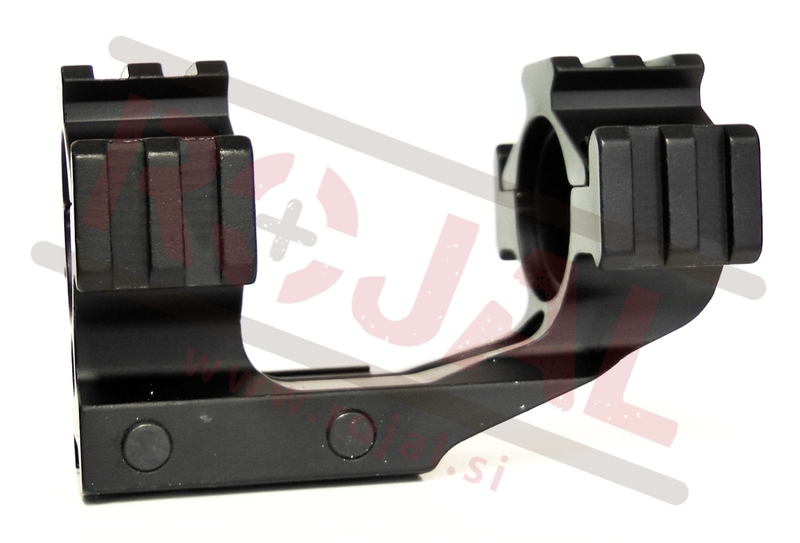 Now you can add swivel to your rifle. 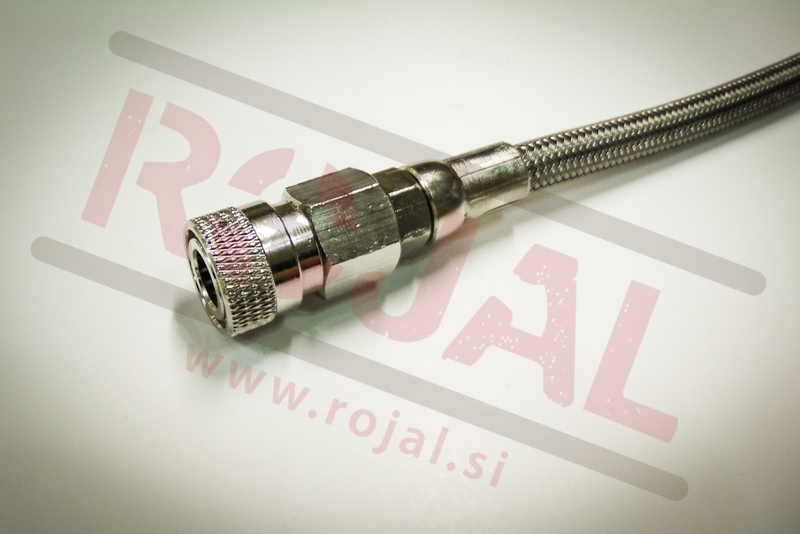 Just screw it in and you're ready to go. 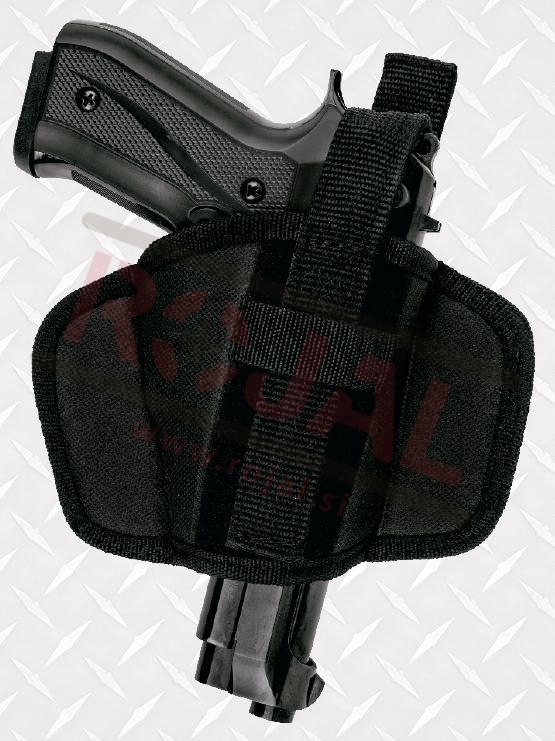 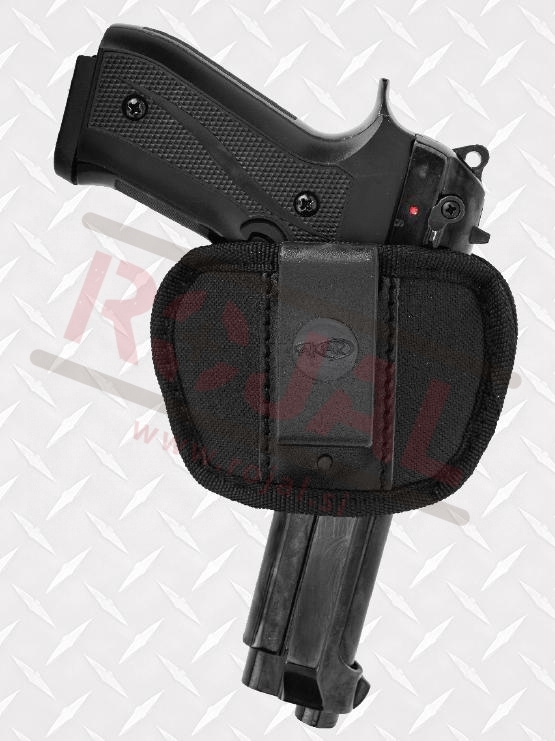 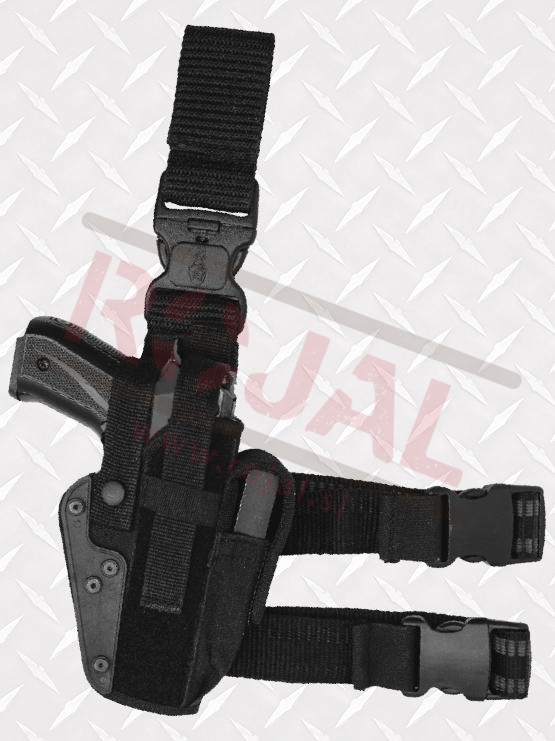 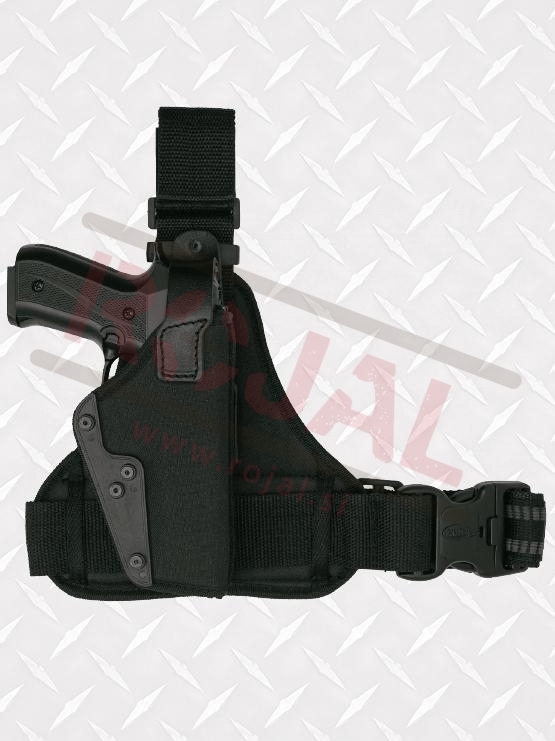 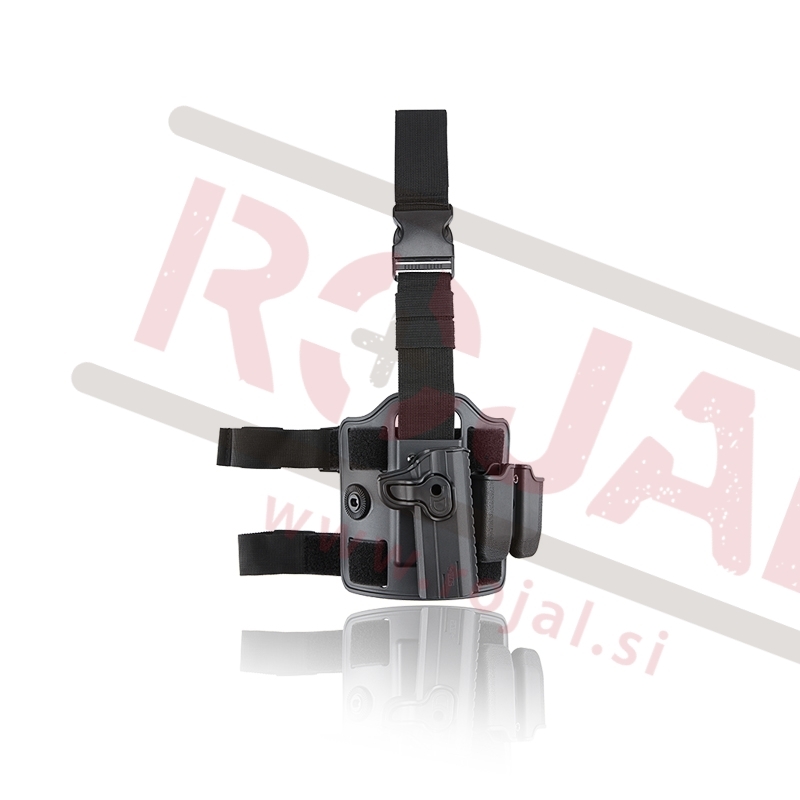 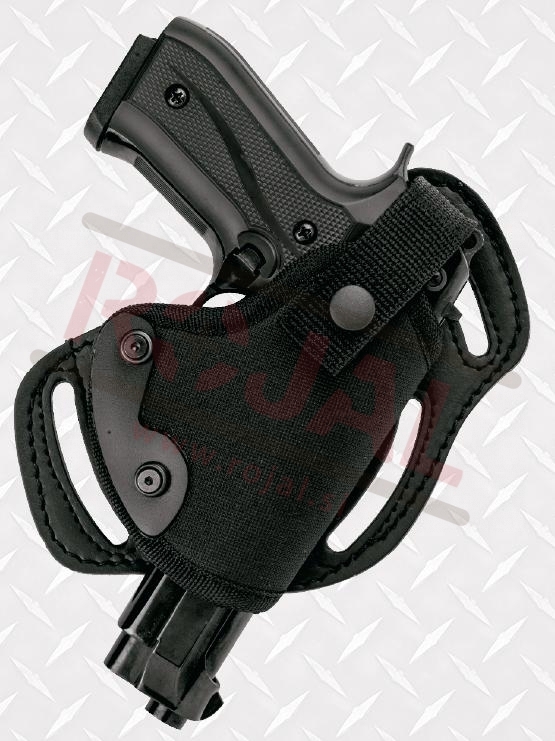 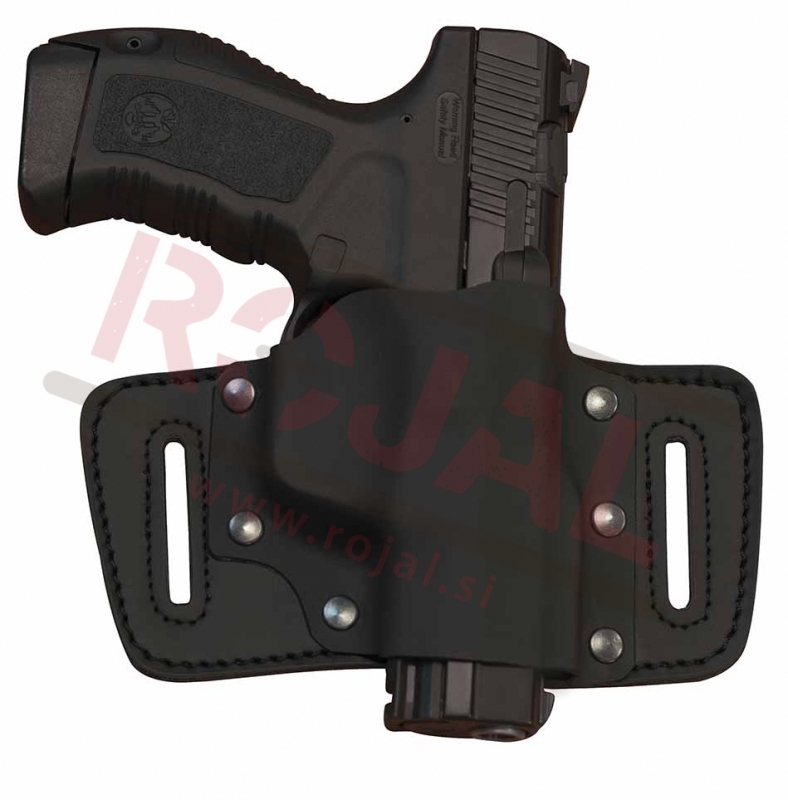 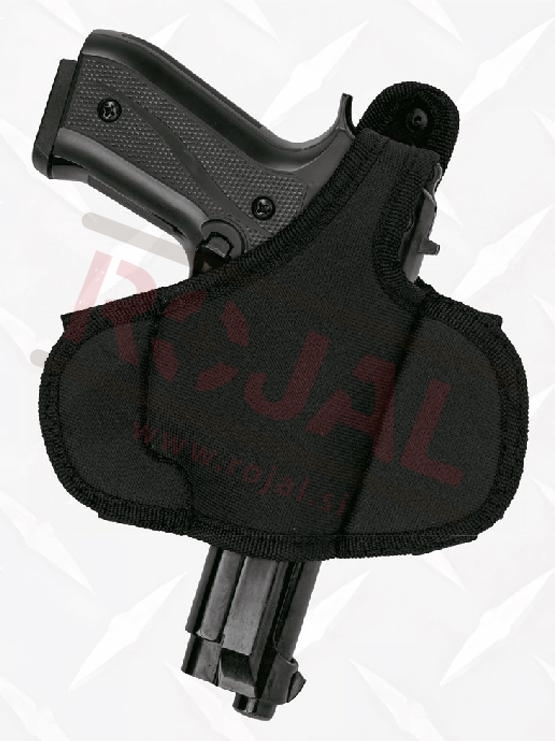 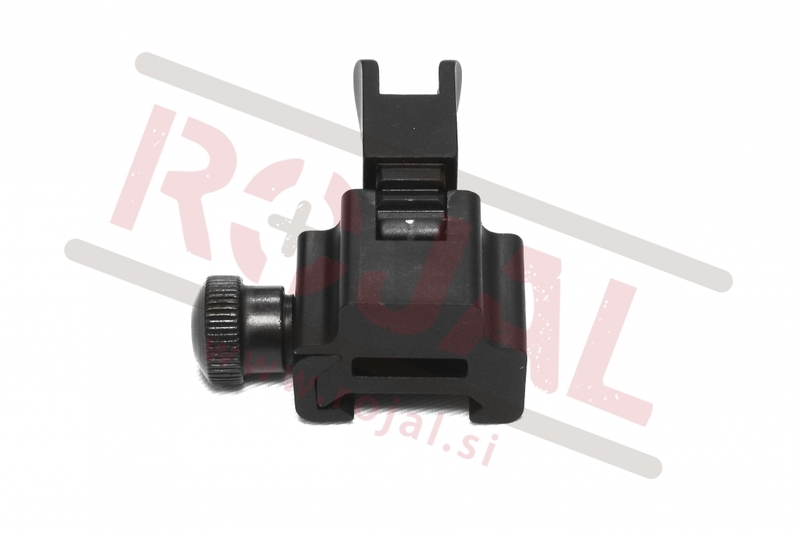 Underarm holster with two mag pouch from Akar. 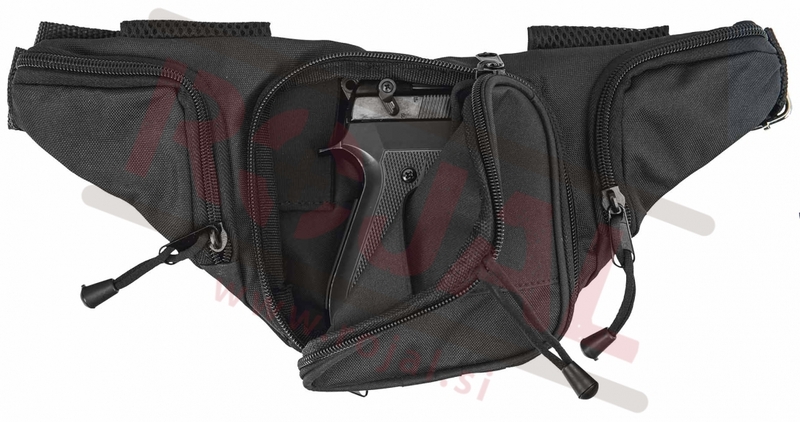 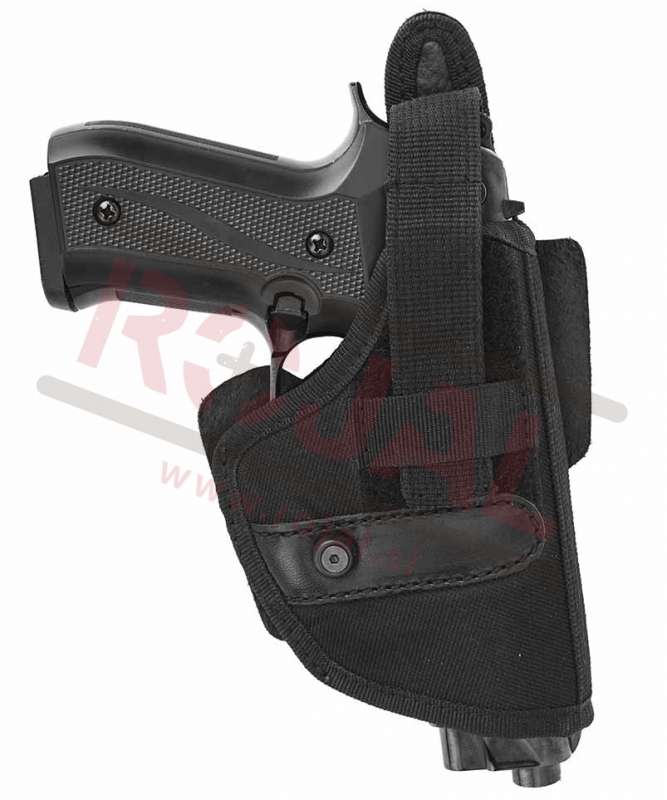 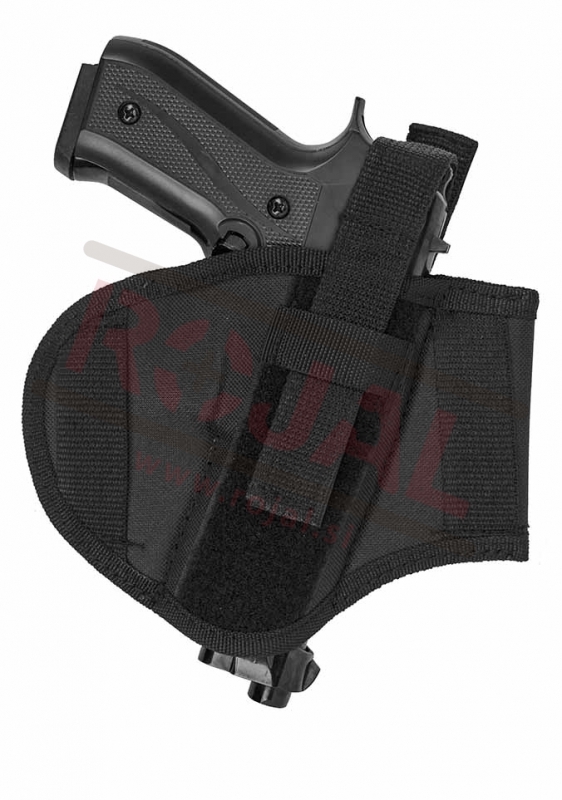 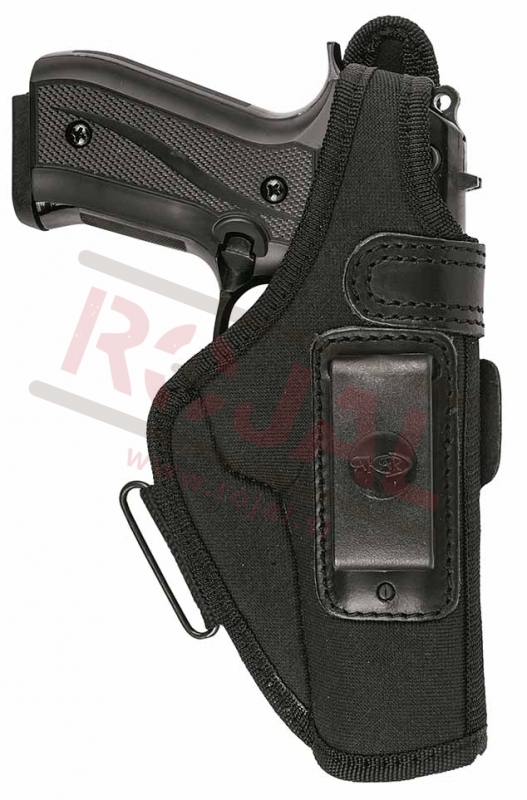 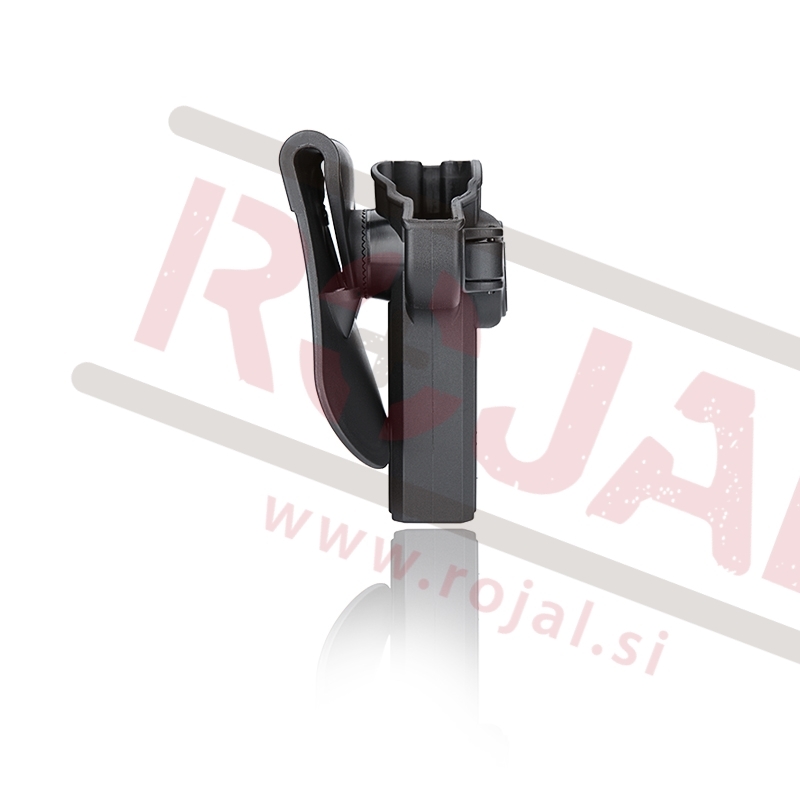 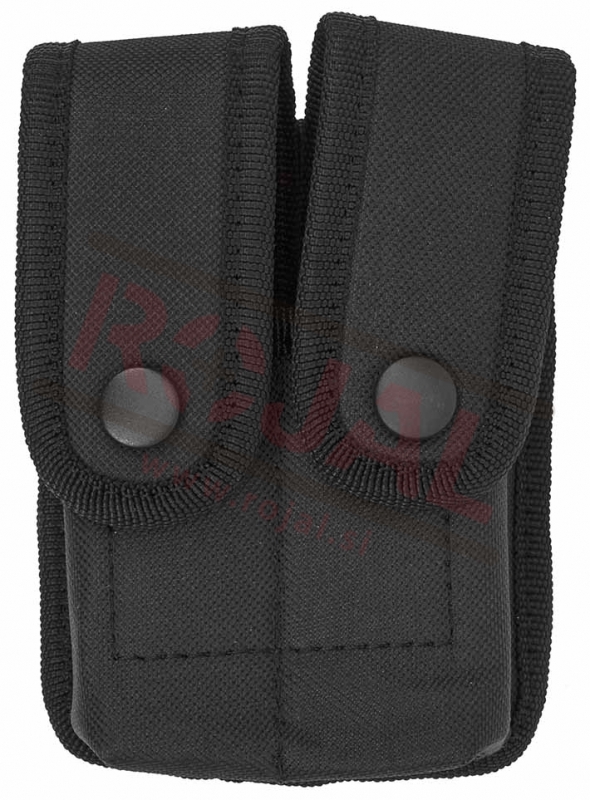 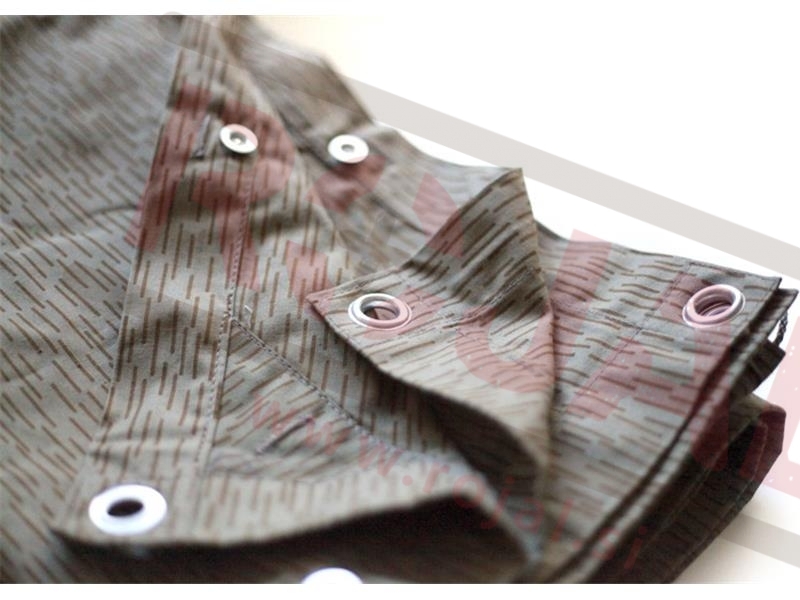 Underarm holster with two mag pouch on the opther side from Akar. 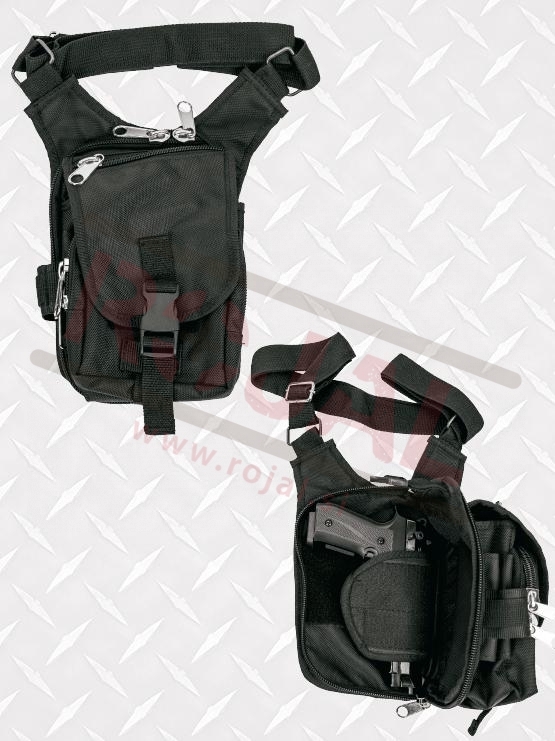 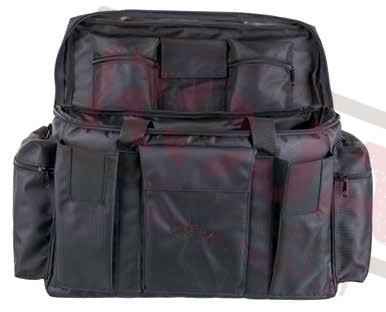 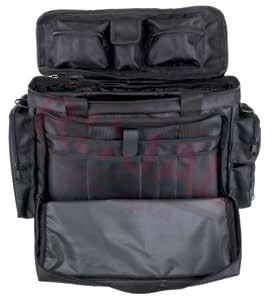 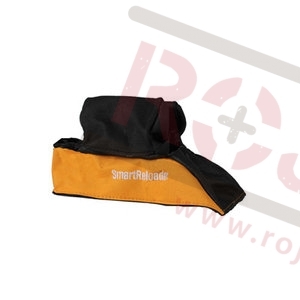 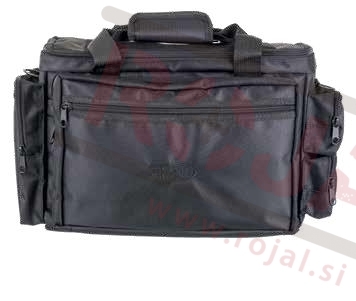 Universal medium size gun carry bag. 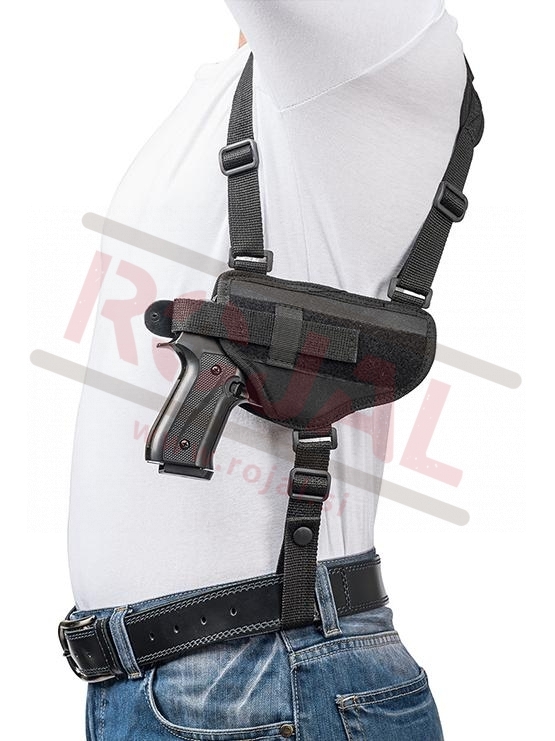 Universal back waist holster from Akar. 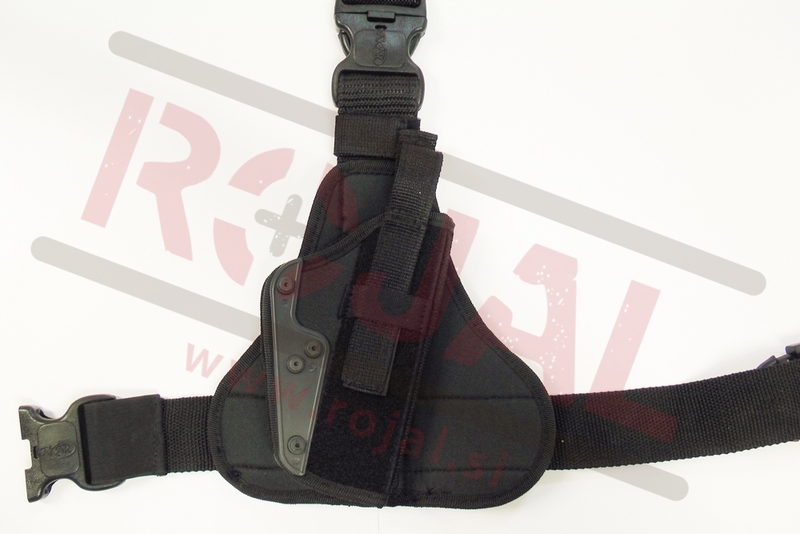 Waist gun holster from Akar. 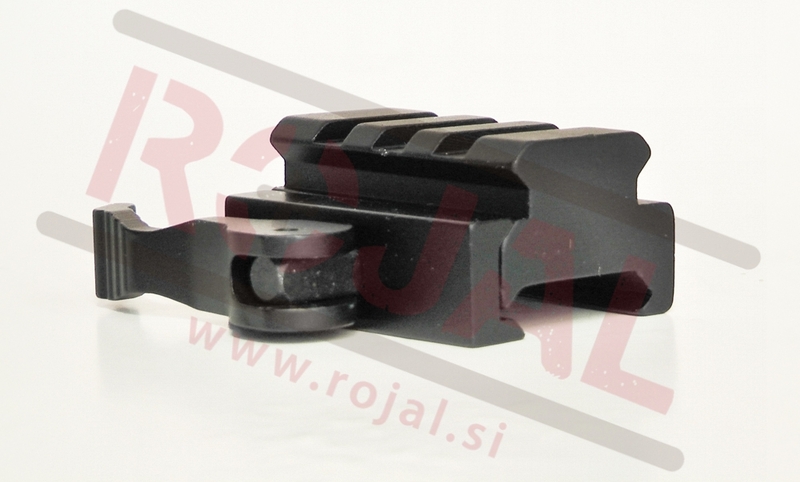 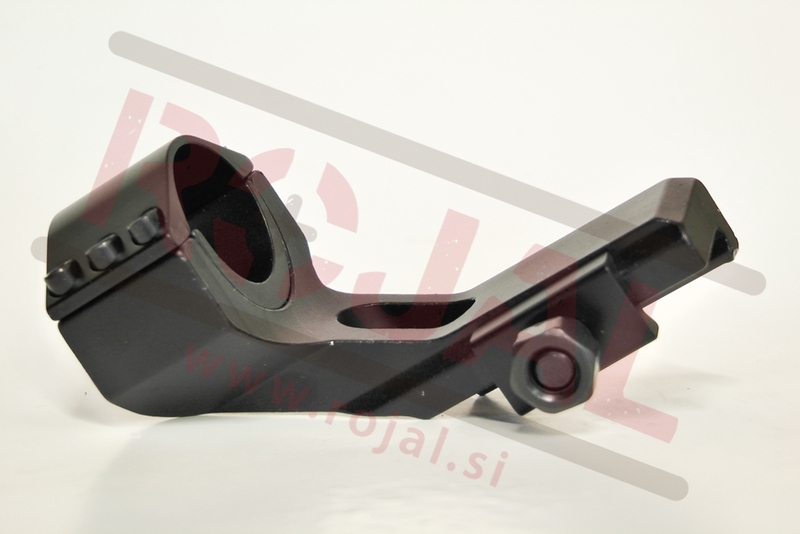 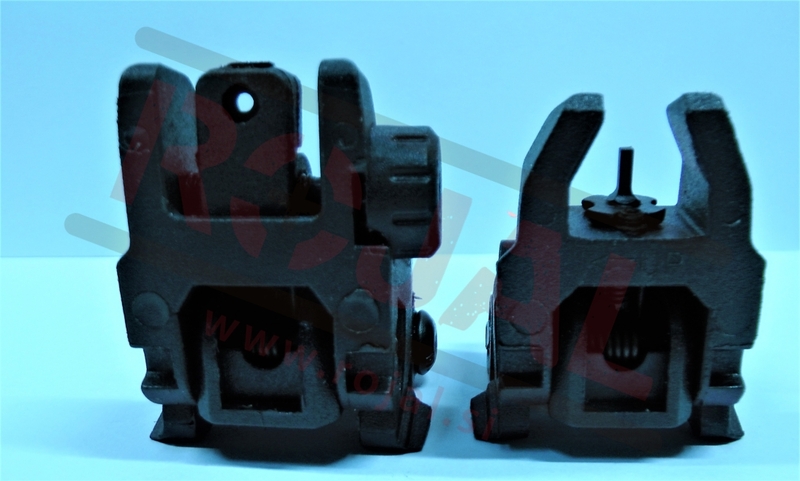 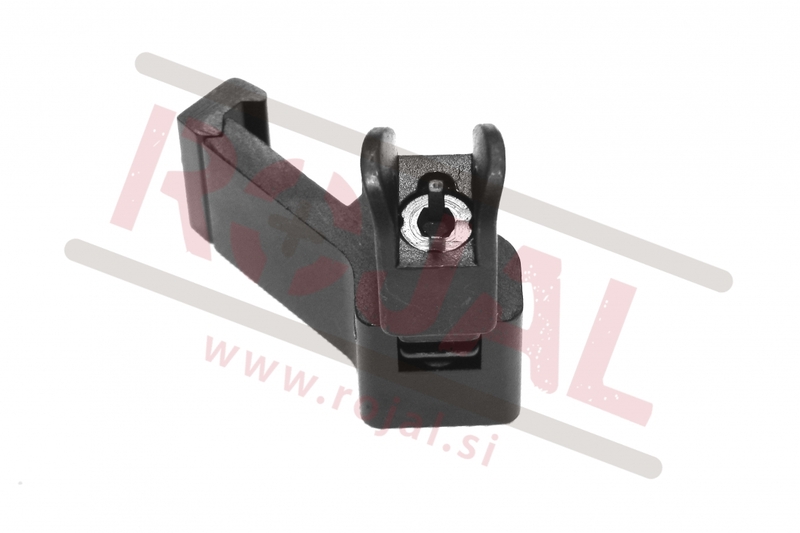 Fits Beretta FS92, Browning HP14, CZ 75 and similar guns. 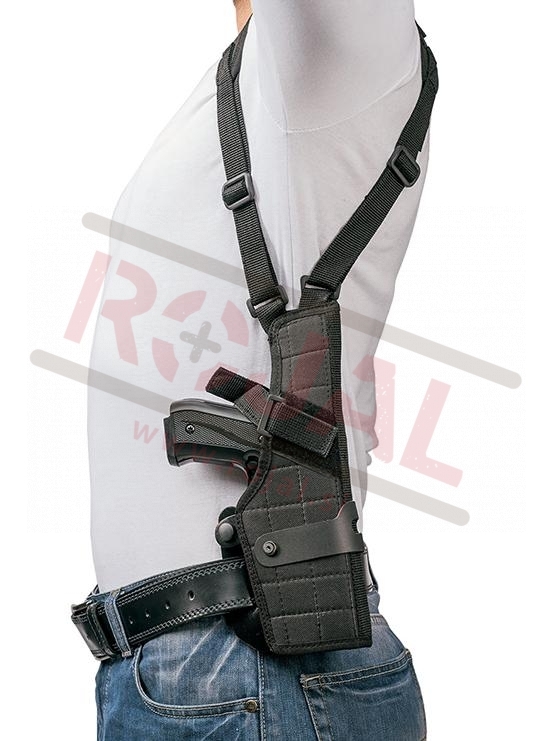 Universal waist gun holster from Akar. 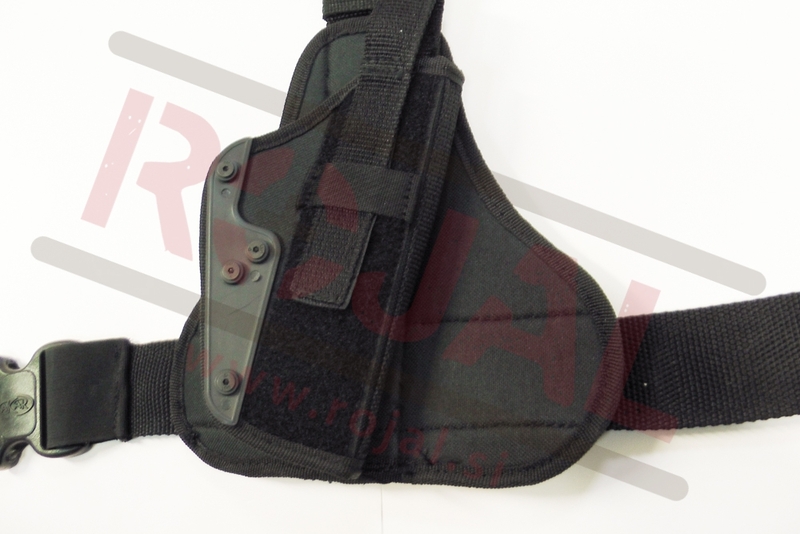 Universal waist gun holster with ammo pouch from Akar.